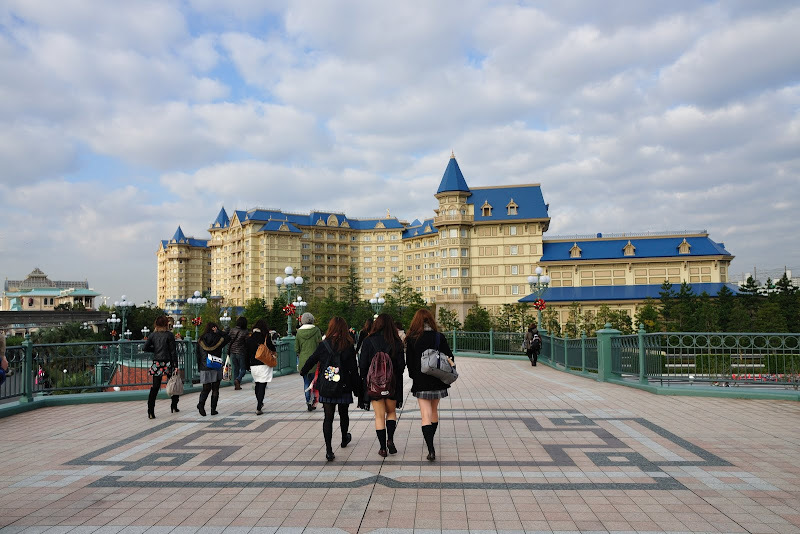 Today's breakfast was in the room. 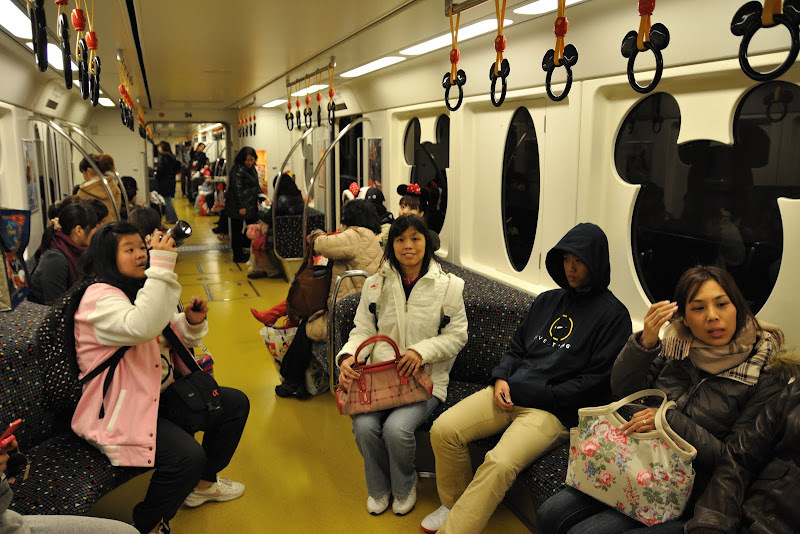 We ate the buns and breads bought from DONQ bakery from Atre Shopping Centre in Shin-Urayasu Station the day before. 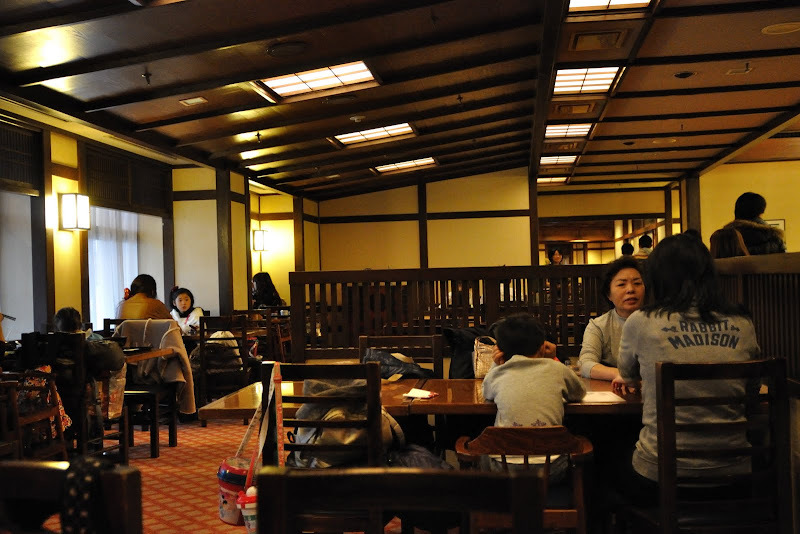 For drinks, it was green tea from the hotel room. 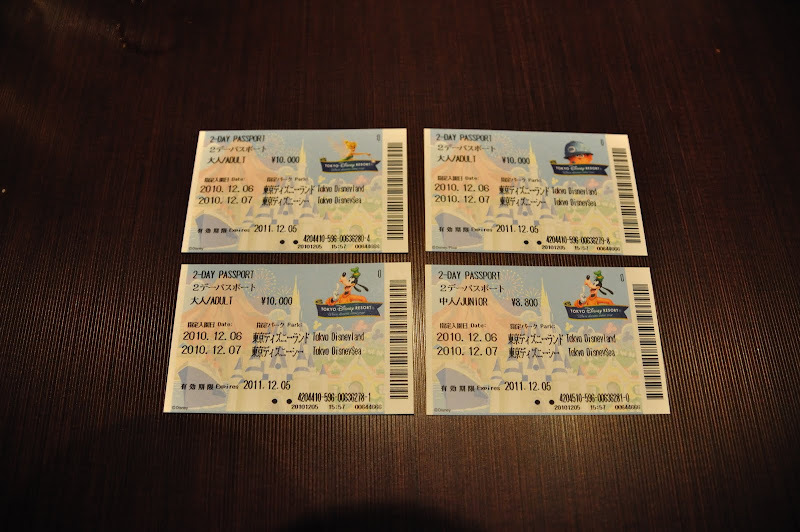 These were our 2-day Disneyland/DisneySea Passes. 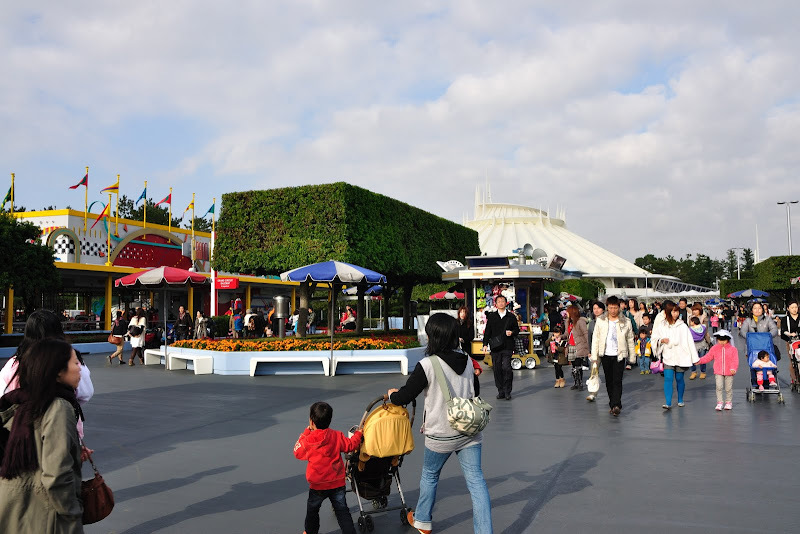 Adult pass : 10,000yen. 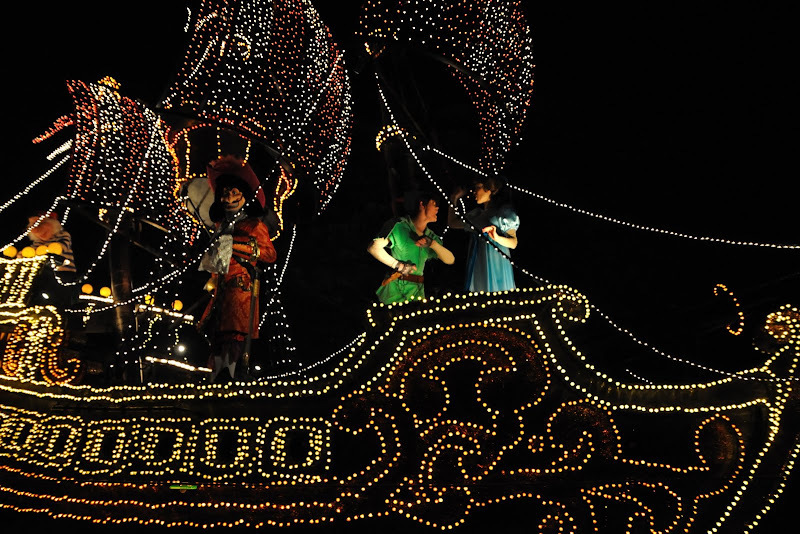 Below 16years old : 8,000. 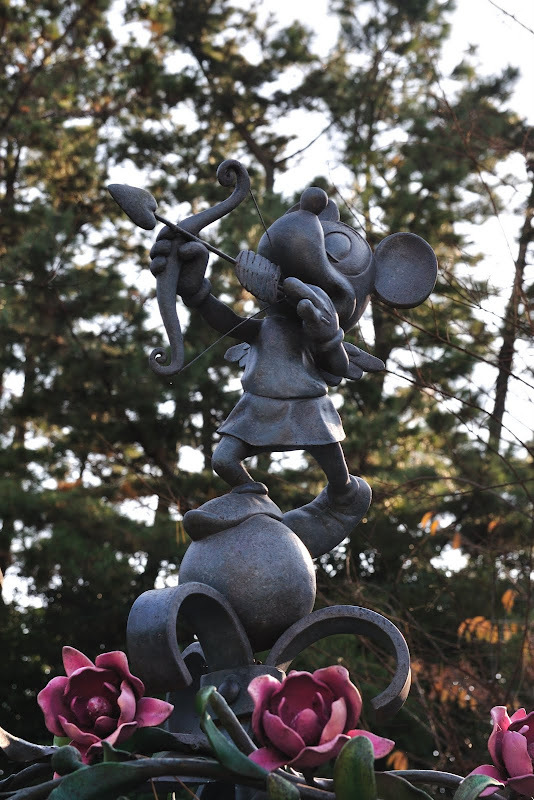 Total Bill : 38,800yen. 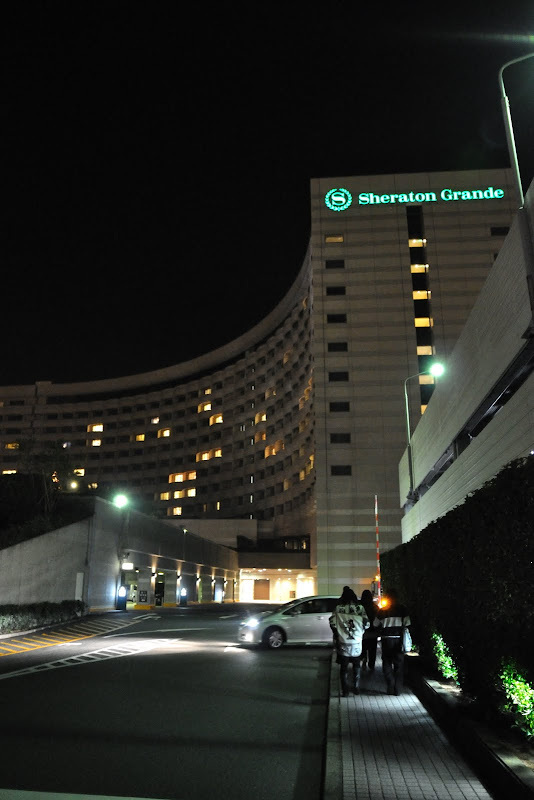 Sheraton does not accept credit card payment for the passes. 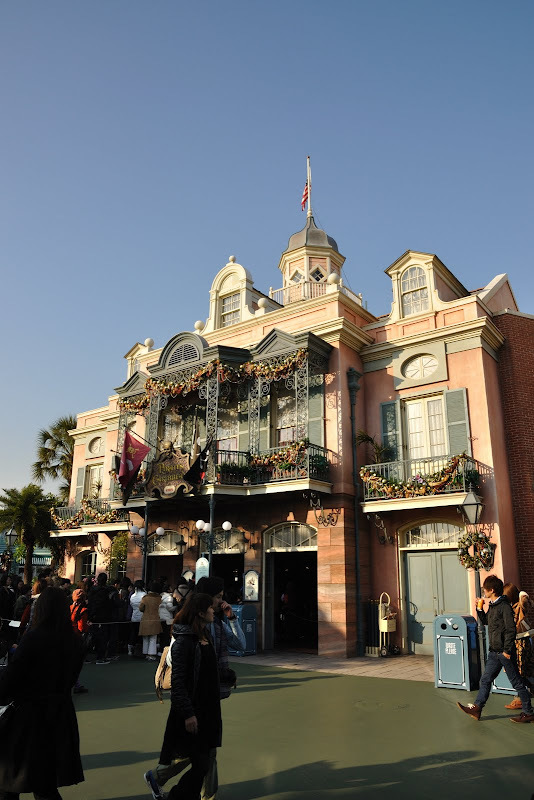 We need to pay in cash! 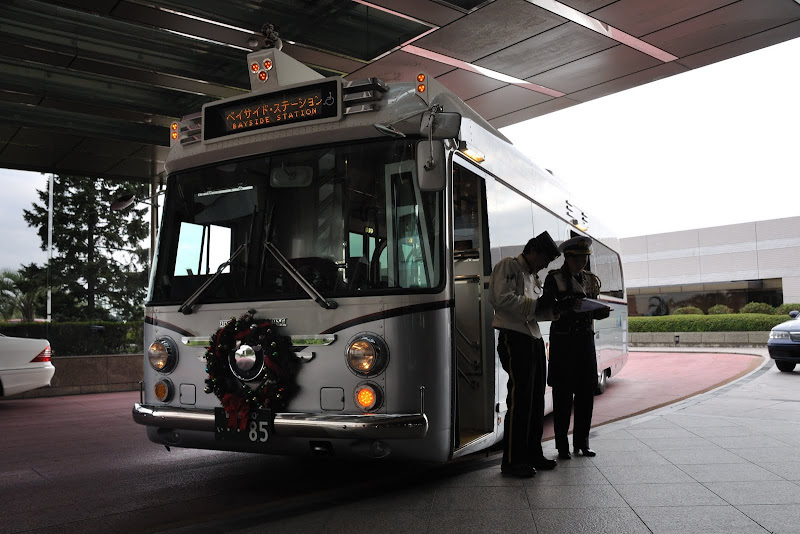 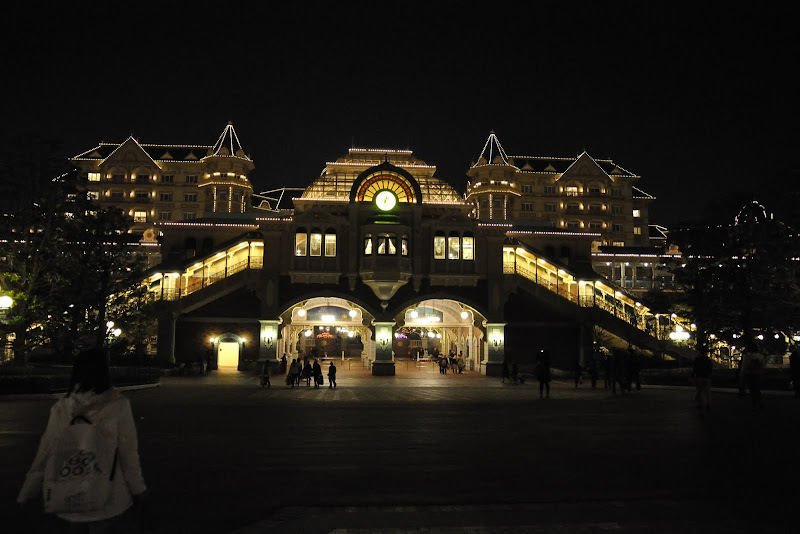 We took the Disney Cruiser (FOC) from Hotel to JR Maihama Station before walking to Disneyland. 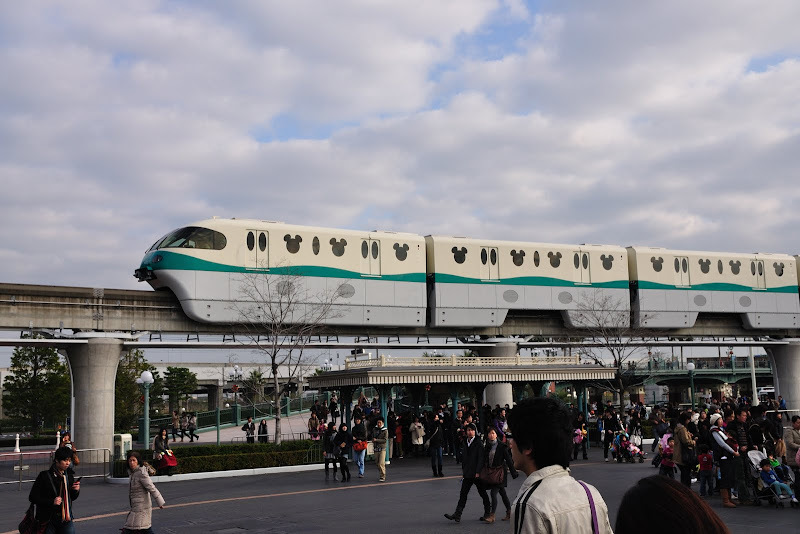 Zoom in to another monorail. 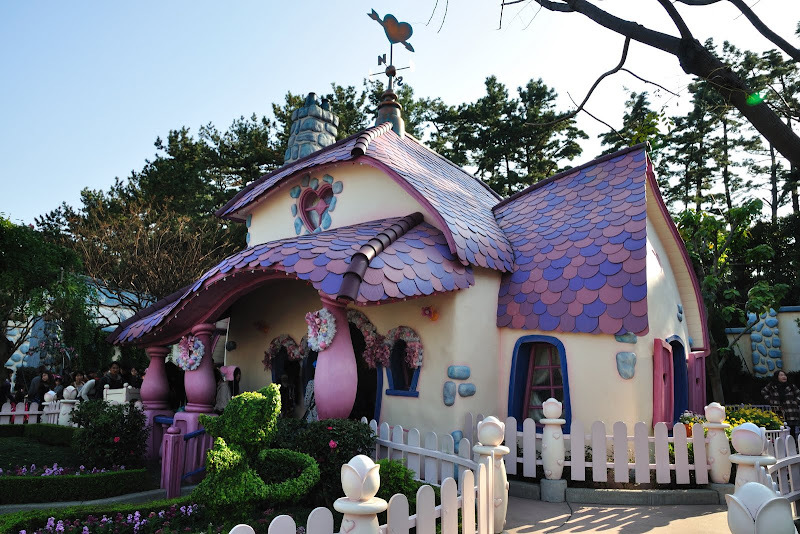 They come in a few colours. 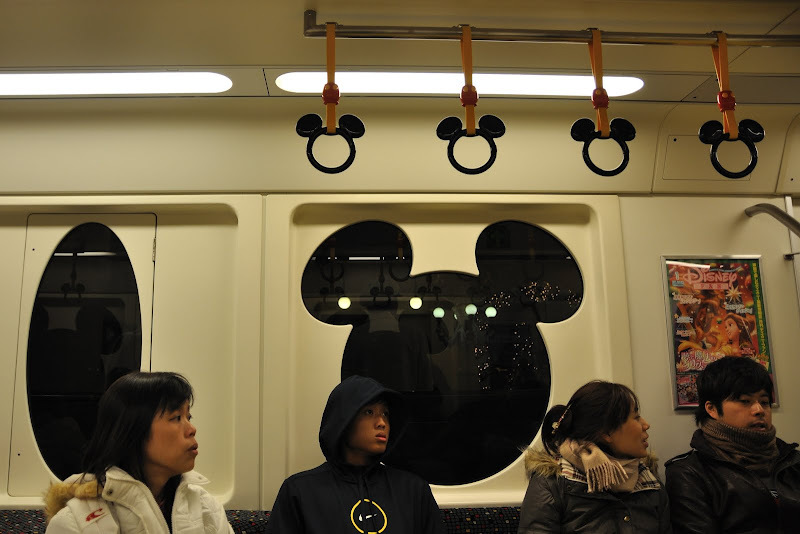 The windows are shaped after Mickey Mouse's head. 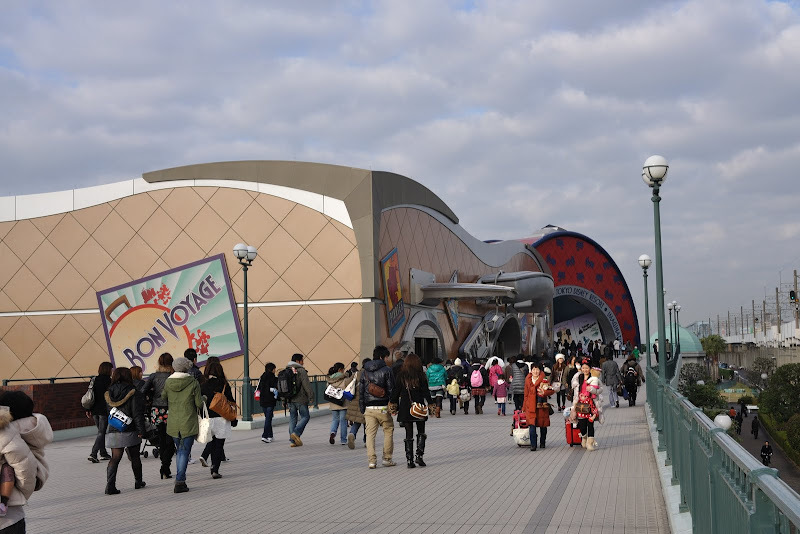 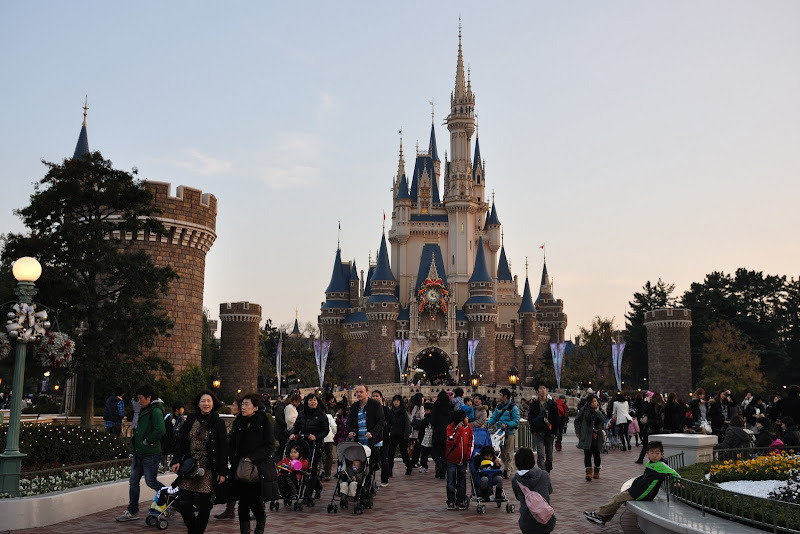 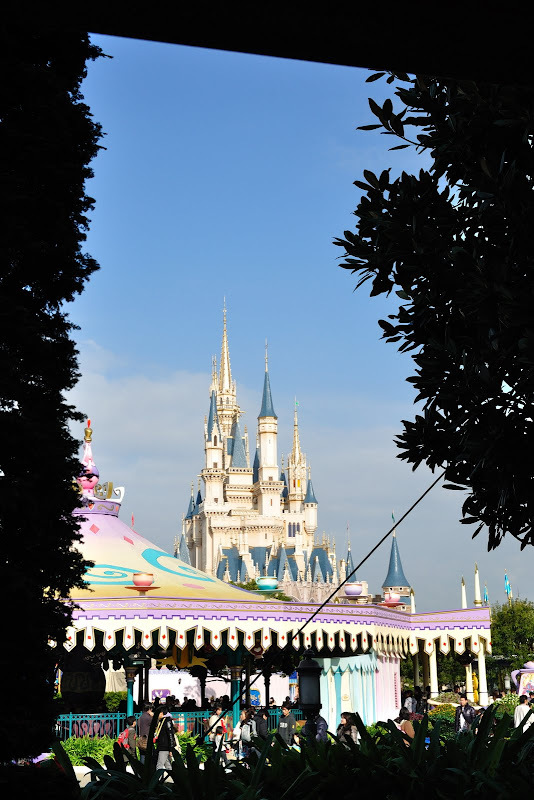 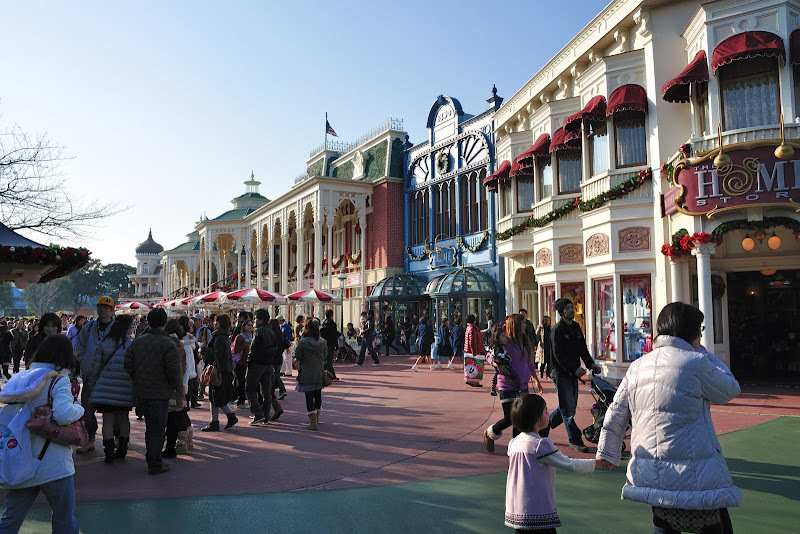 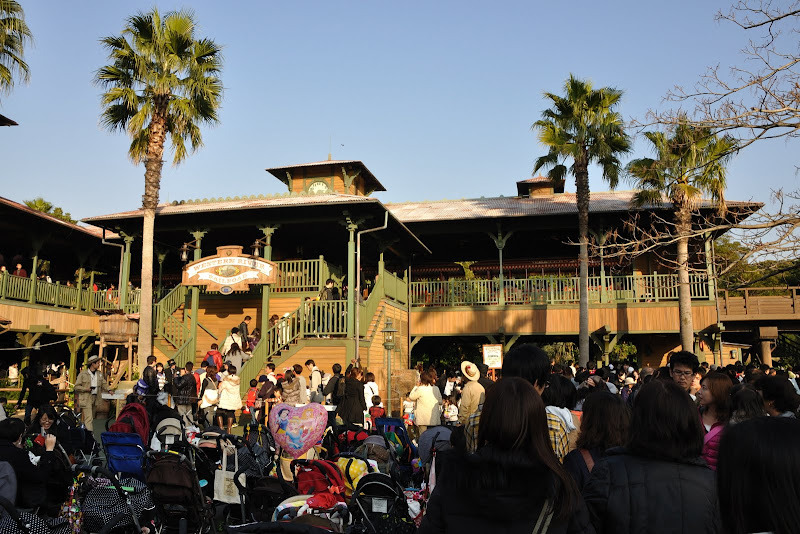 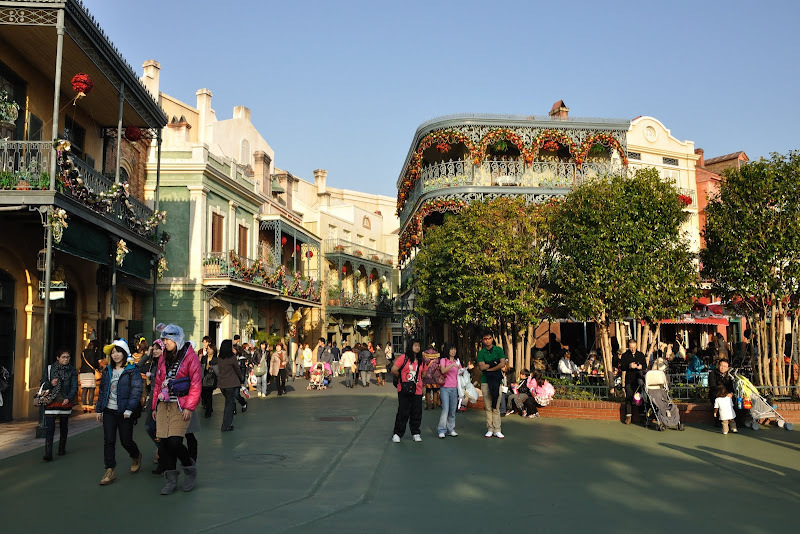 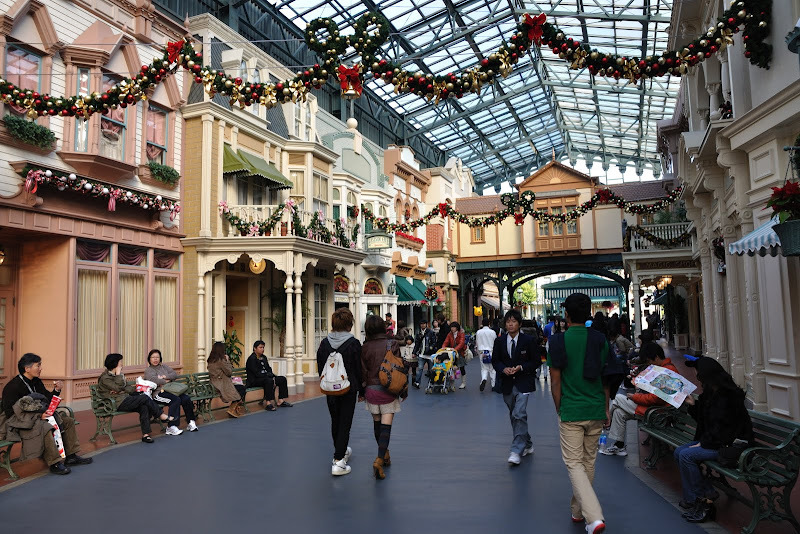 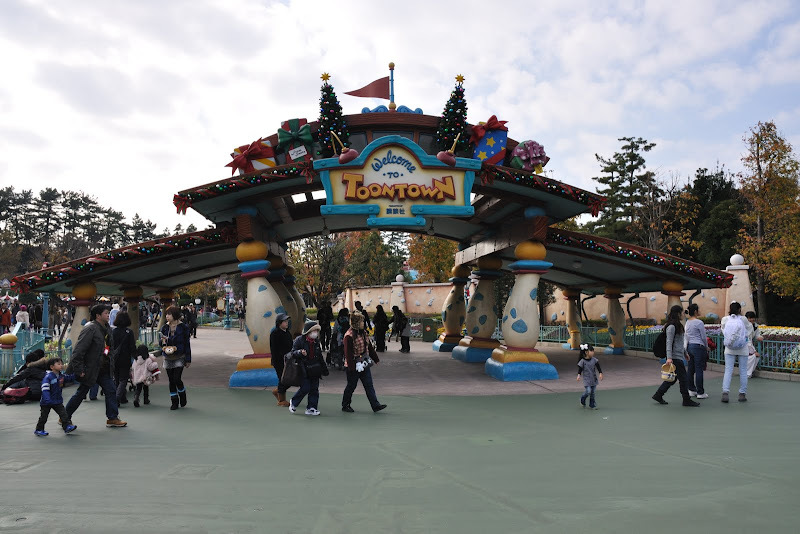 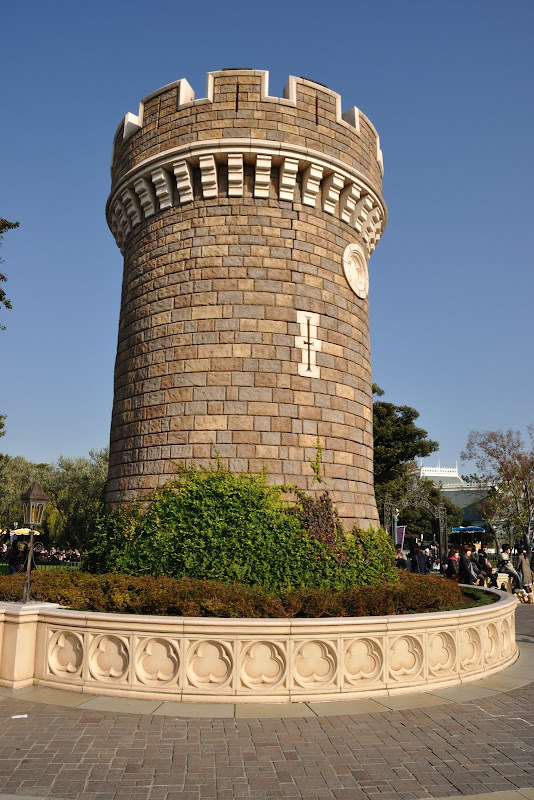 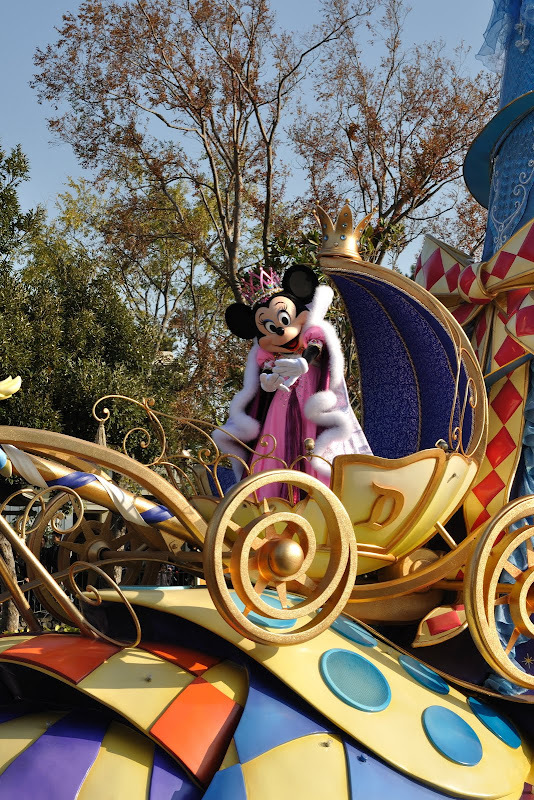 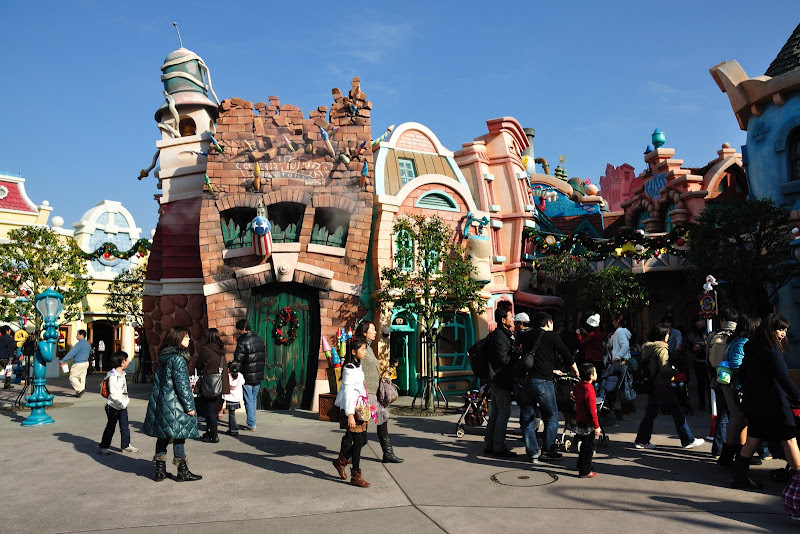 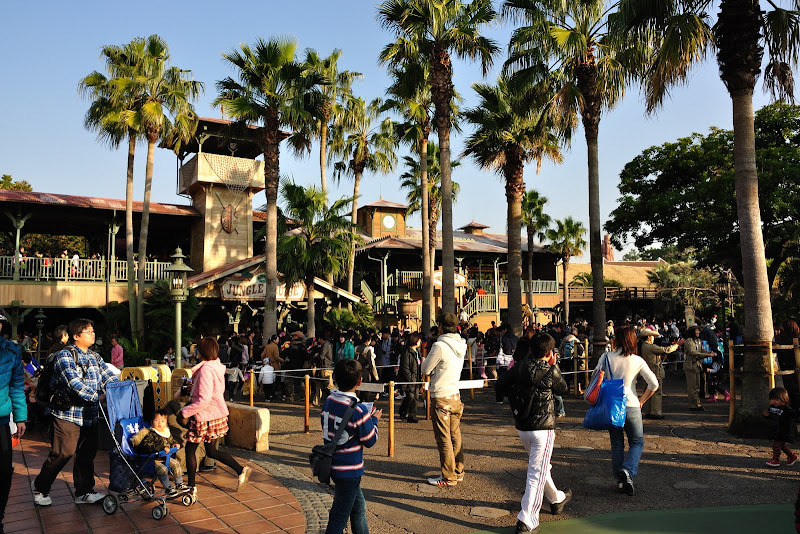 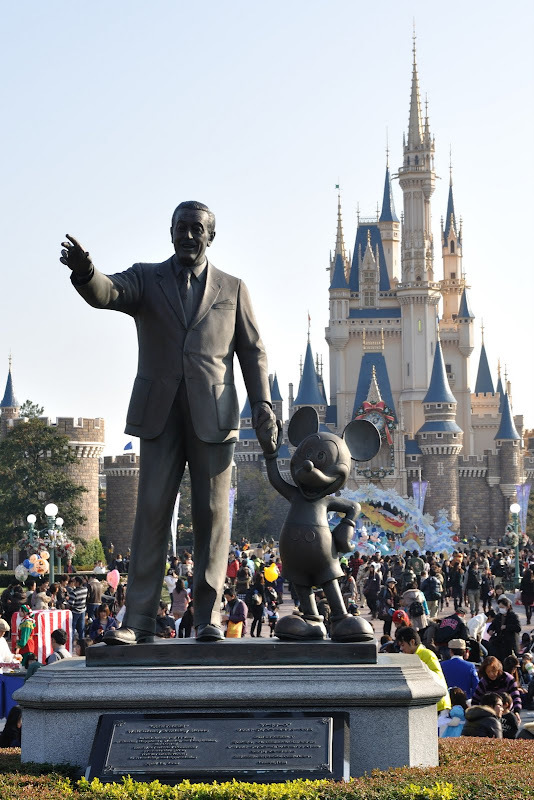 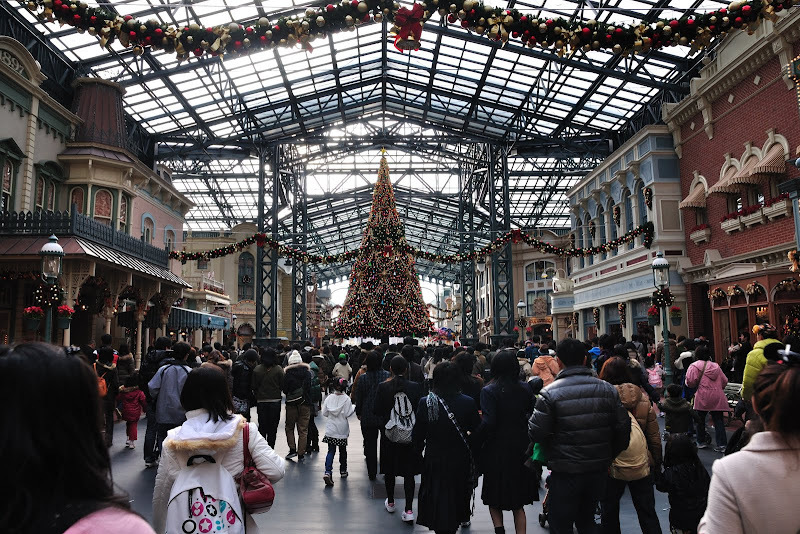 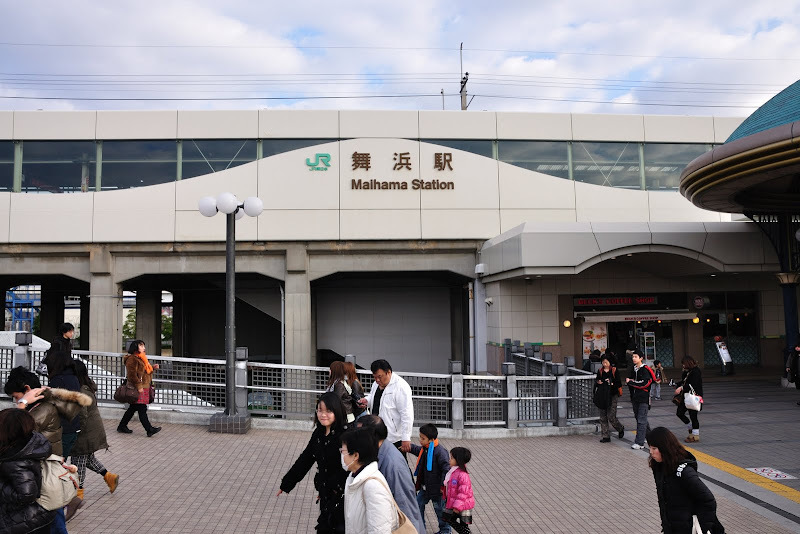 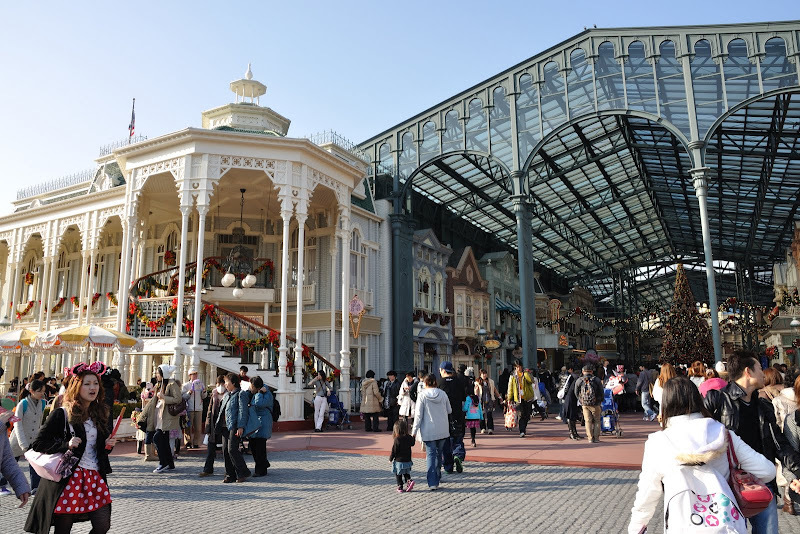 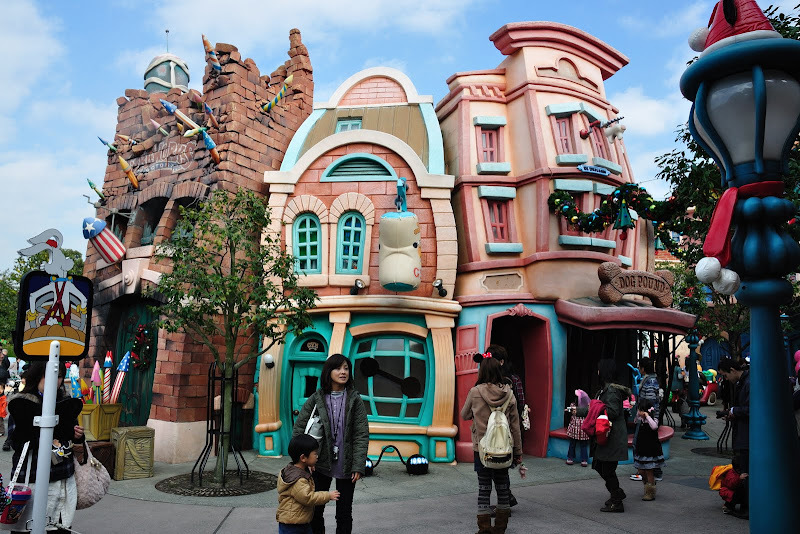 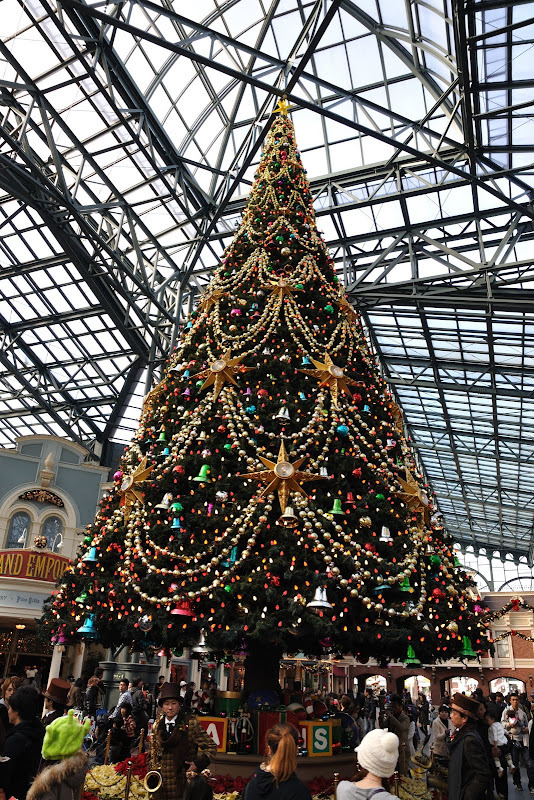 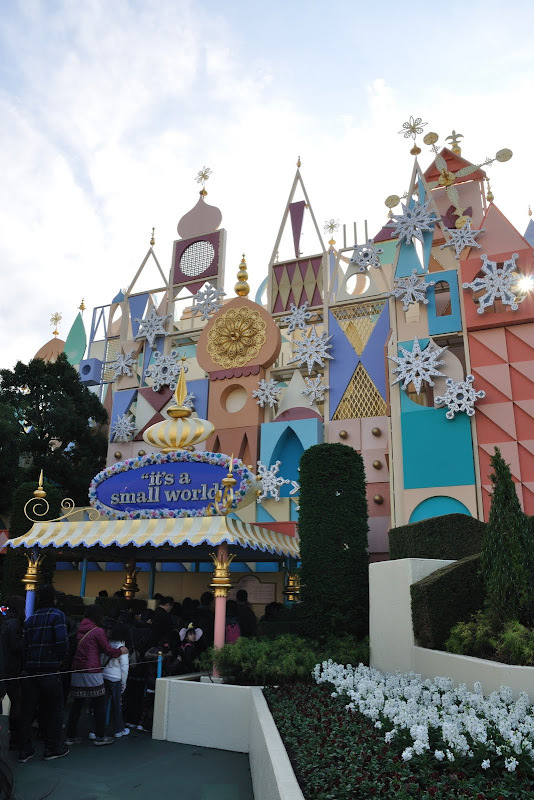 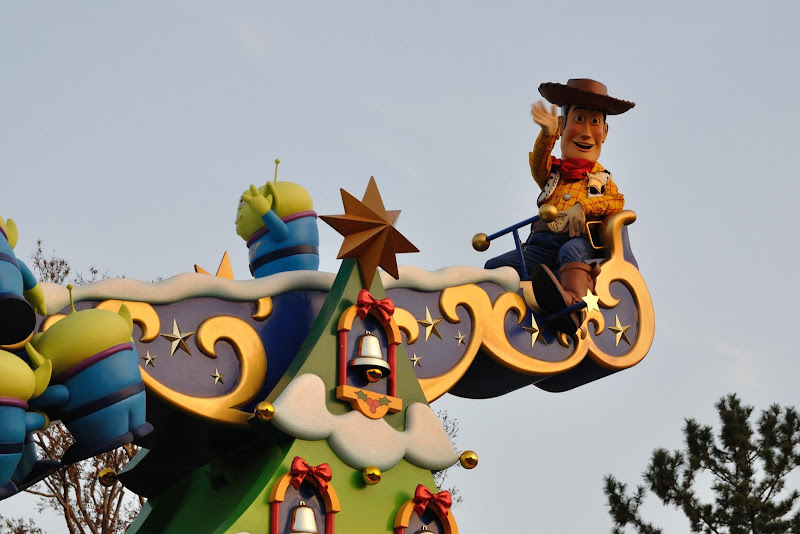 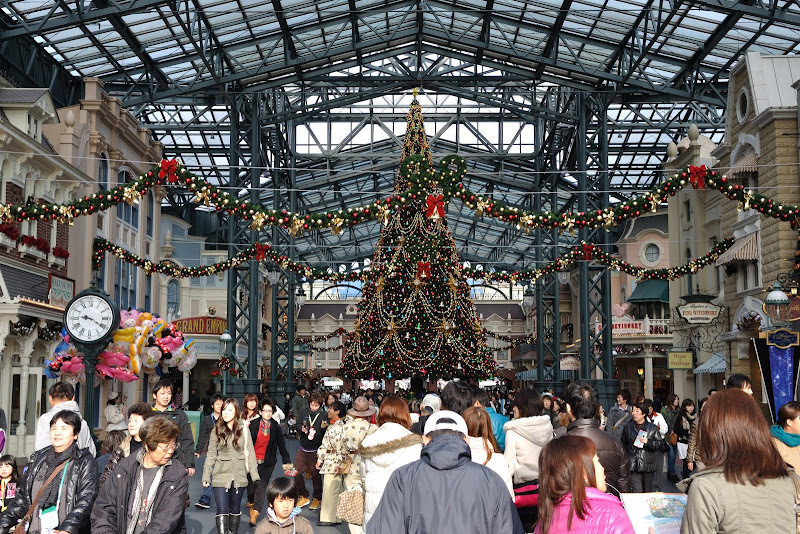 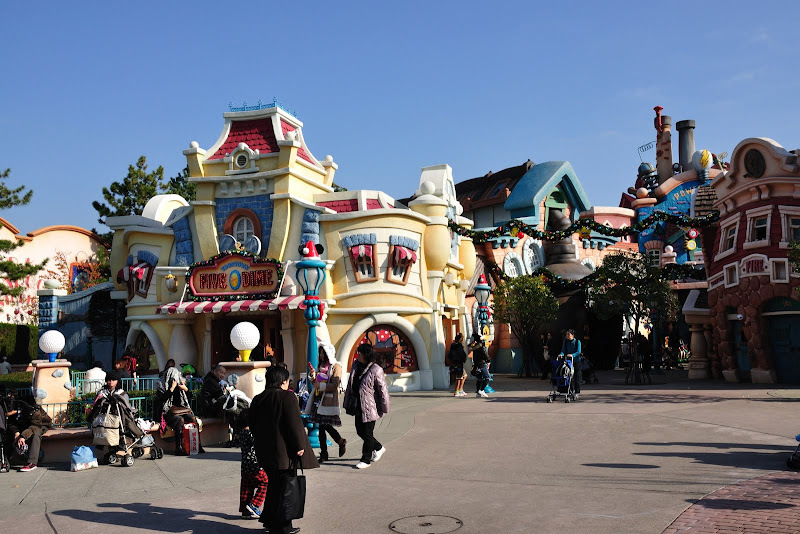 It is very convenient to walk from JR station to Disneyland. 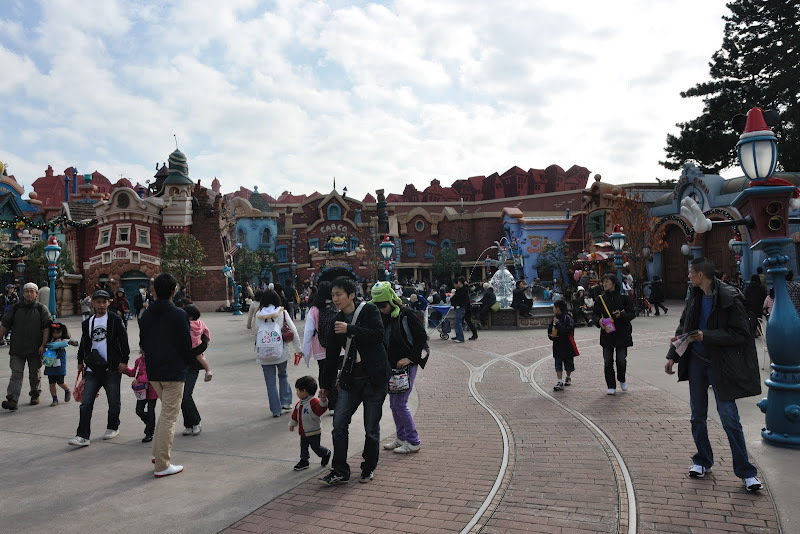 The Station is directly connected via a bridge to Disneyland. 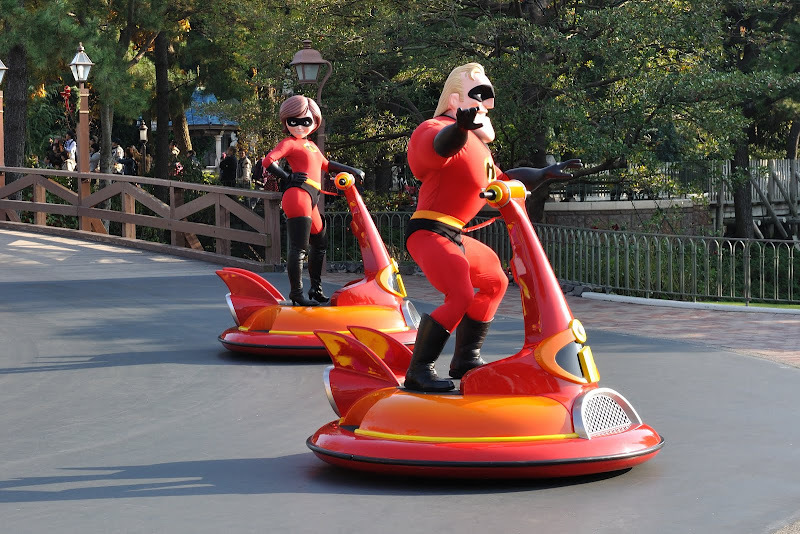 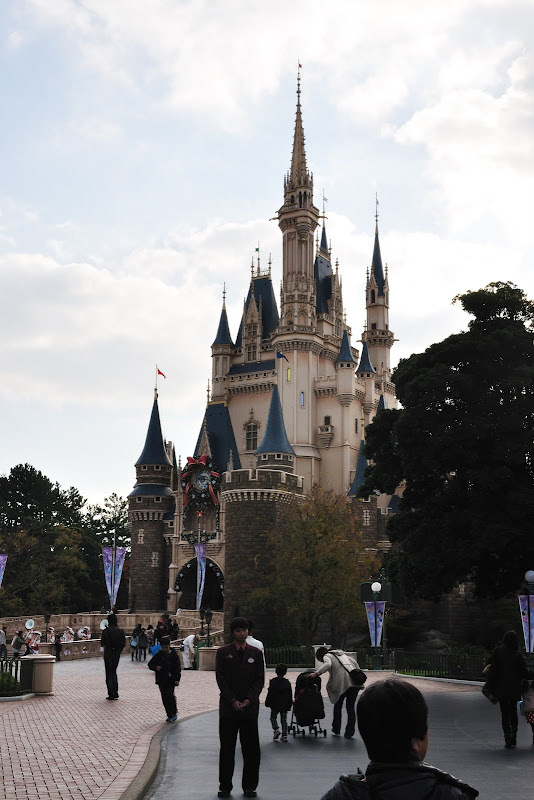 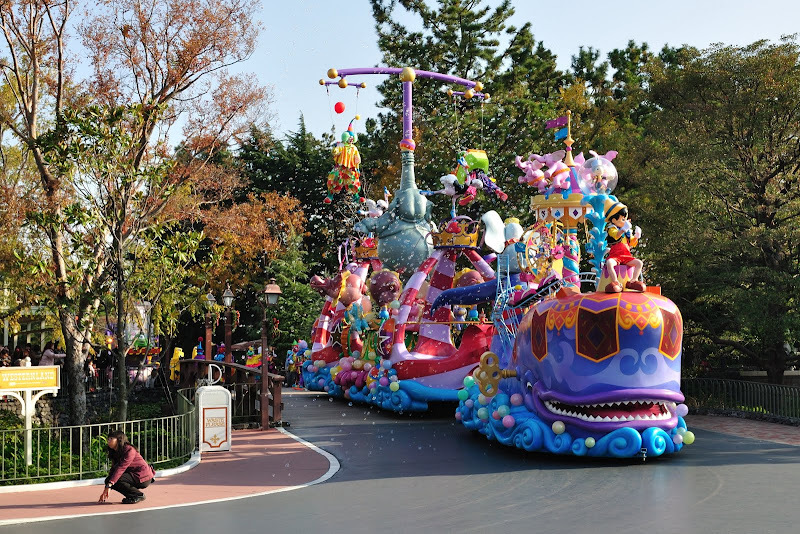 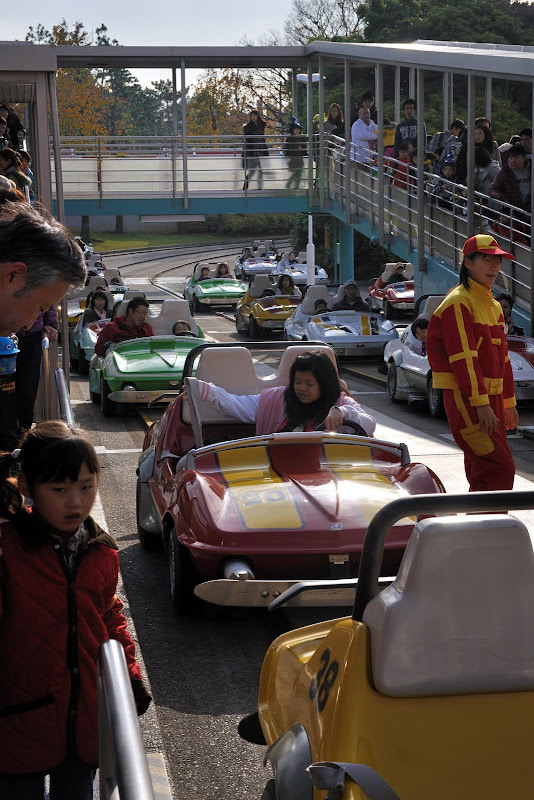 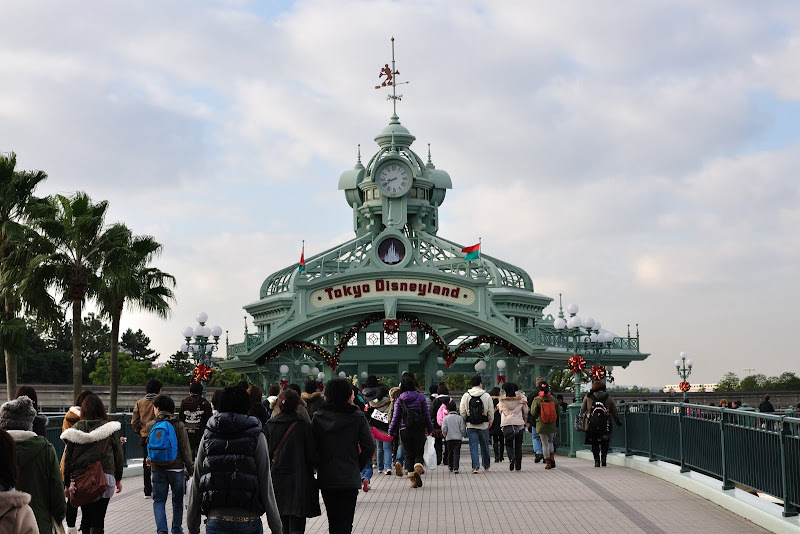 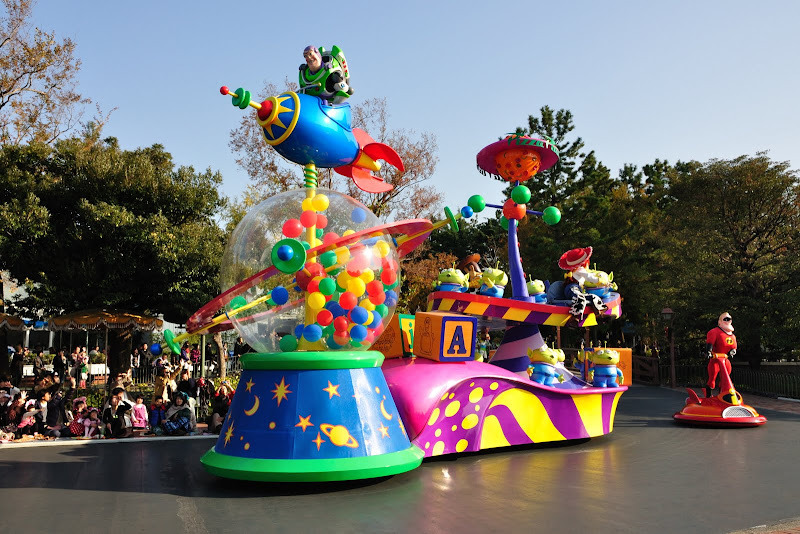 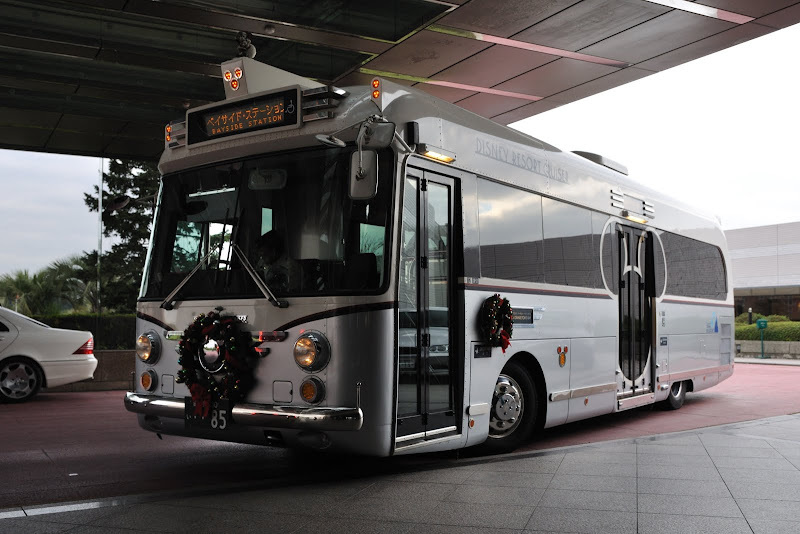 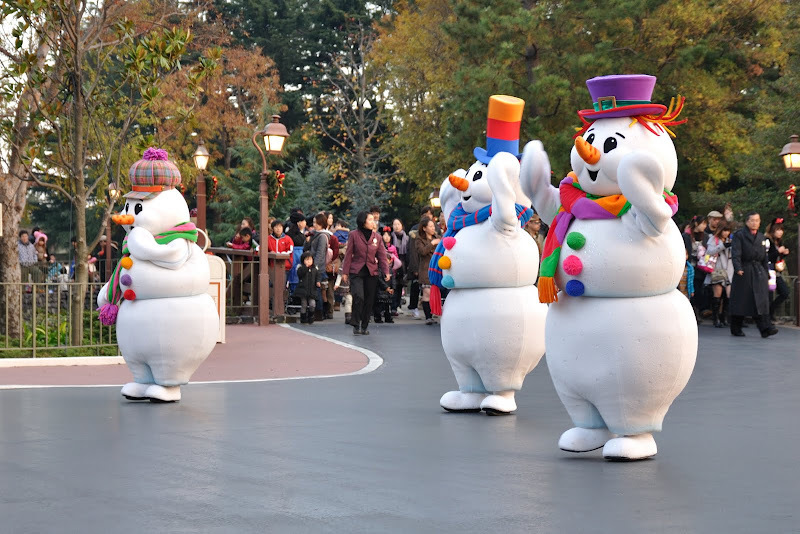 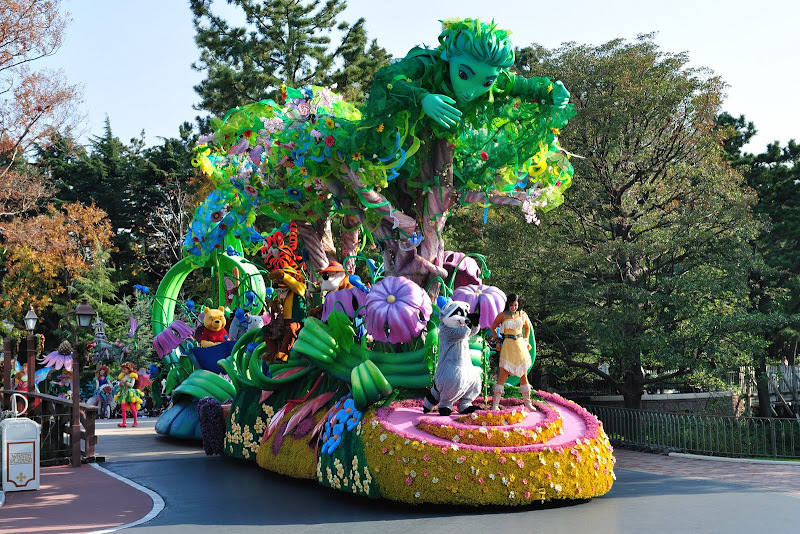 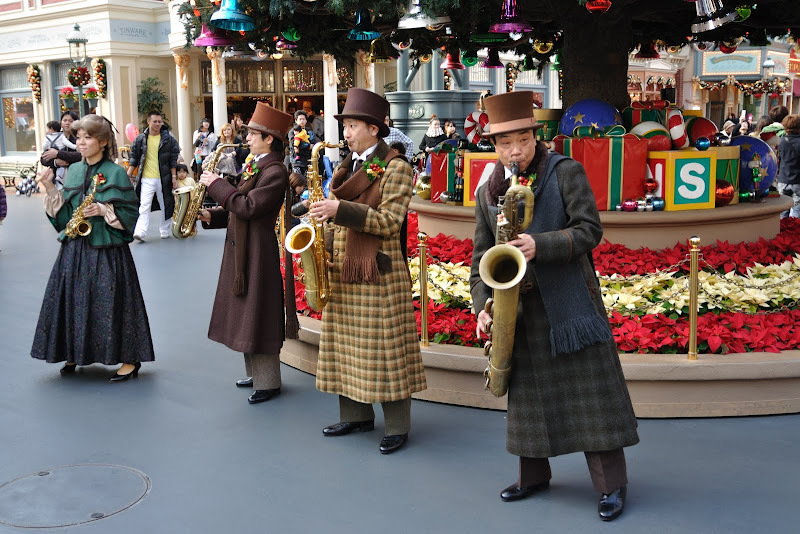 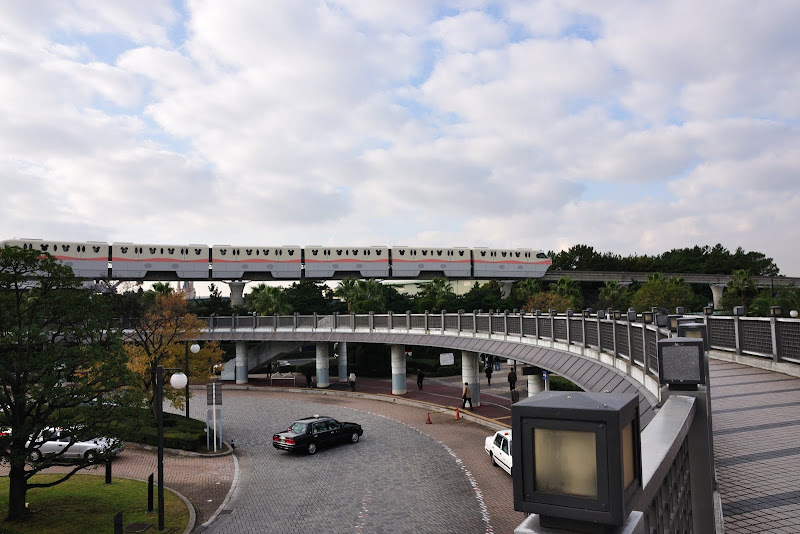 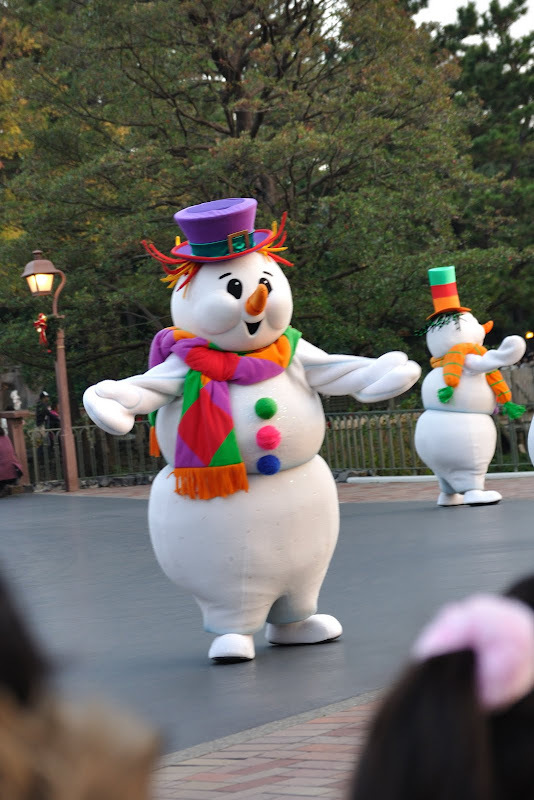 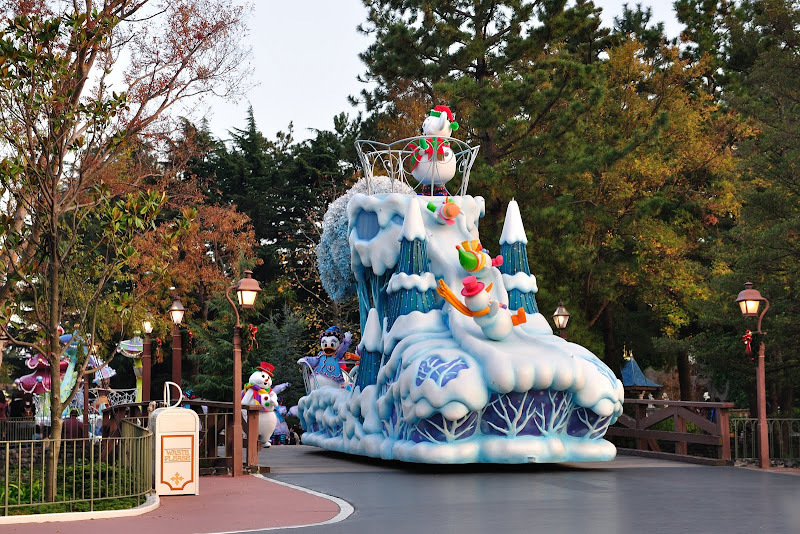 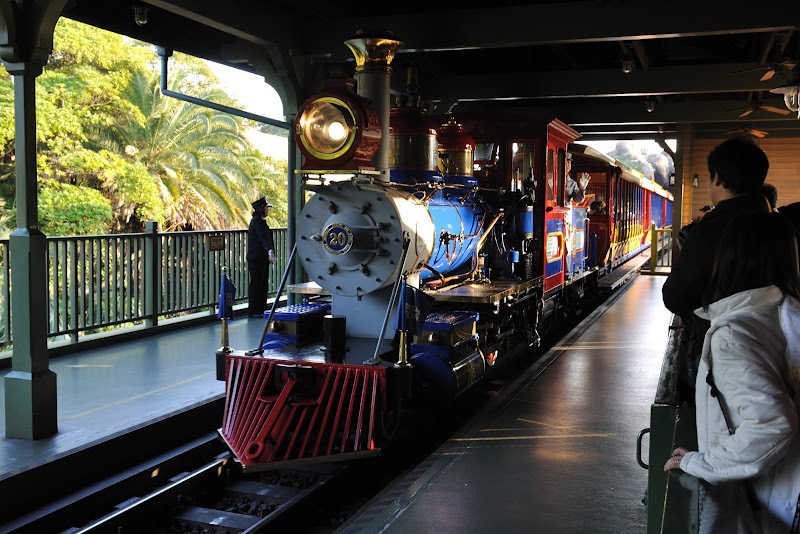 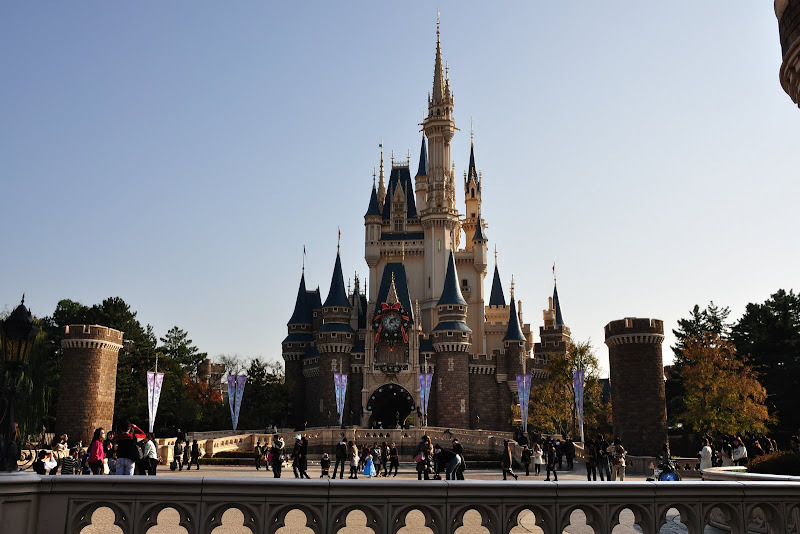 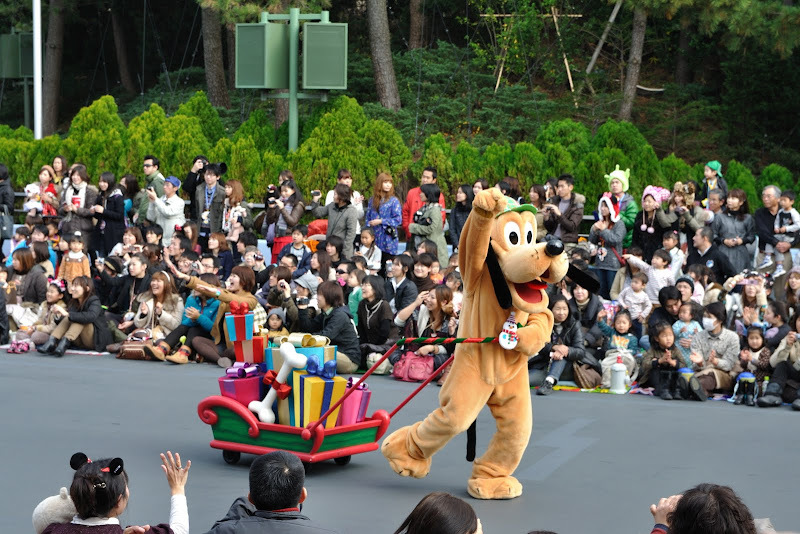 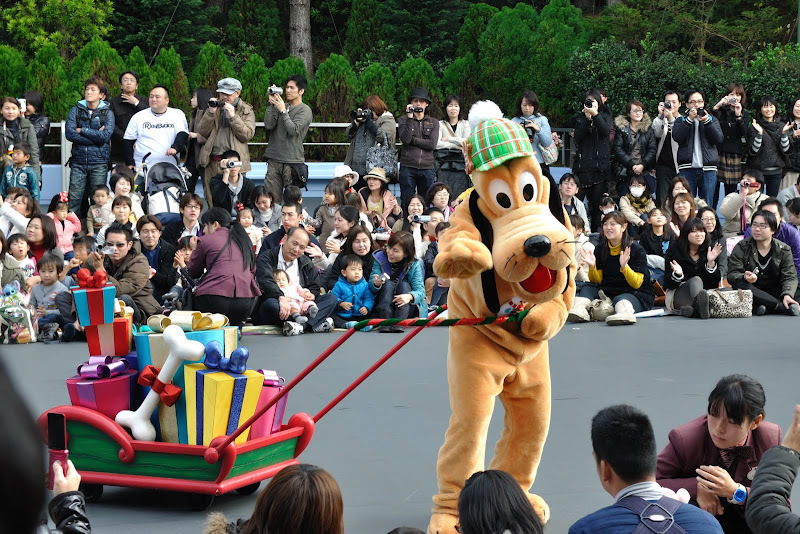 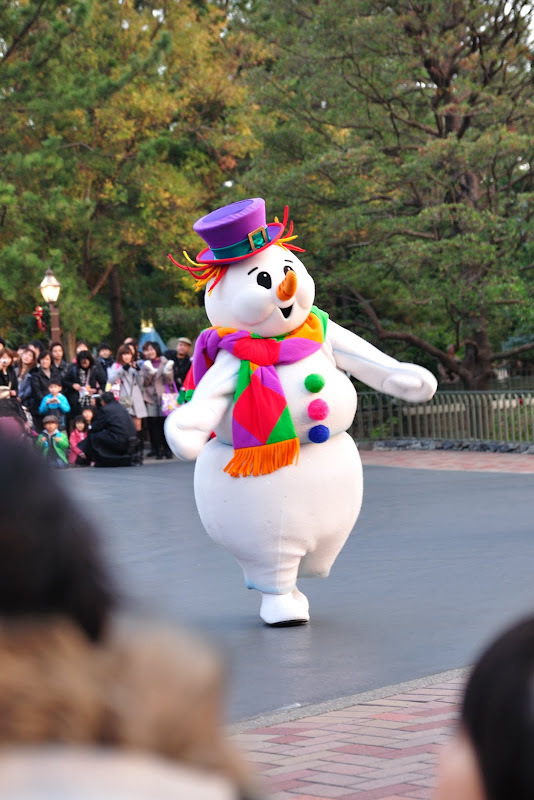 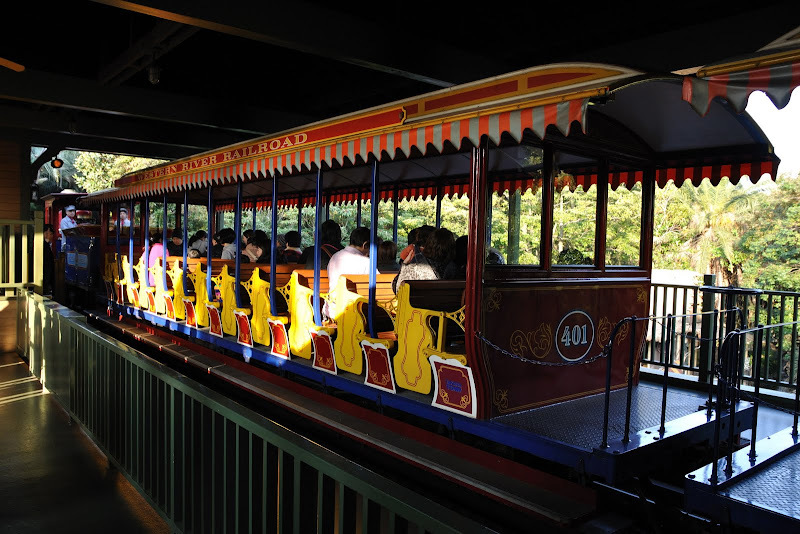 Alternatively, one can take the monorail (pay 250yen/trip) which will stop at Disneyland's main entrance. 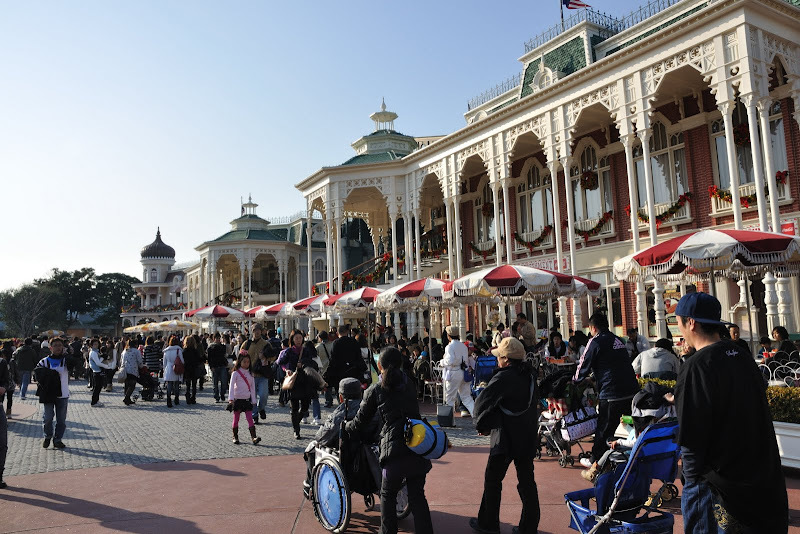 It is quite a walk - but quite pleasant in nice weather and many things to see on the way. 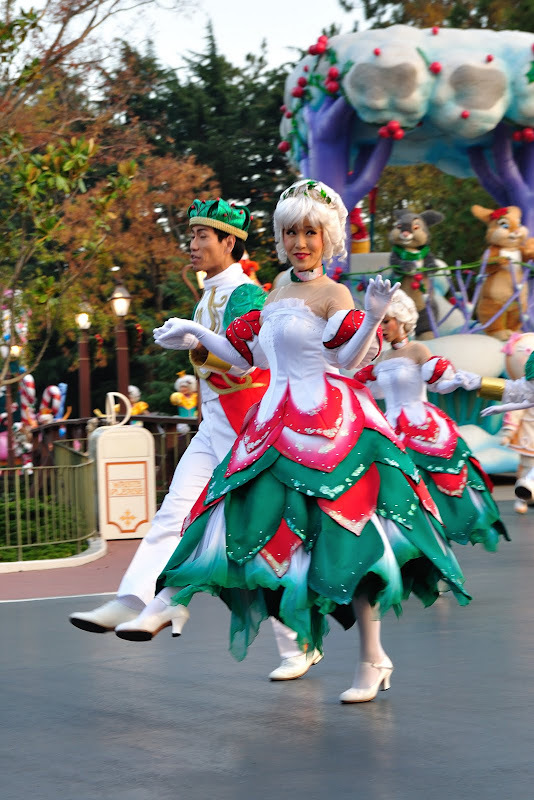 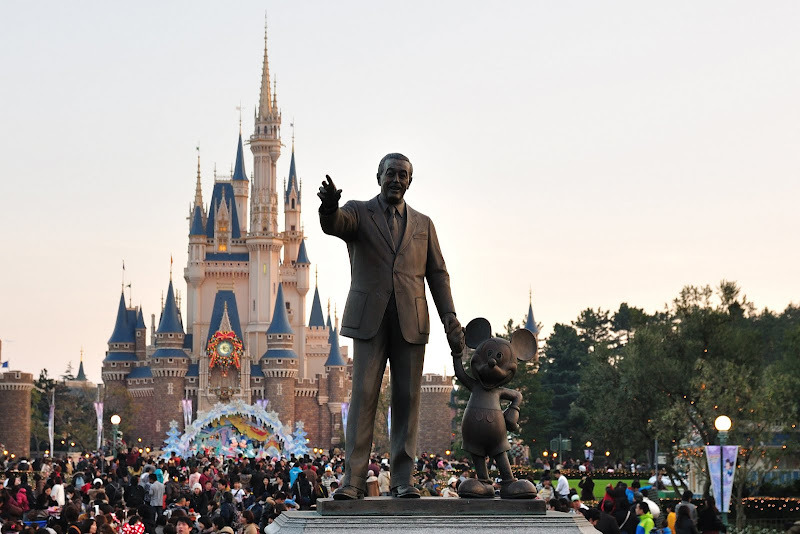 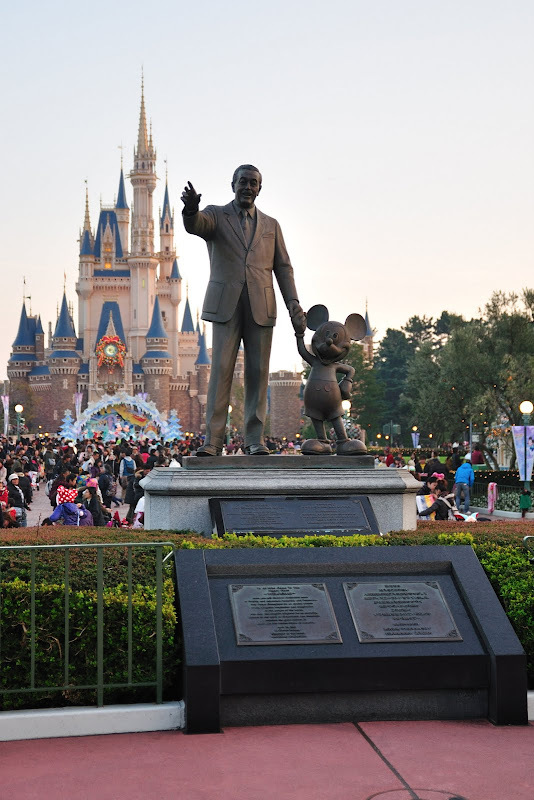 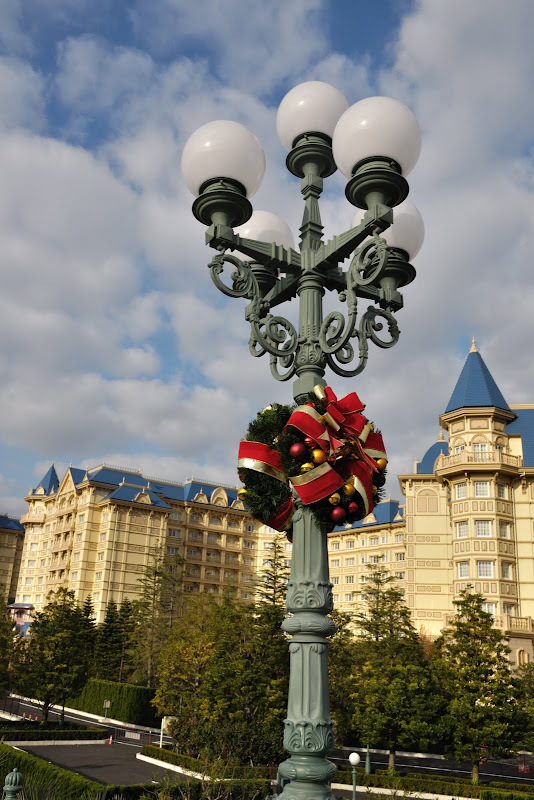 Tokyo Disneyland Hotel in background. 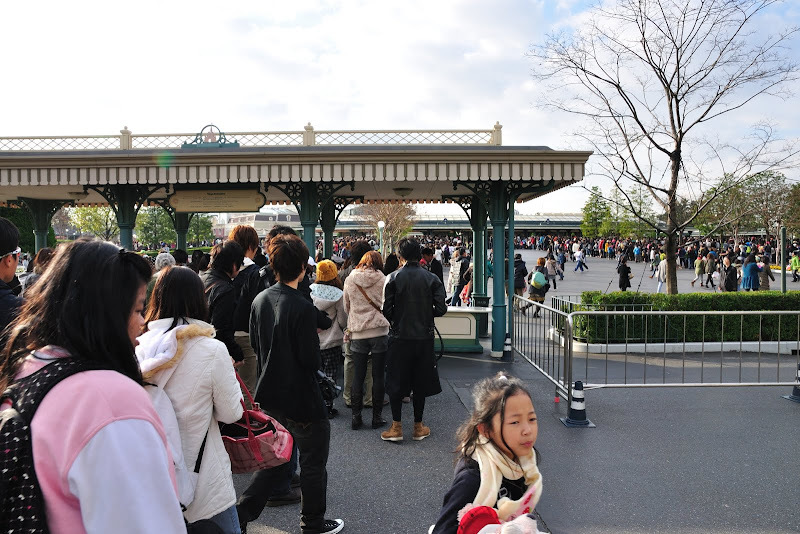 Ther was already a very long queue before the entrance, before opening time. 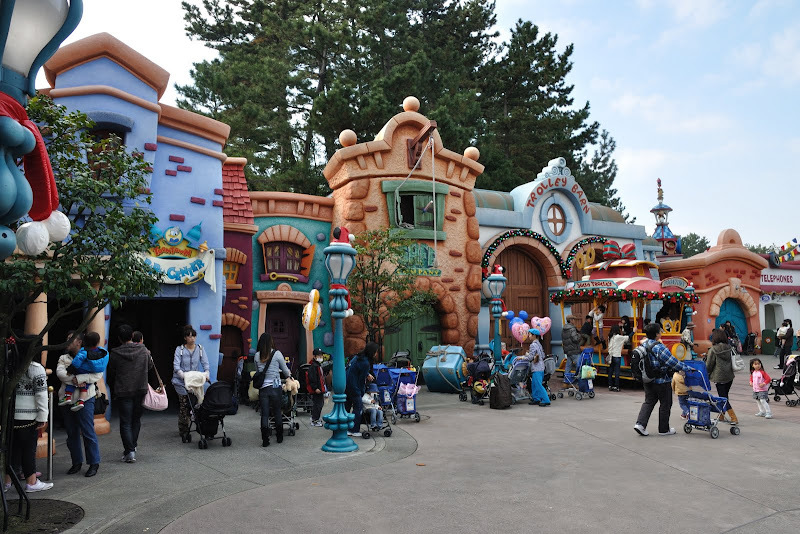 No such queues in Anaheim. 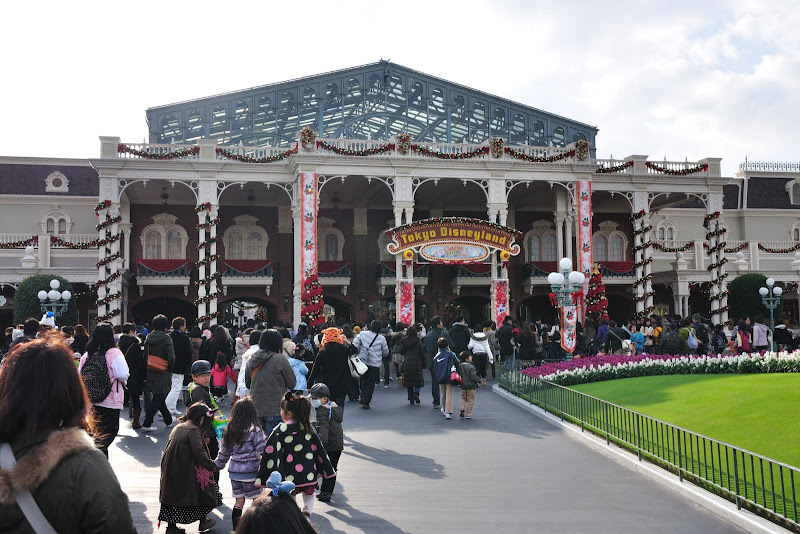 Finally, we got in. 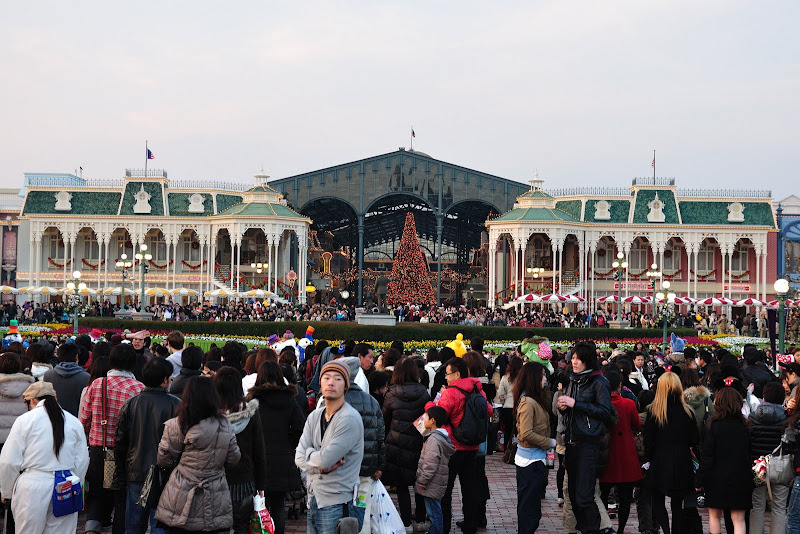 World Bazaar in front. 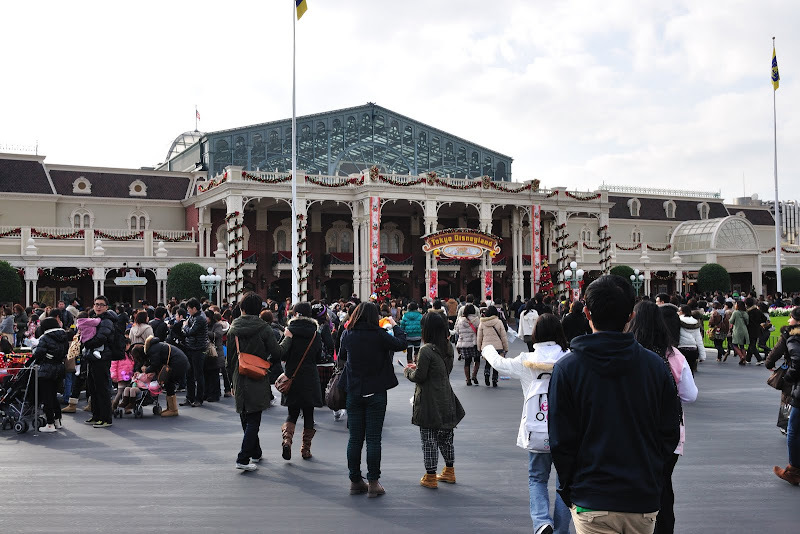 The place was jam packed with people. 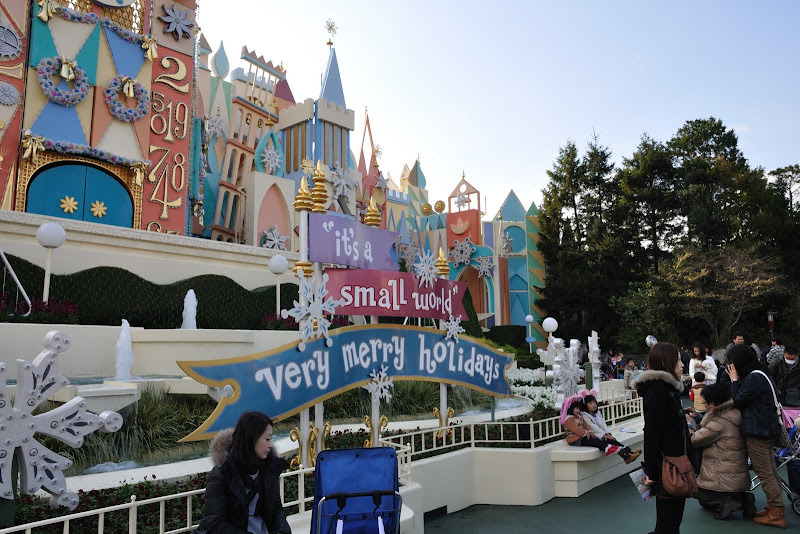 The one in Anaheim was not so crowded. 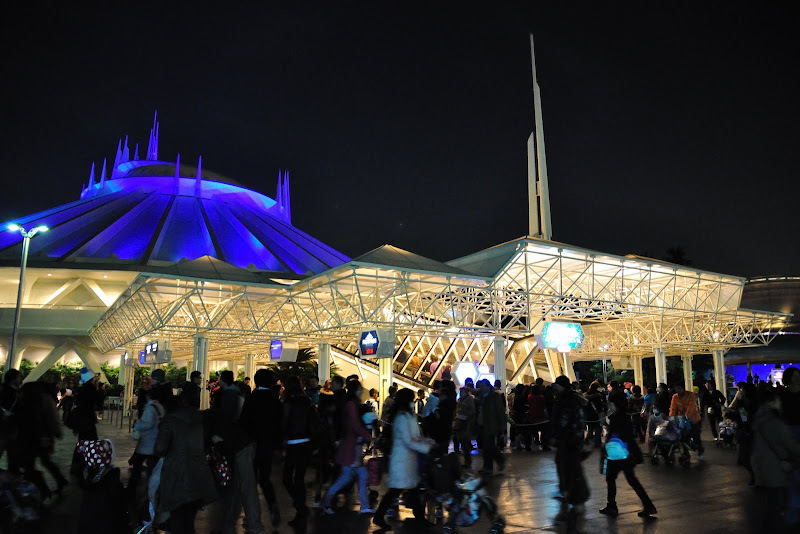 Tomorrowland- Space mountain on the right. 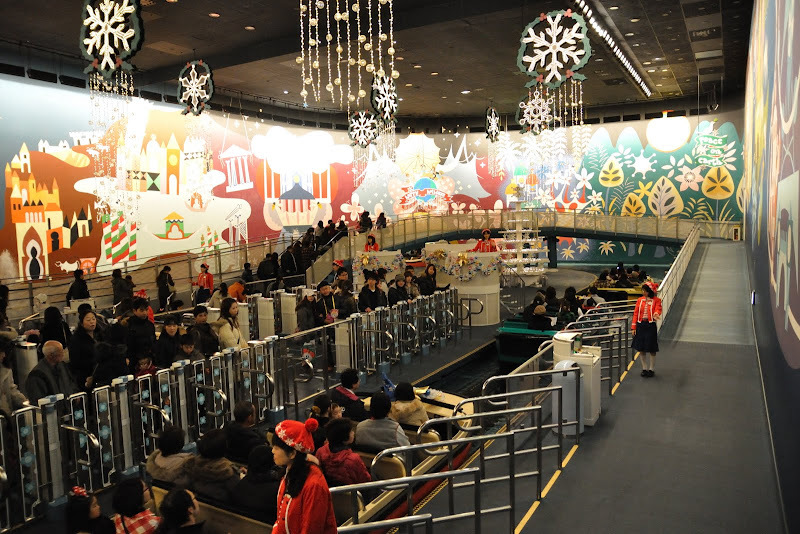 The queue was not long so we took the ride. 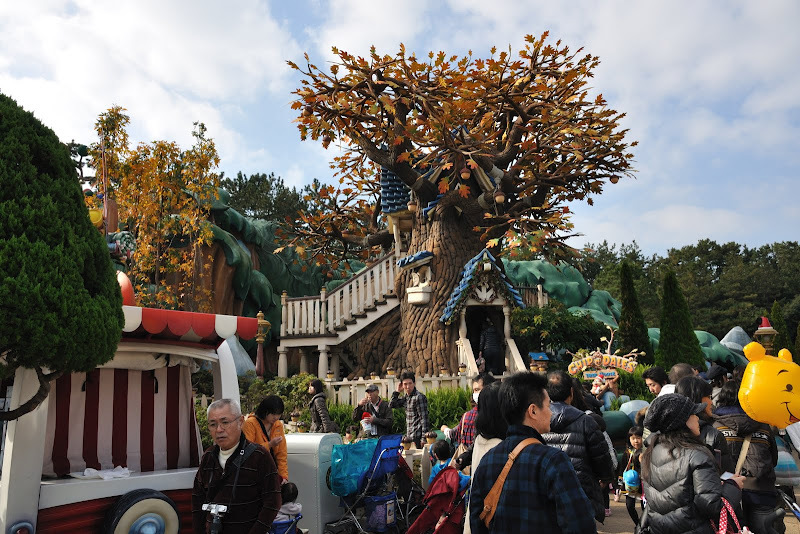 Queuing for Pinocchio's Daring Journey. 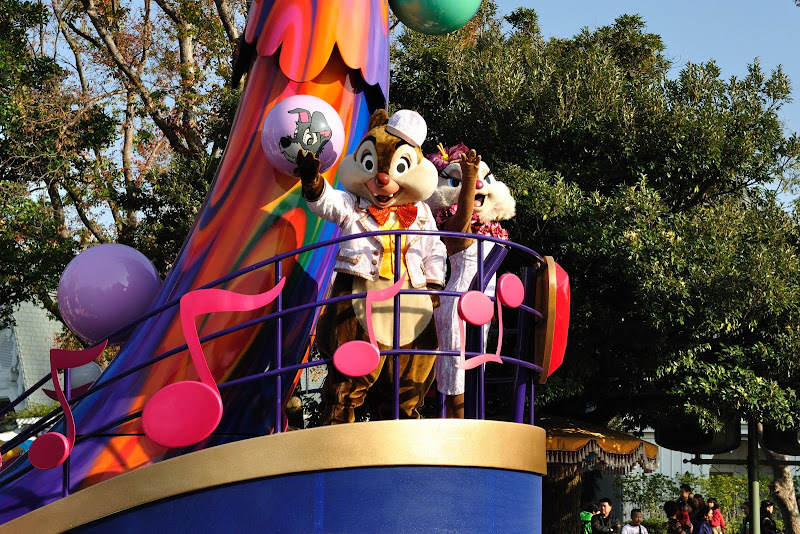 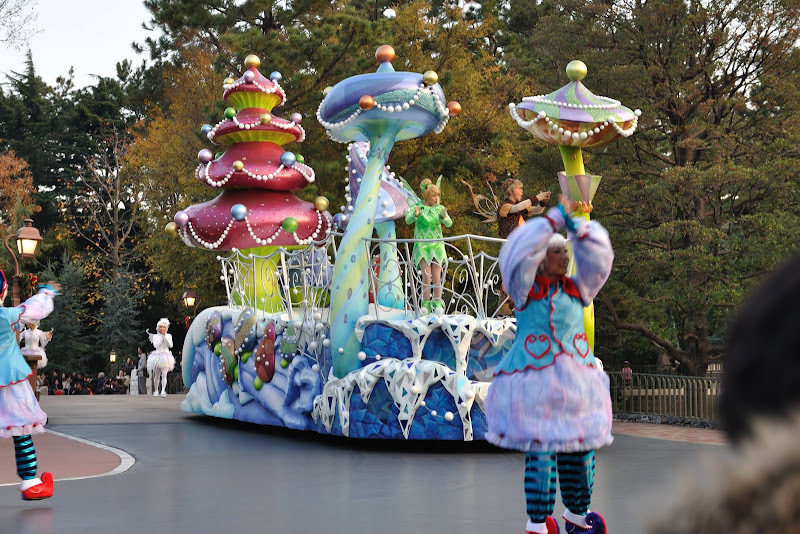 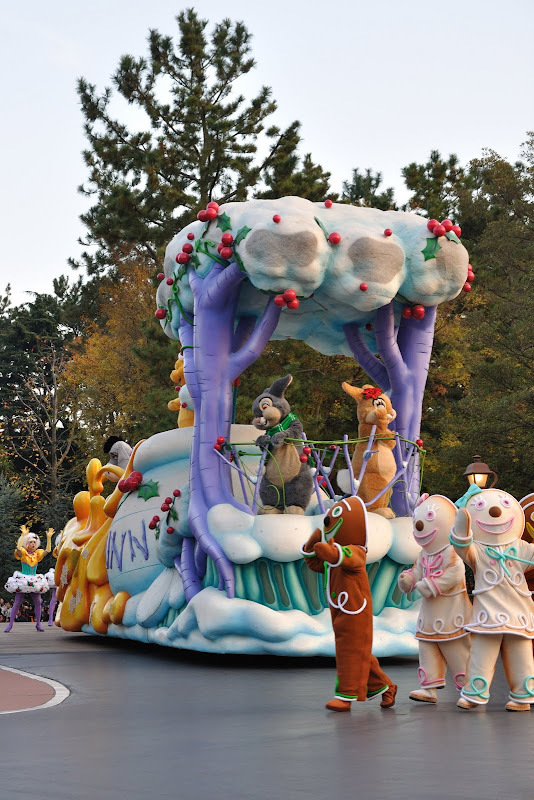 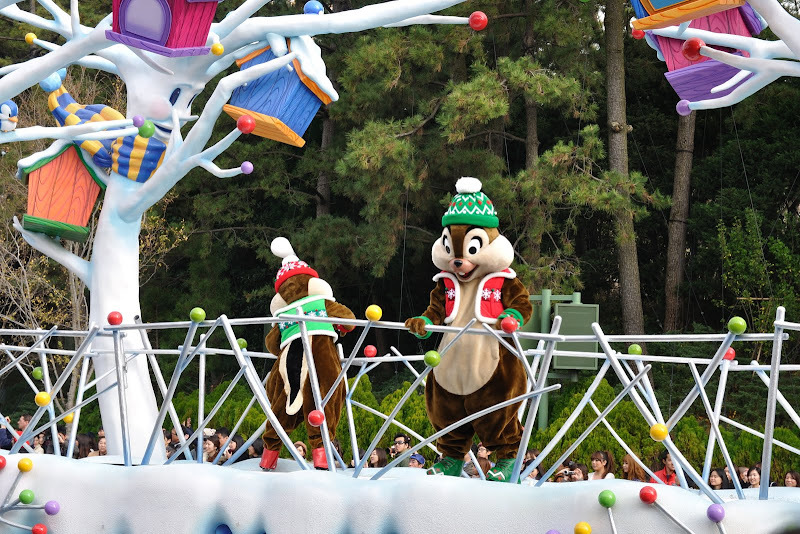 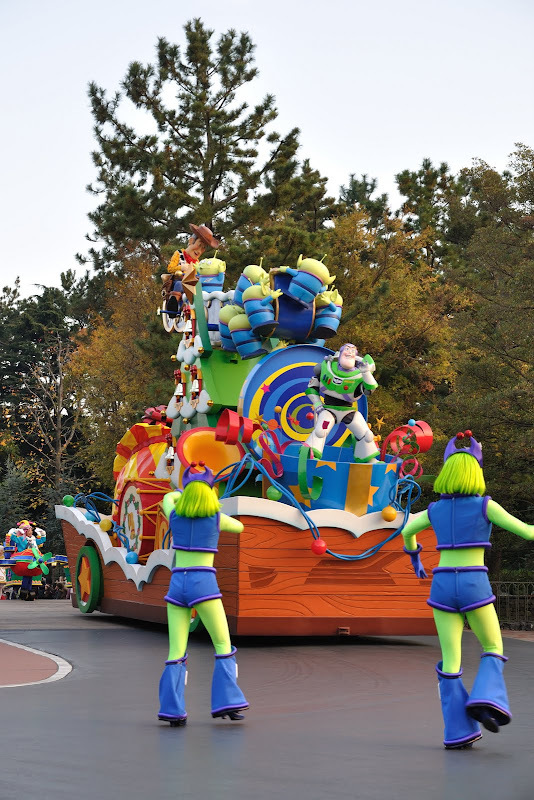 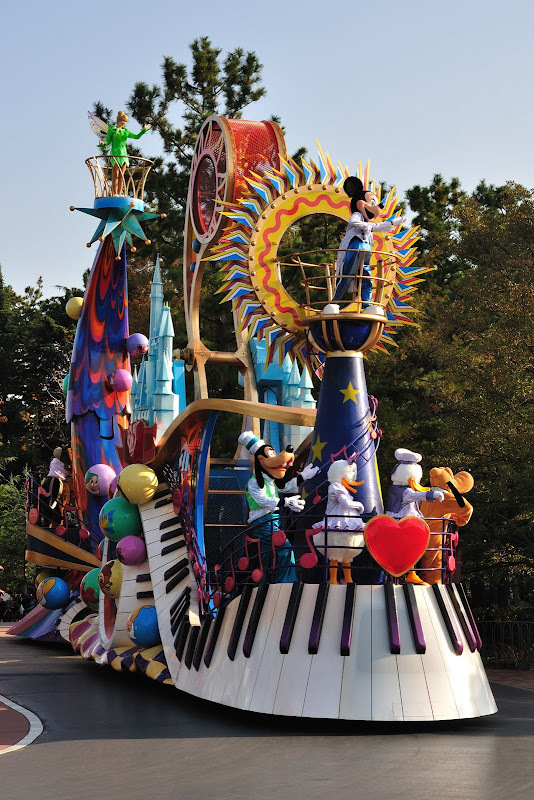 Caught part of the Parade - Jubilation! 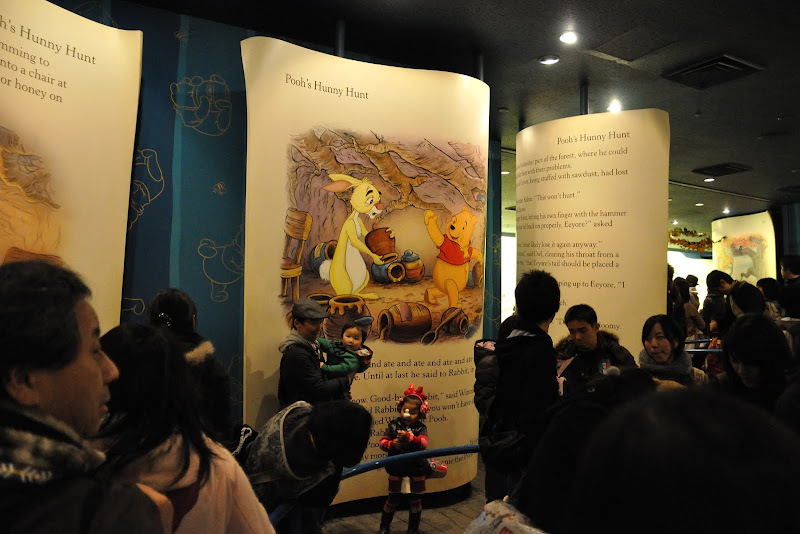 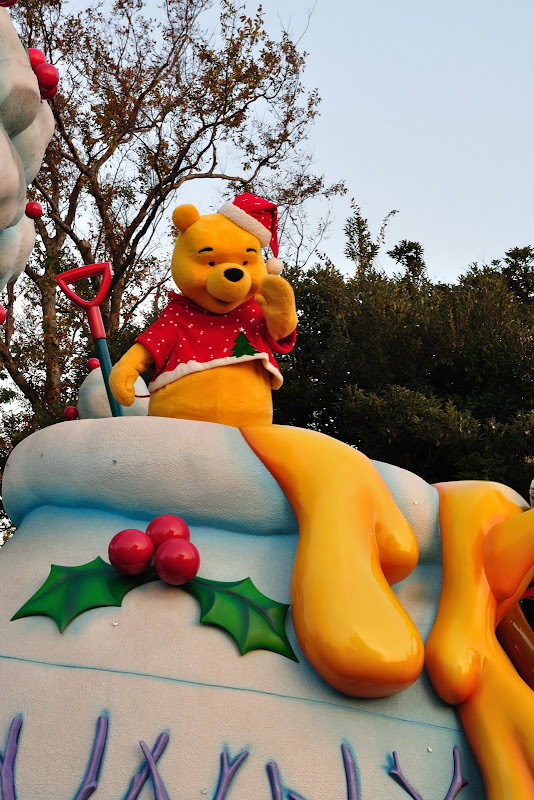 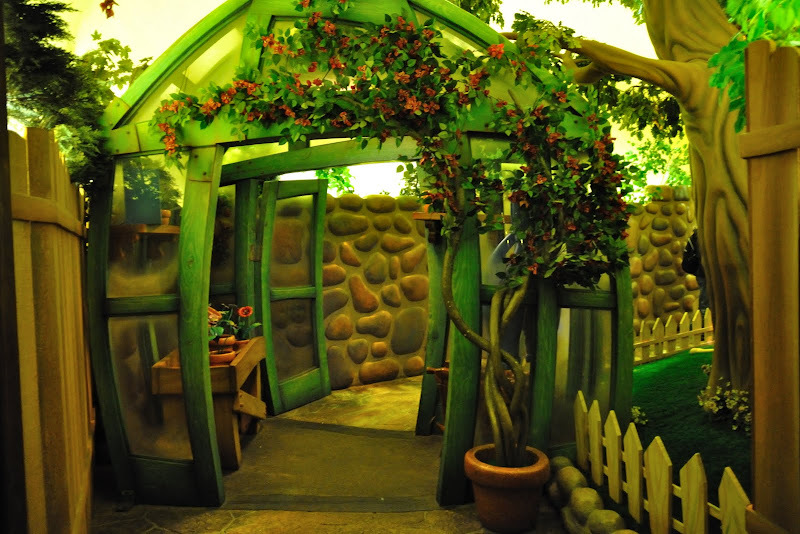 After lunch, collect fastpass for Pooh's Hunny Hunt Ride. 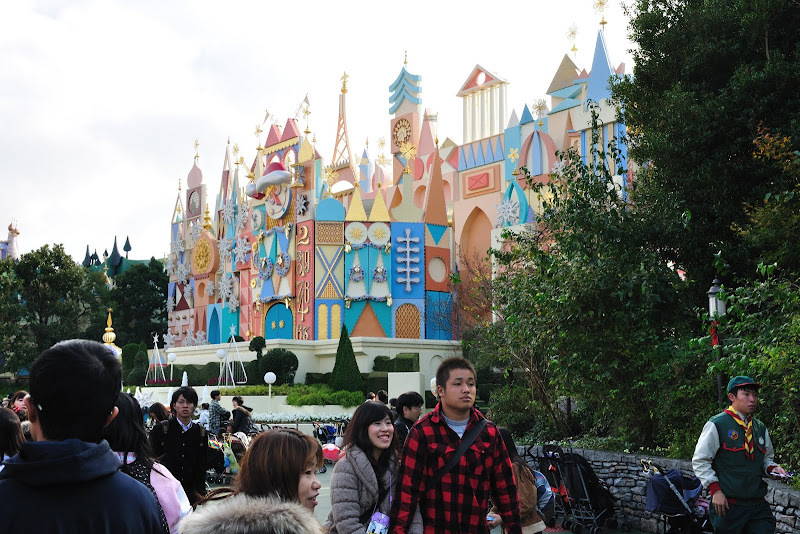 Before lunch, there was a very, very long queue for the fastpast. 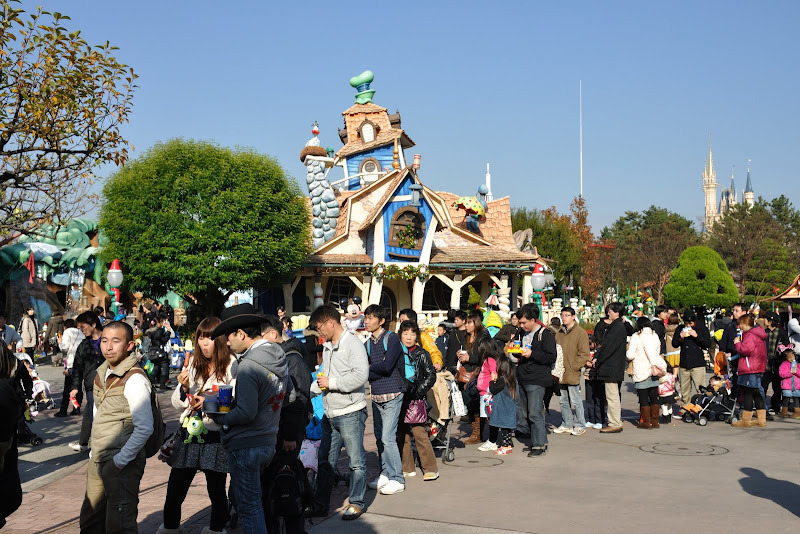 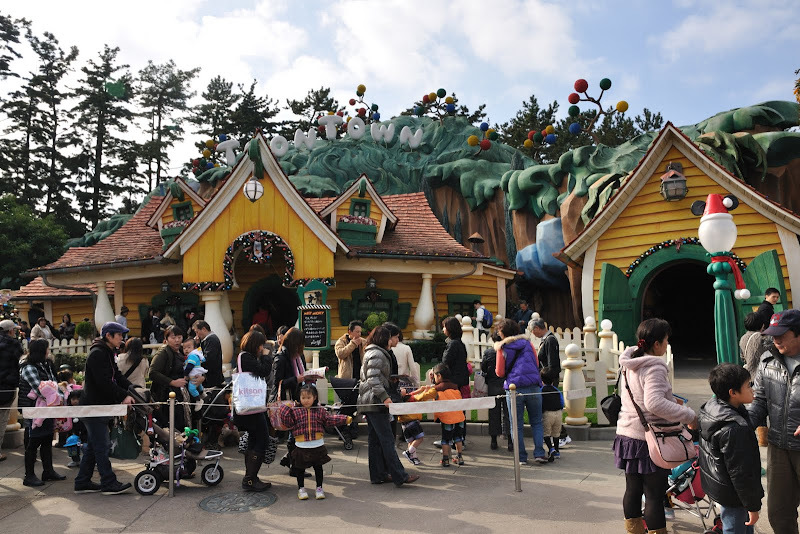 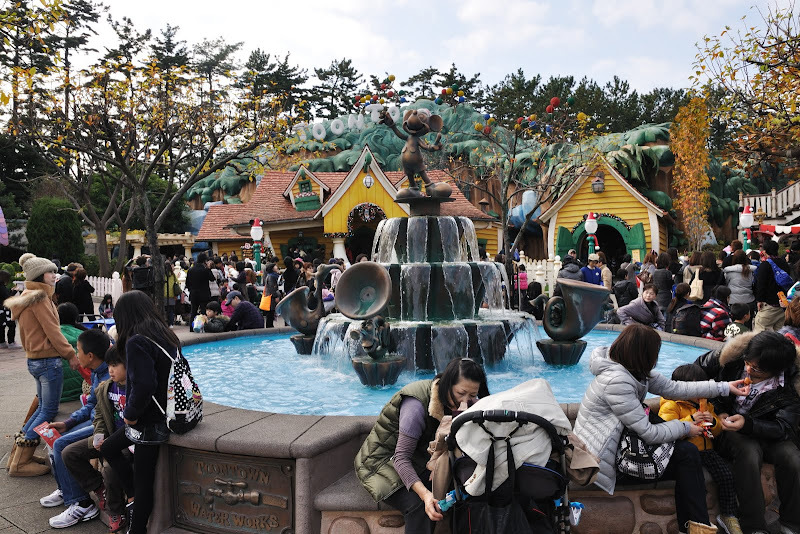 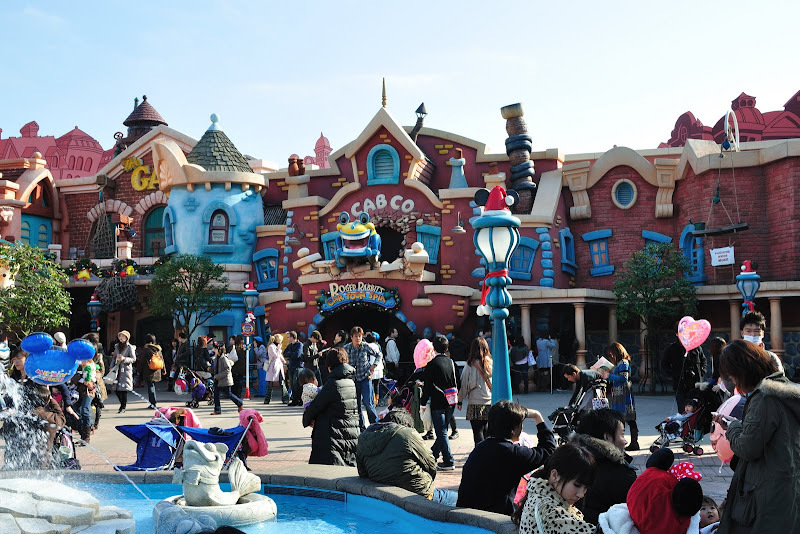 Mickey Mouse Fountain - look at the queue at Mickey's house. 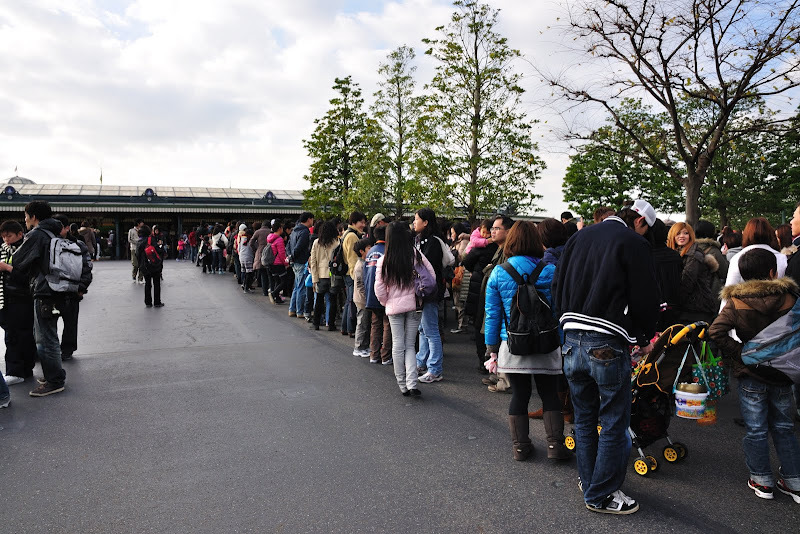 Queue time is 2hrs. 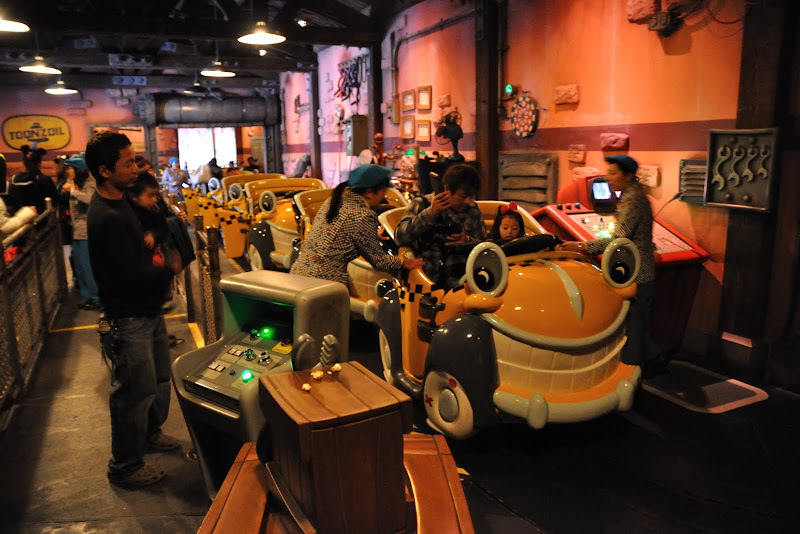 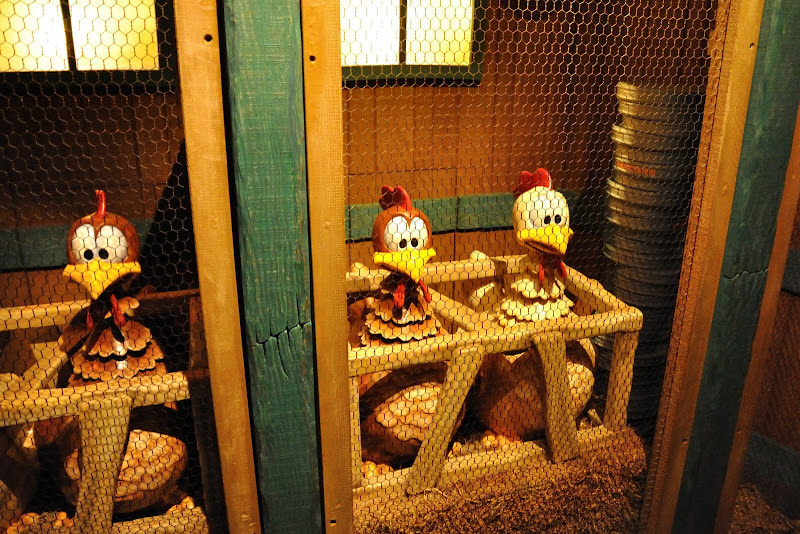 Queued for more than half an hour for the Roger Rabbit's car Toon Spin, misled by the short queue outside. 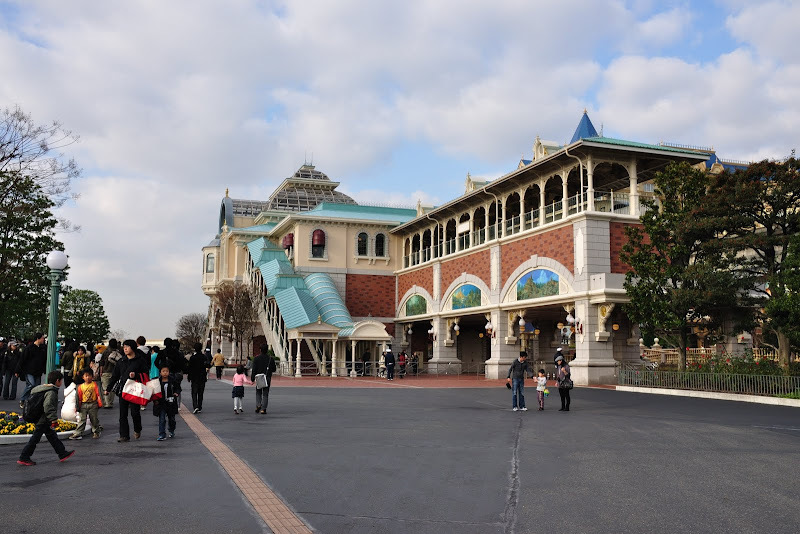 There was a very long queue inside. 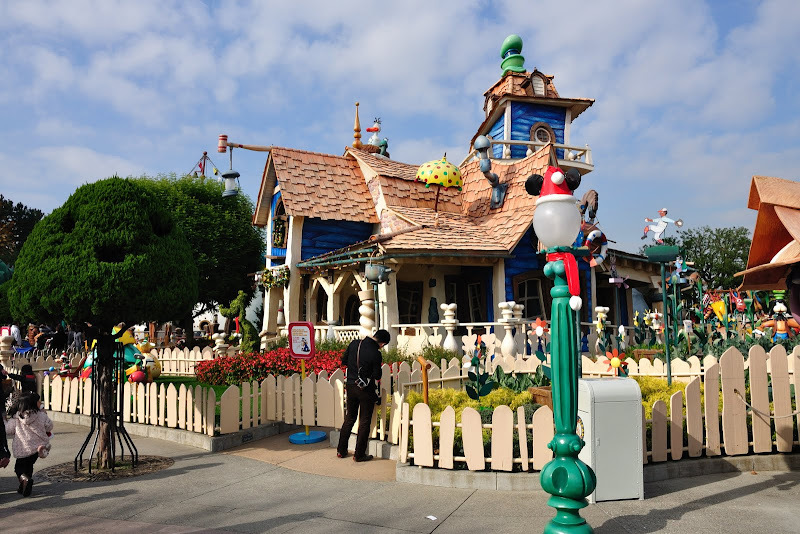 Groofy's house in background. 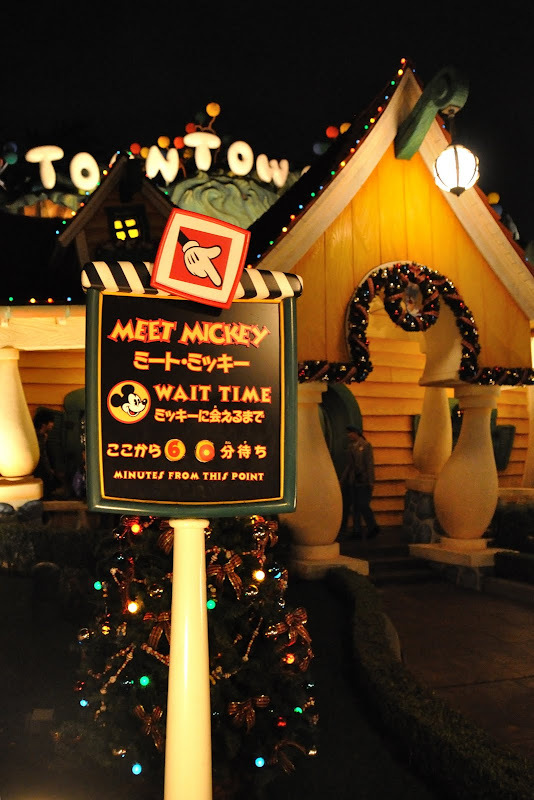 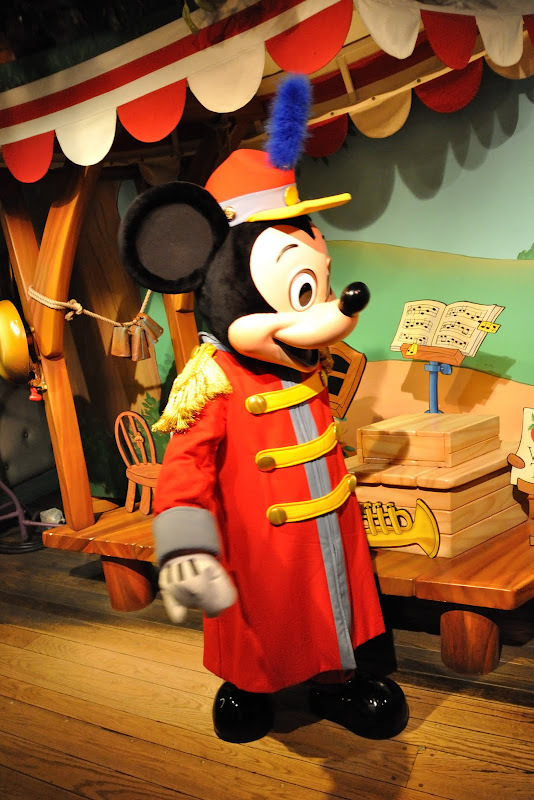 Long queue to meet Mickey, only character in Disneyland to take pictures with. 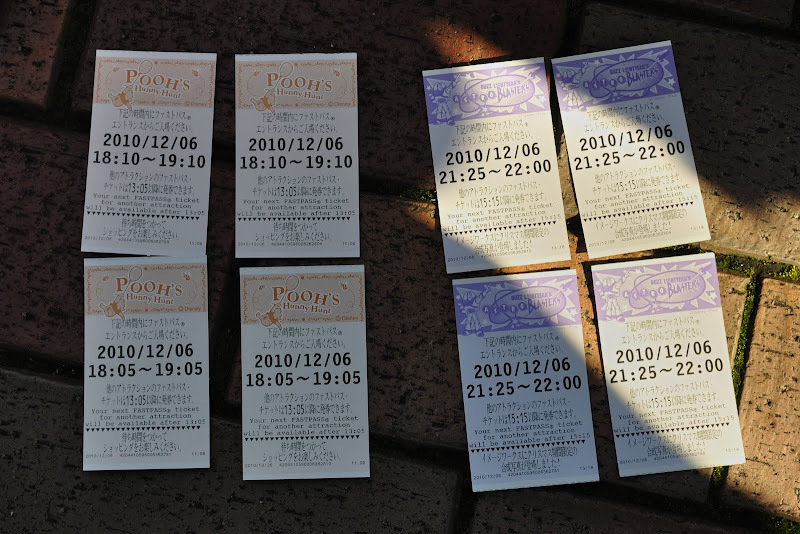 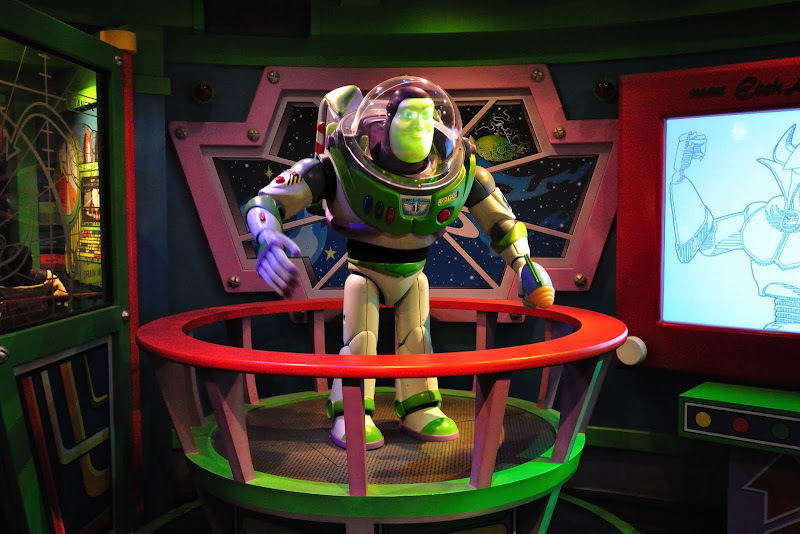 Fastpasses for Poh's Hunny Hunt and Buzz lightyear's Astro Blasters. 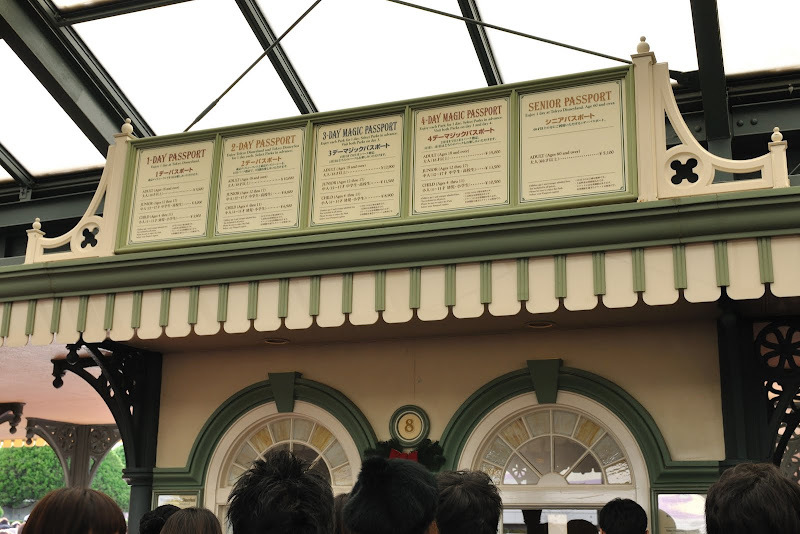 The second fastpass can only be obtained 2hours after the last fastpass. 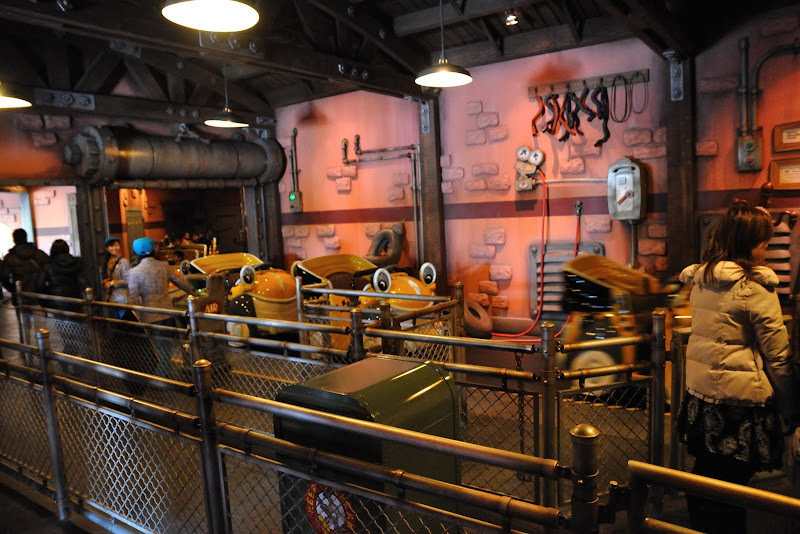 Fastpass for Monster's Inc ran out. 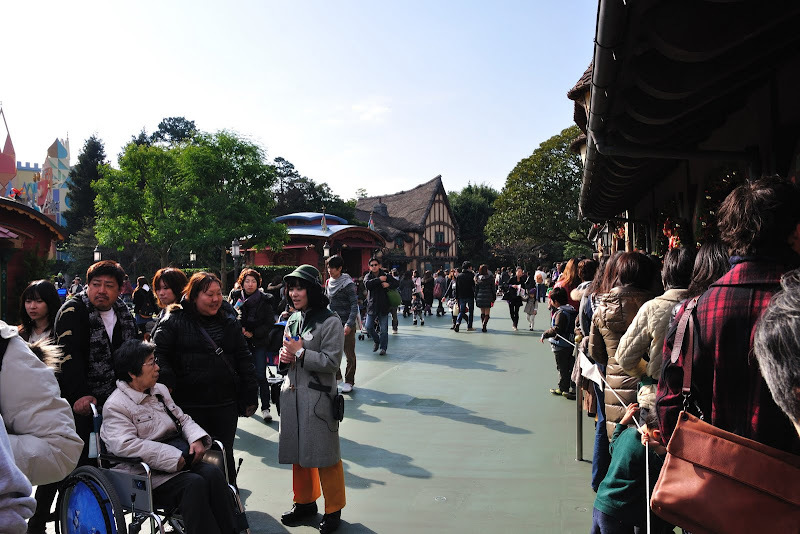 Now I understand why there was a long queue for the fastpass. 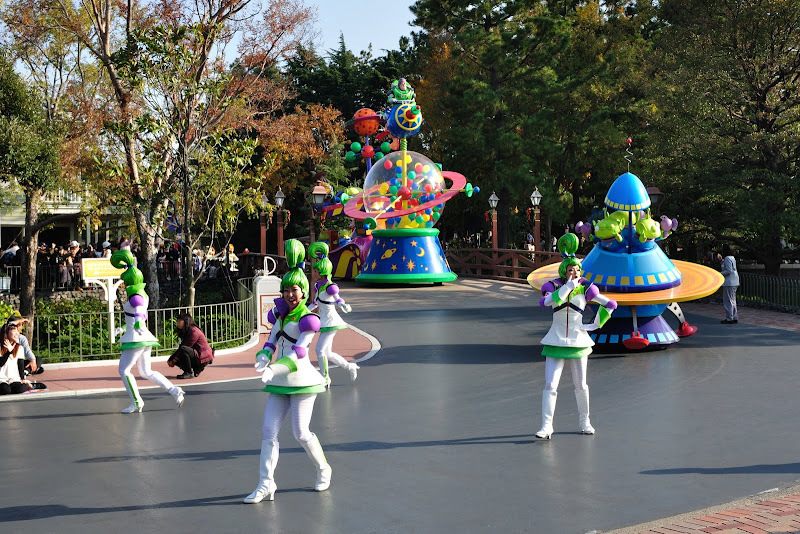 Missed part of the earlier parade - Jubliation! 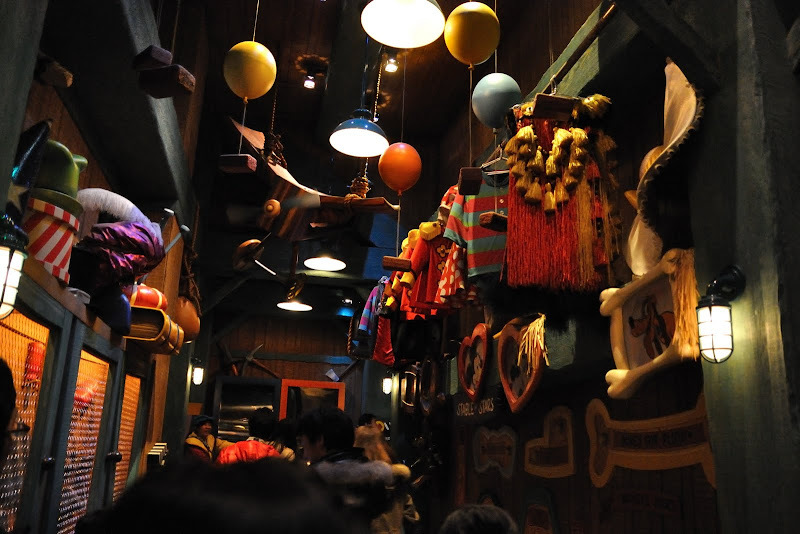 Now we got to see the complete one. 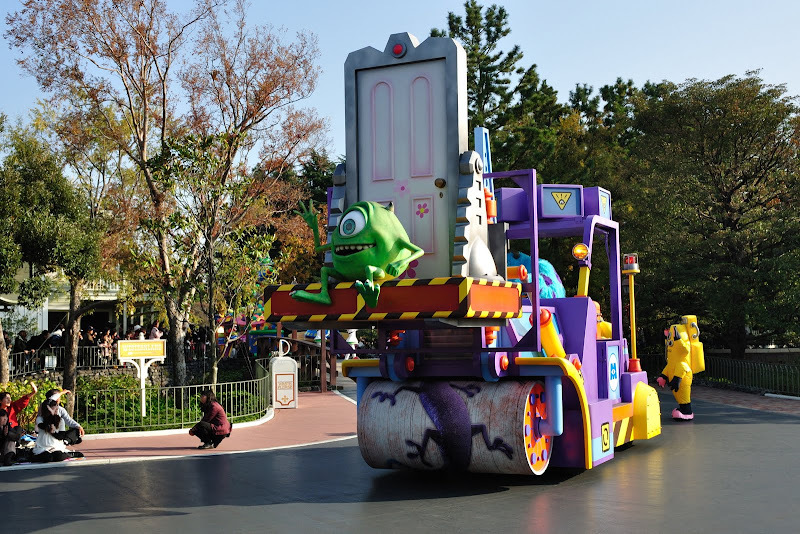 In Anaheim, we had to "chop" place quite early before the parade. 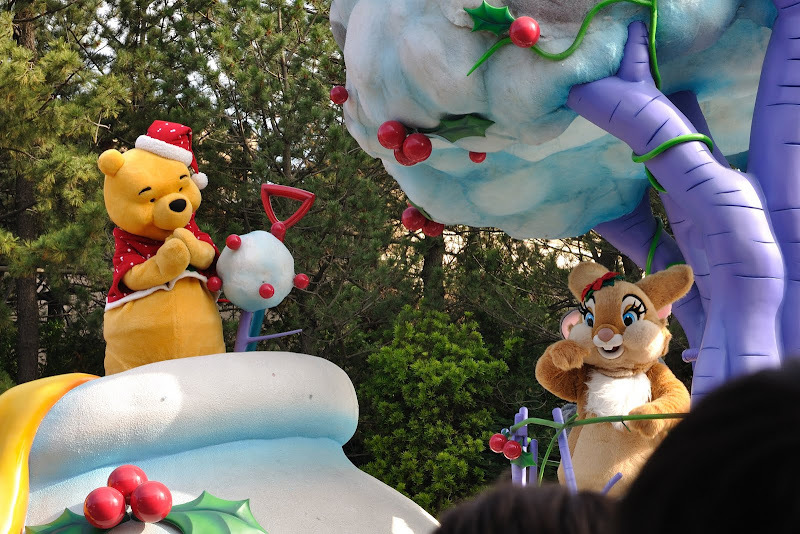 Over here, seemed quite easy to get a place in a good spot. 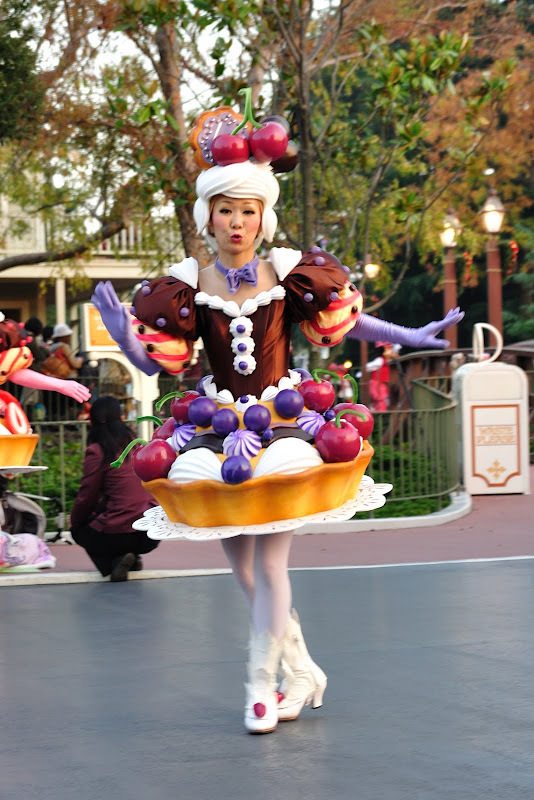 Quite surpised. 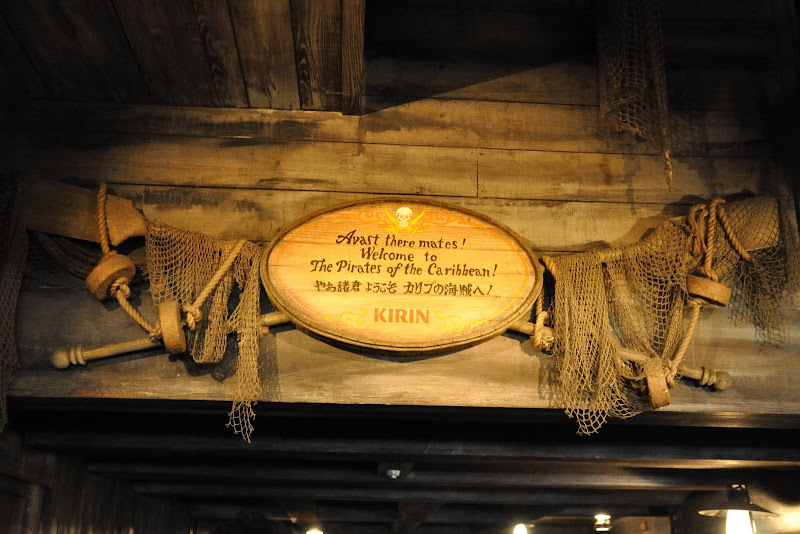 Next, queue for Pirates of Caribbean. 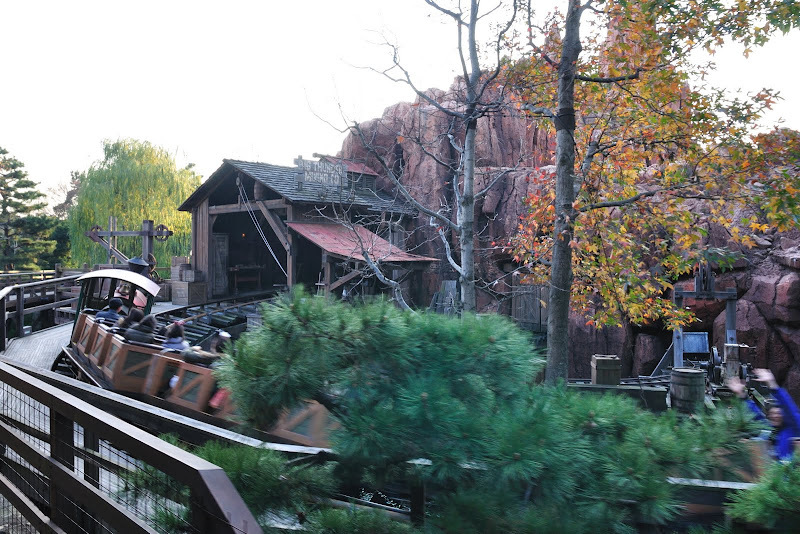 After the interesting ride, en route to Western River Railroad. 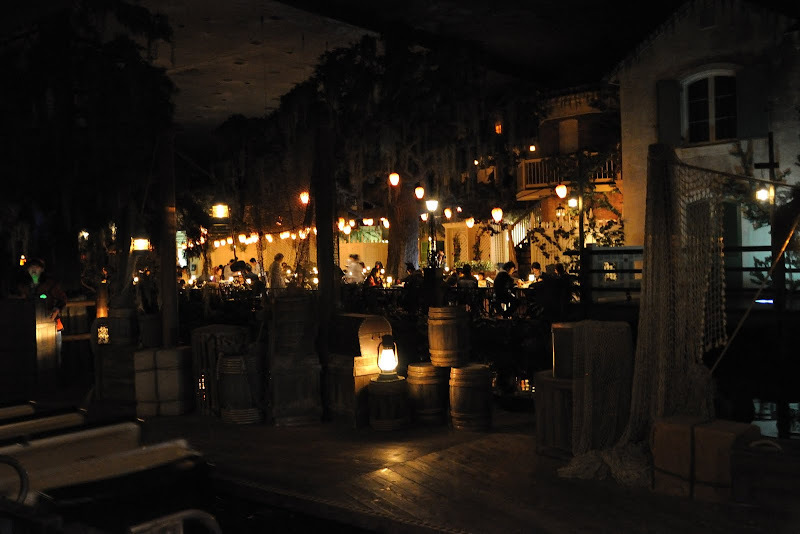 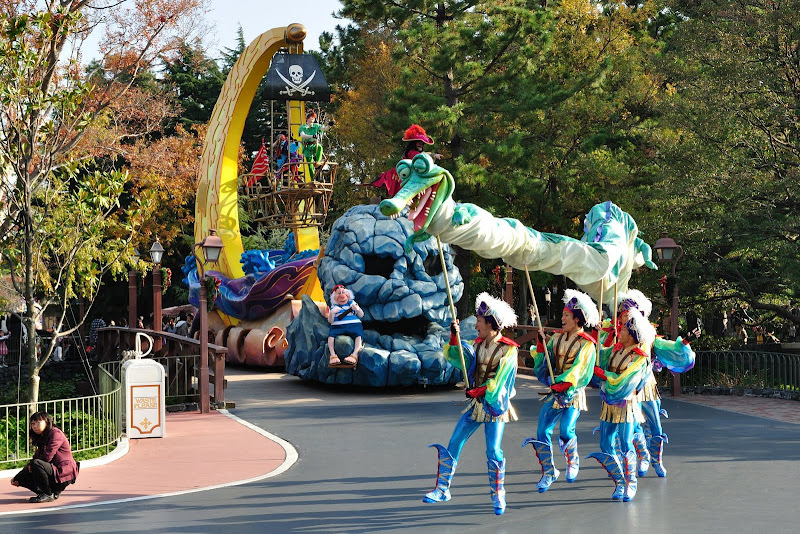 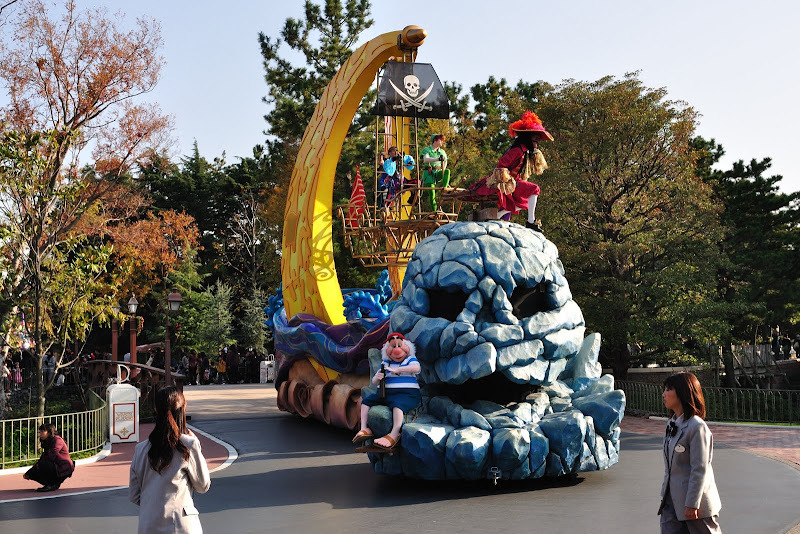 More appreciative of the pirates ride now ever since the movies were made. 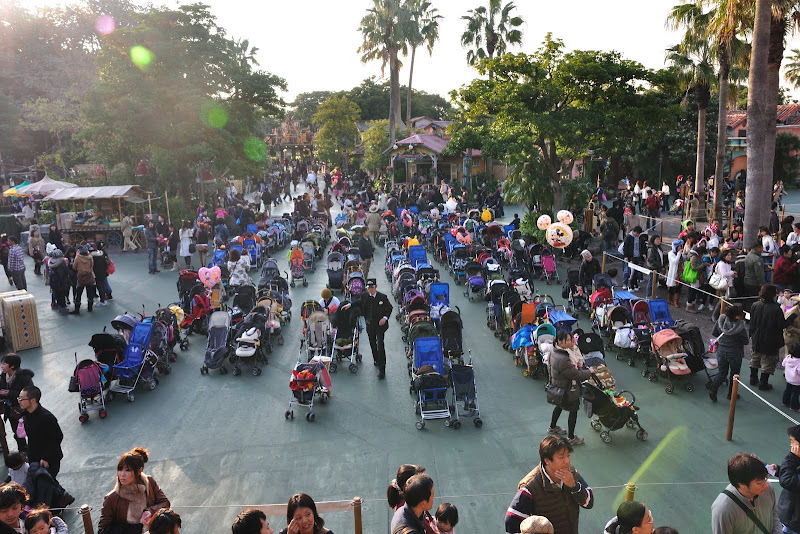 Look at the number of strollers! 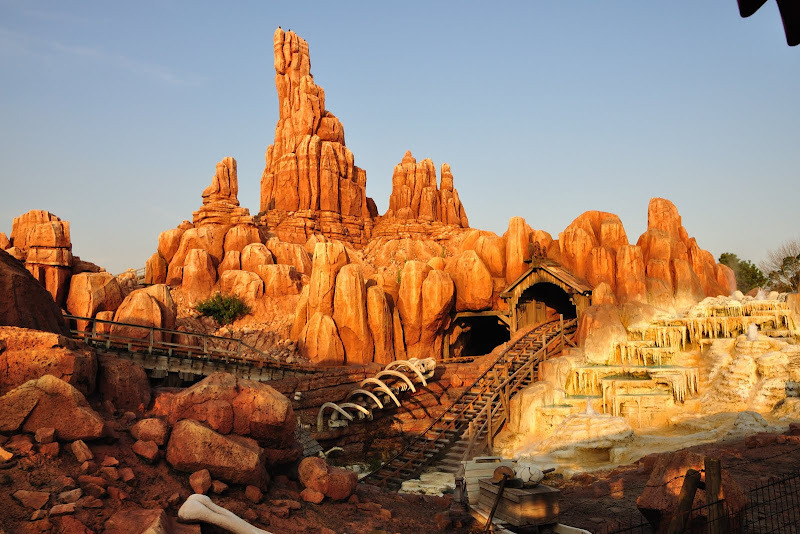 Big Thunder Mountain - I missed this ride when in Anaheim. 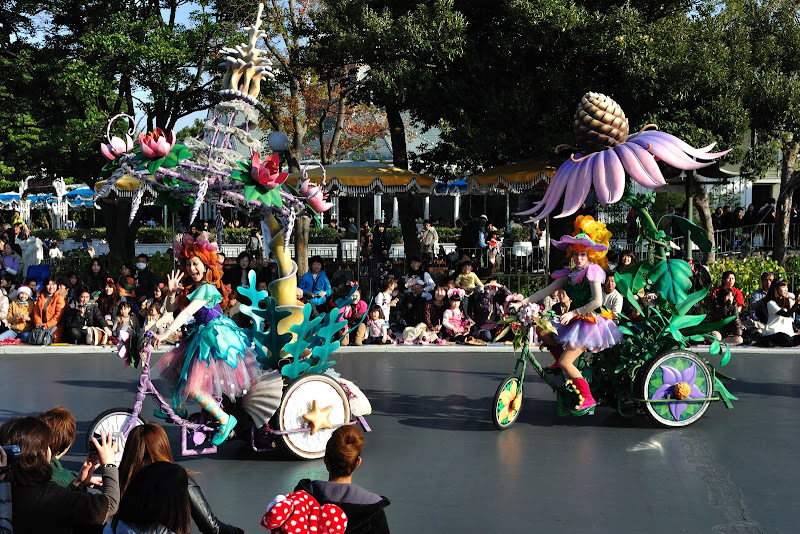 Missed it too in Tokyo. 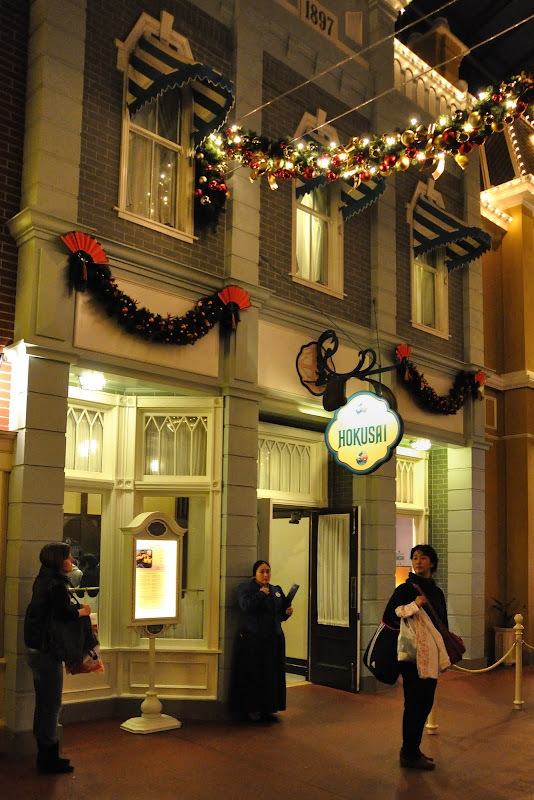 Early dinner at Hokusai Japanese Restaurant at World Bazaar since Pooh's ride was at 1810hrs. 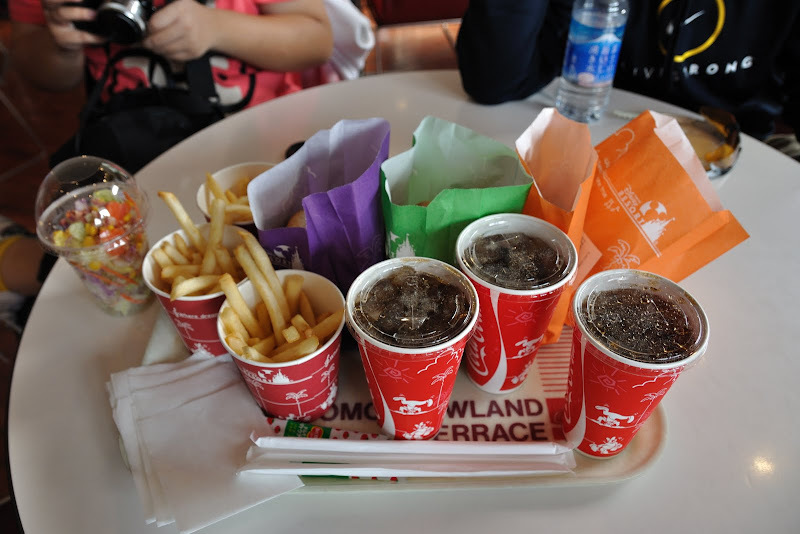 It was nice to have Japanese food in Disneyland. 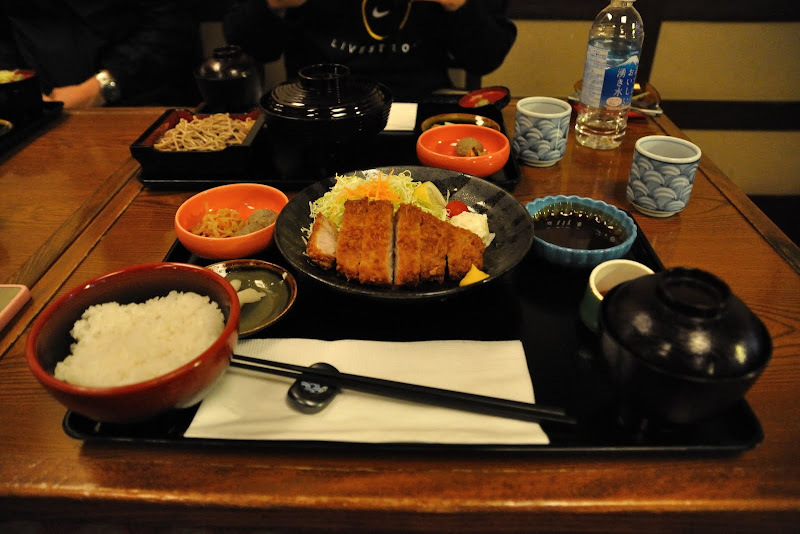 Quite a tasty and nice meal too. 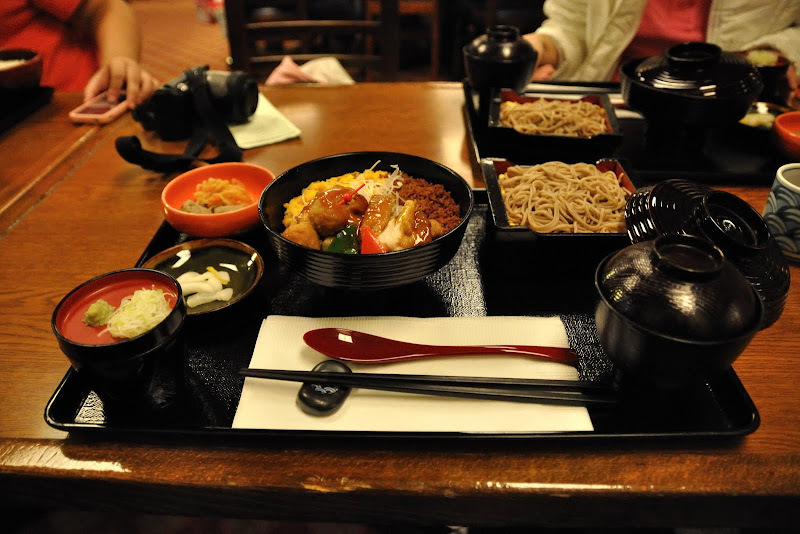 Total Bill : 6820yen. 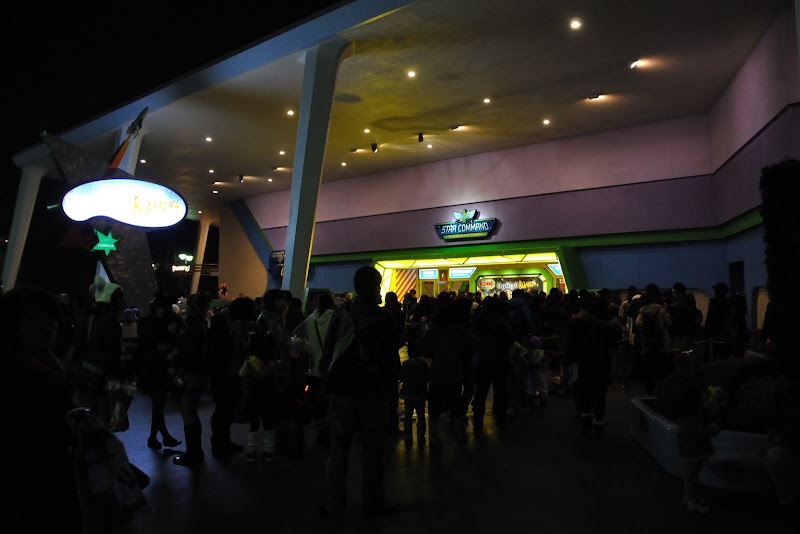 There was a long queue after we finished our dinner. 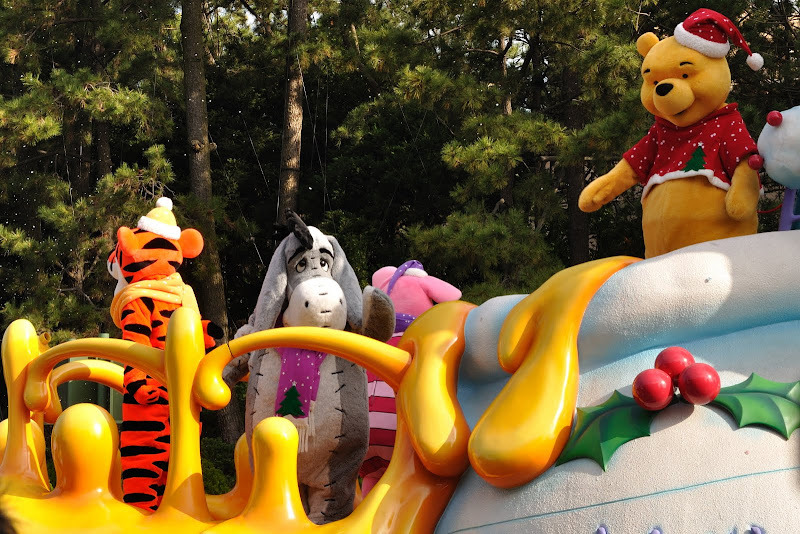 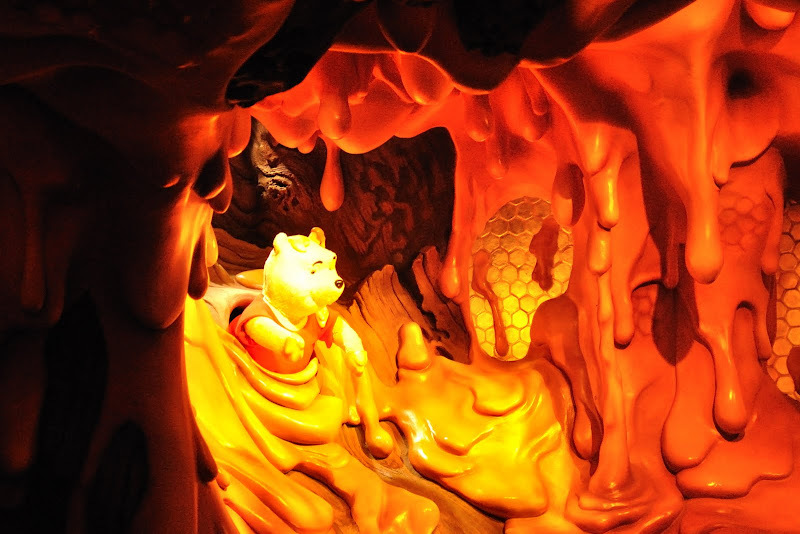 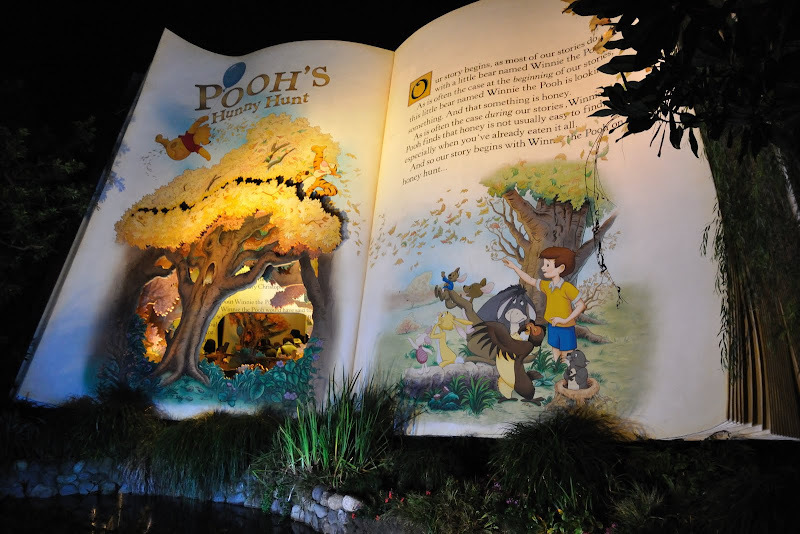 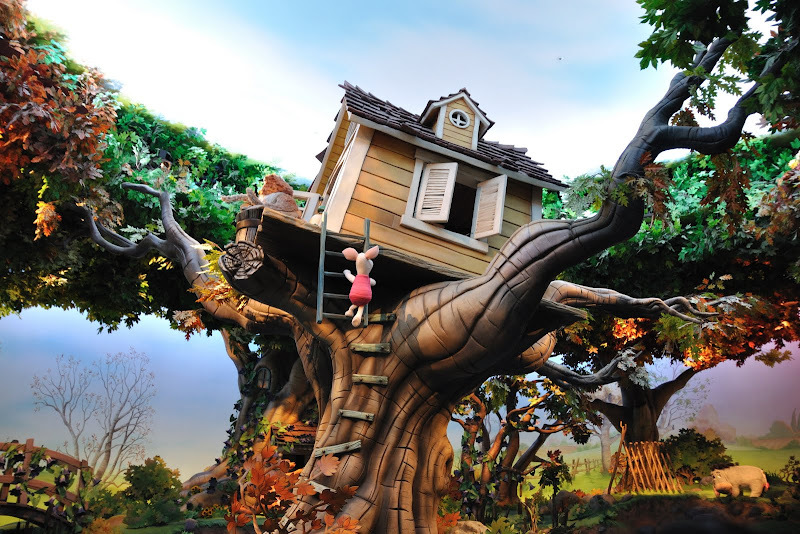 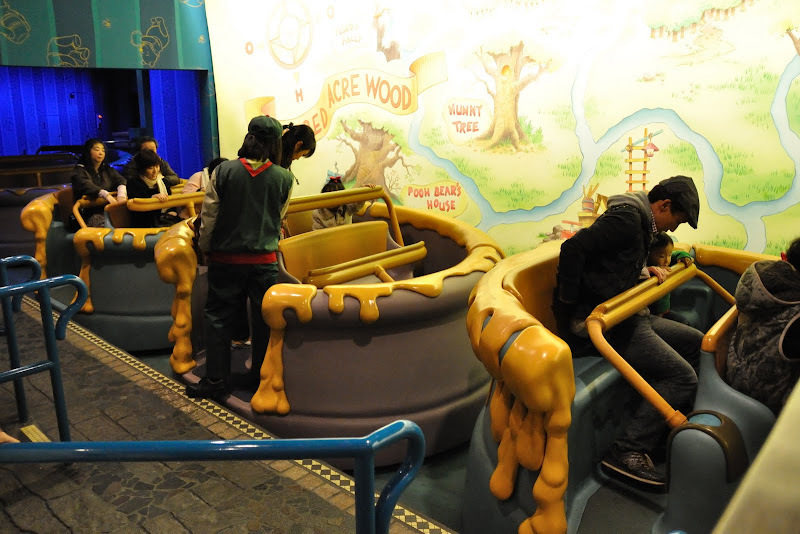 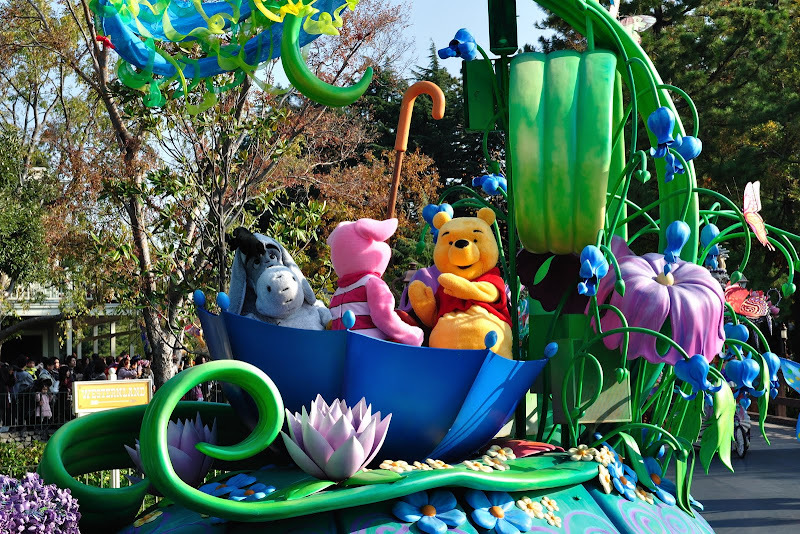 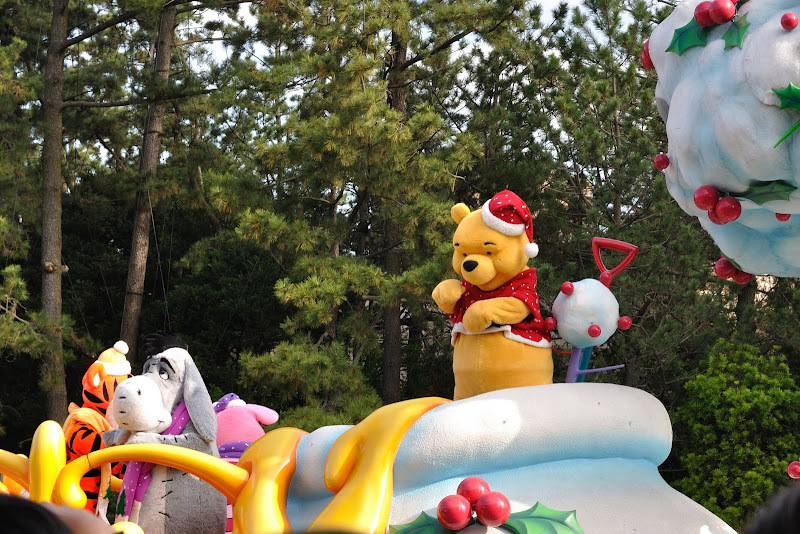 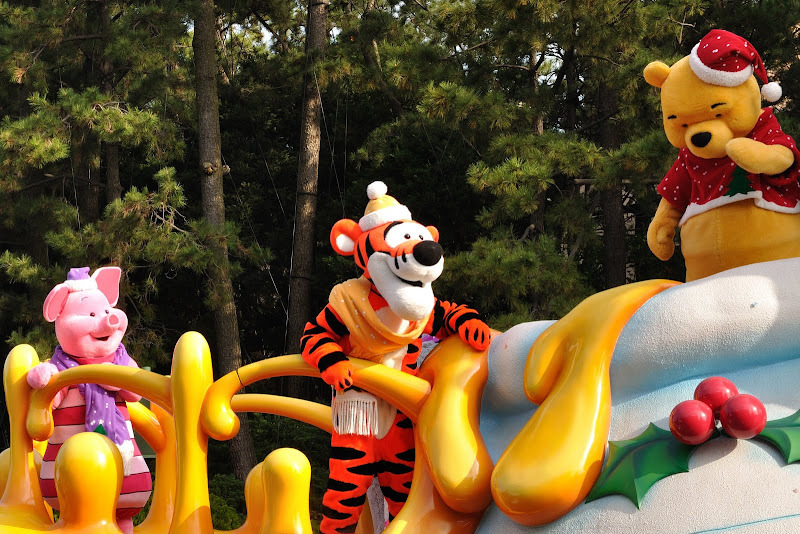 After dinner, it was time for Pooh's Hunny Hunt Ride - This is a new ride. 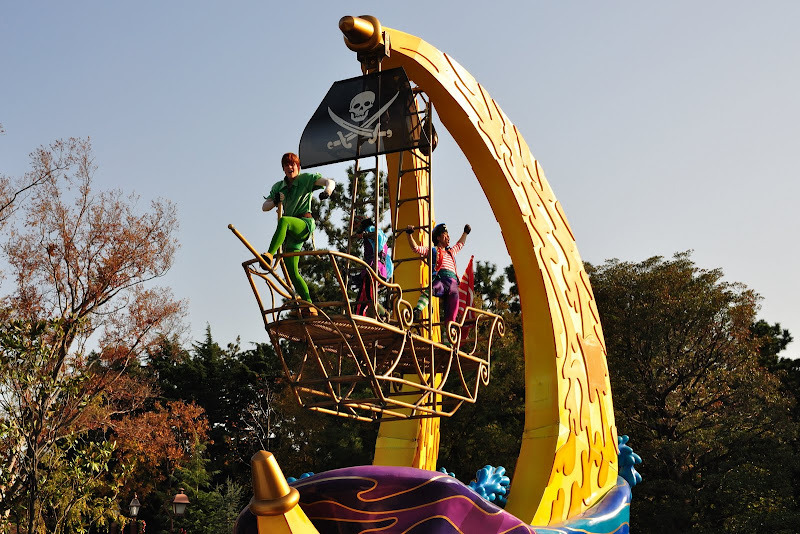 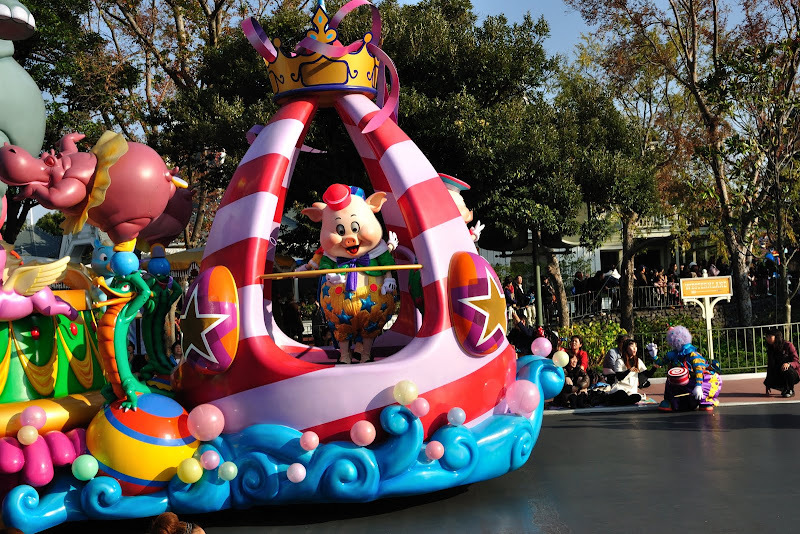 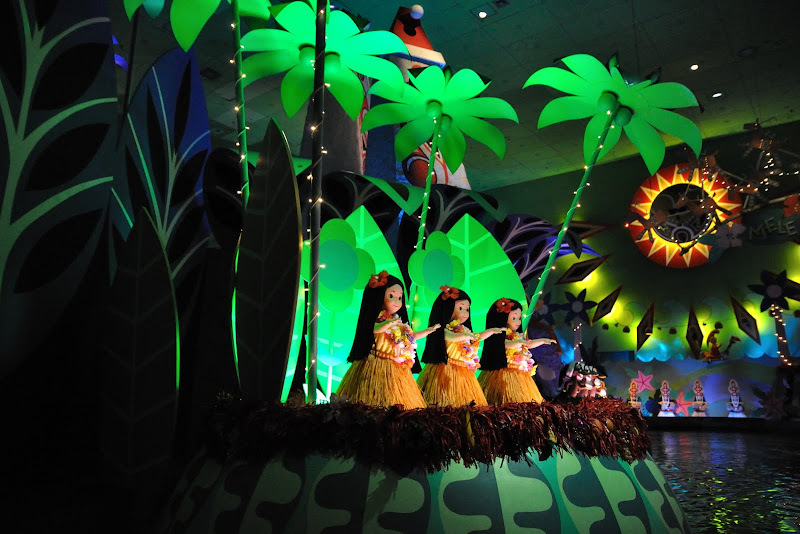 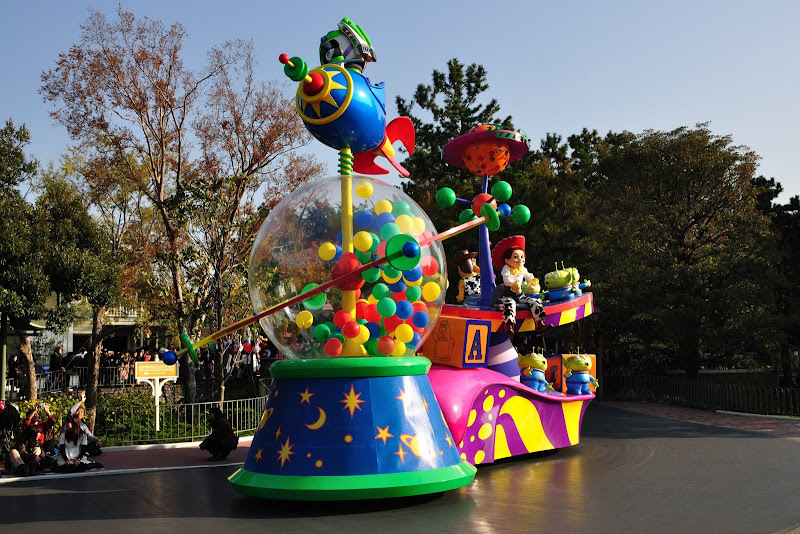 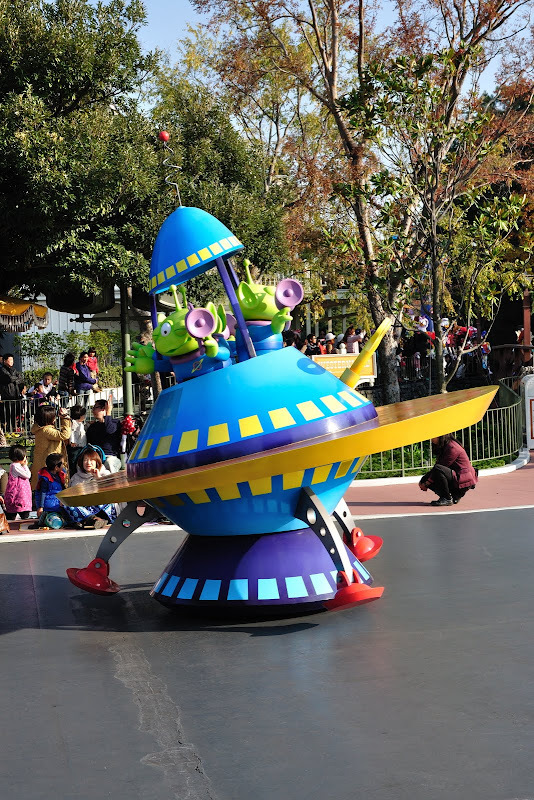 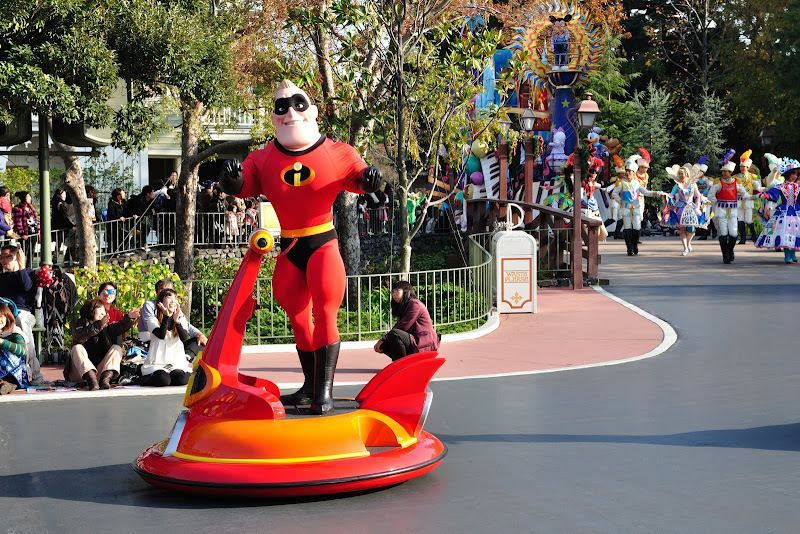 This ride did not exist in Anaheim then. 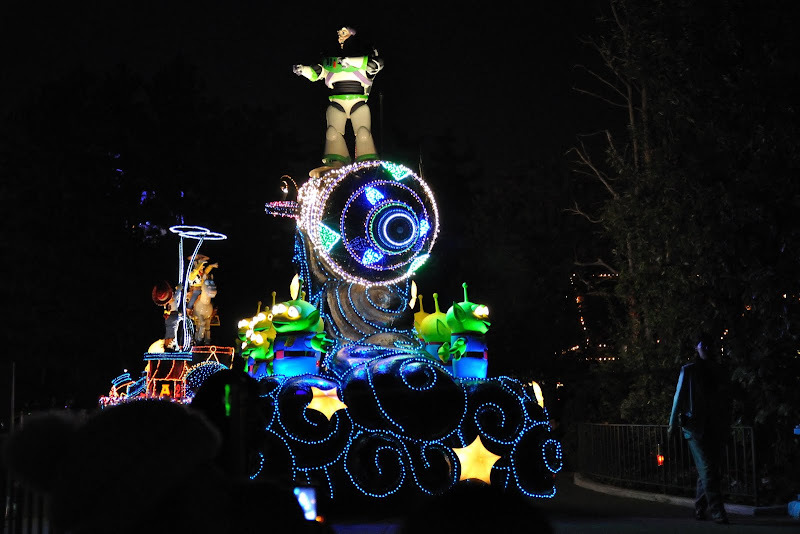 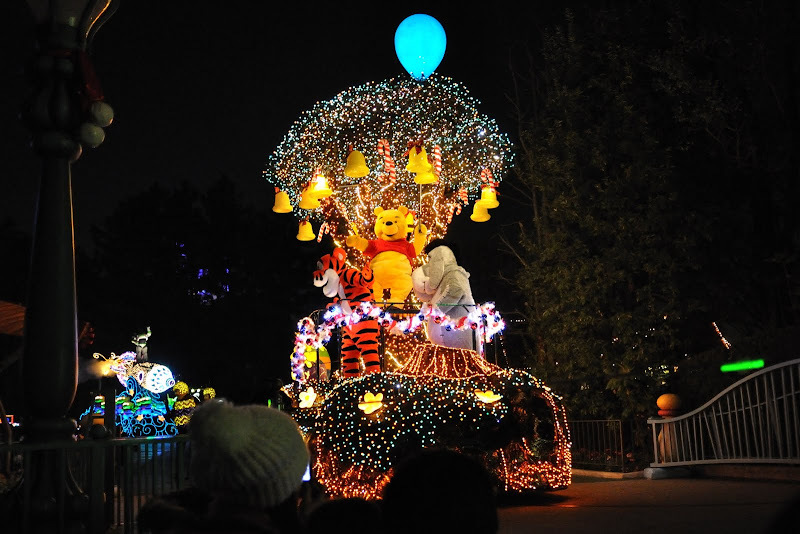 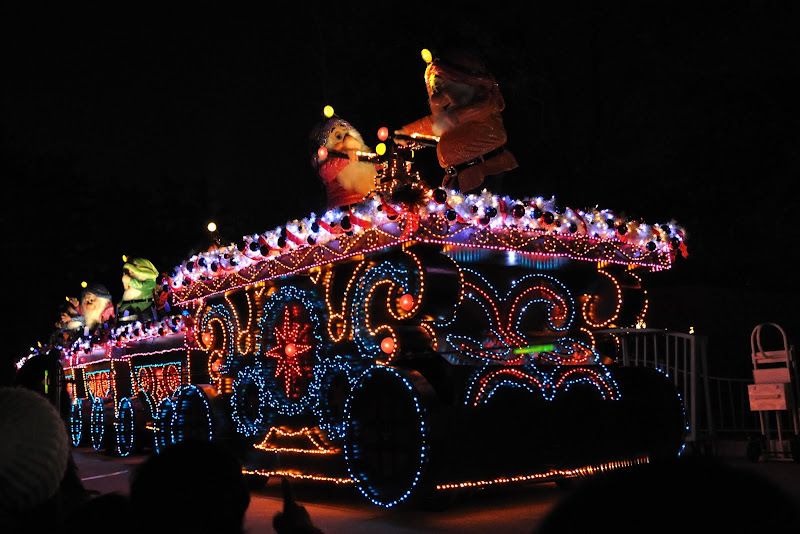 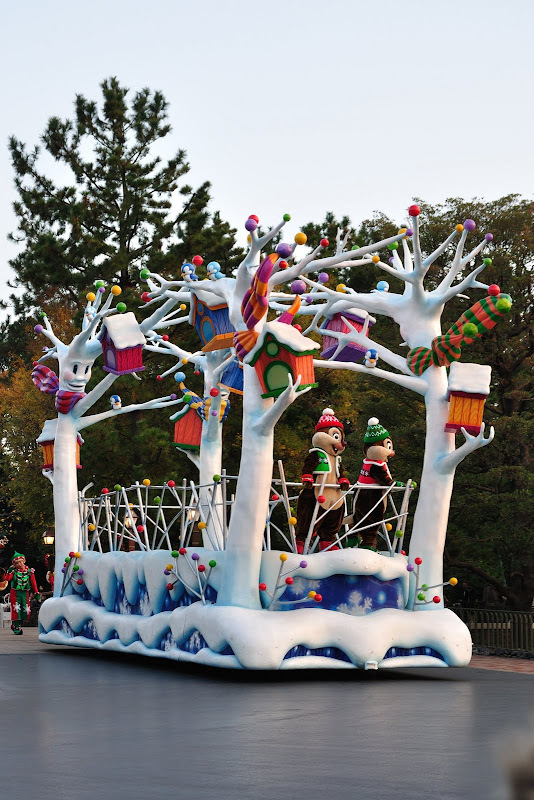 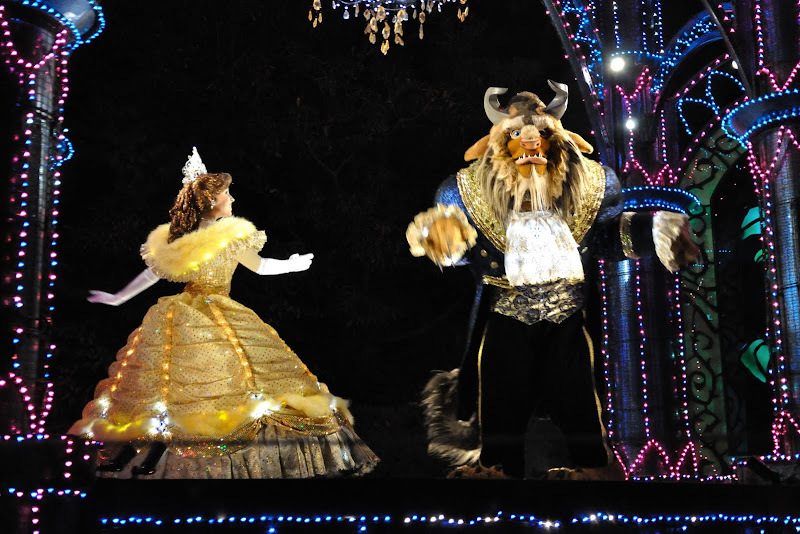 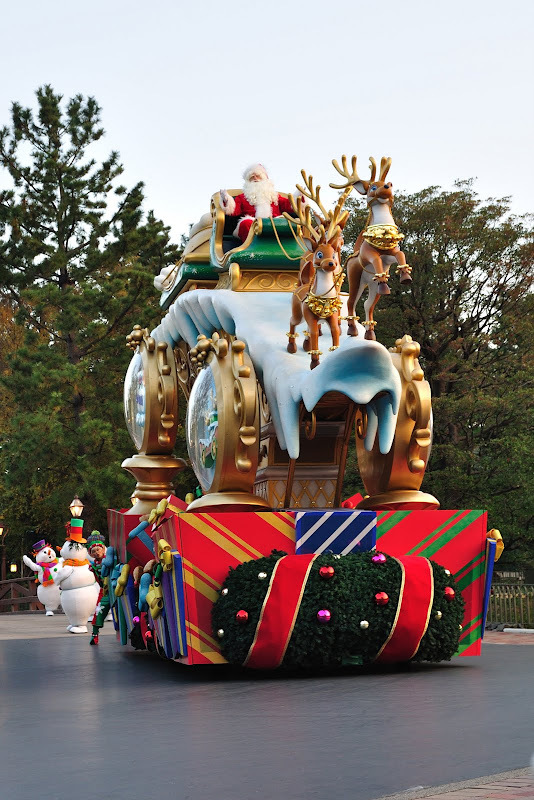 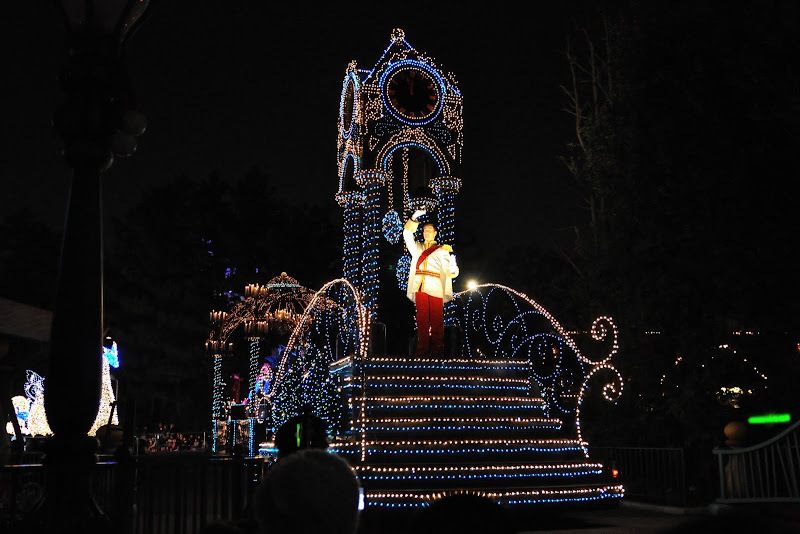 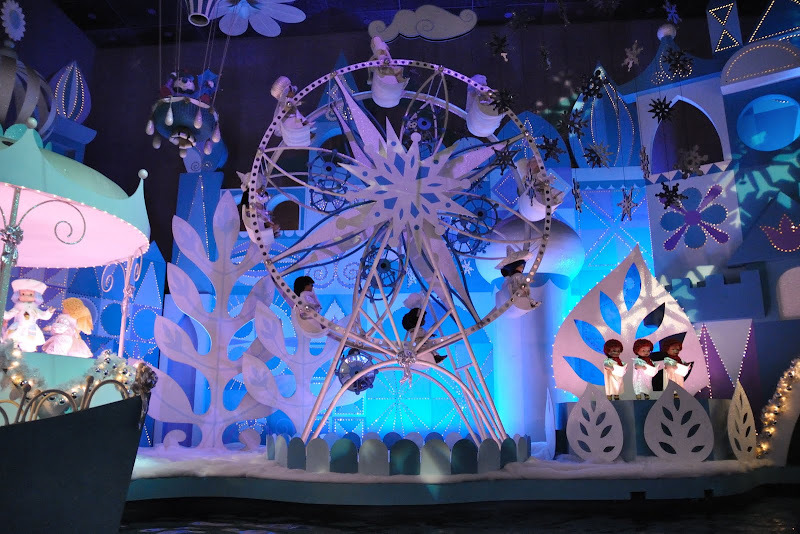 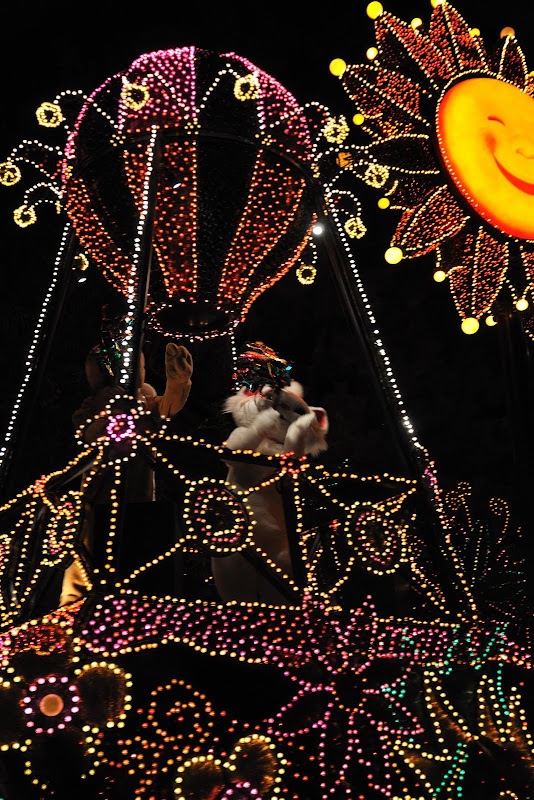 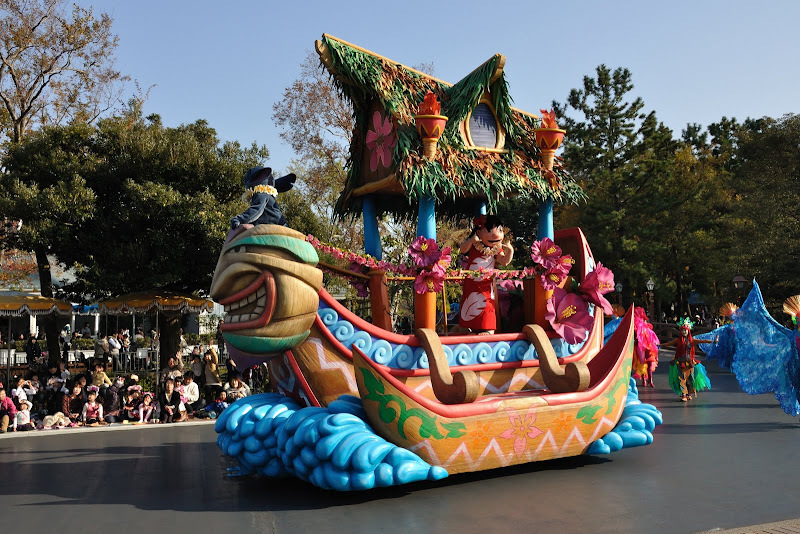 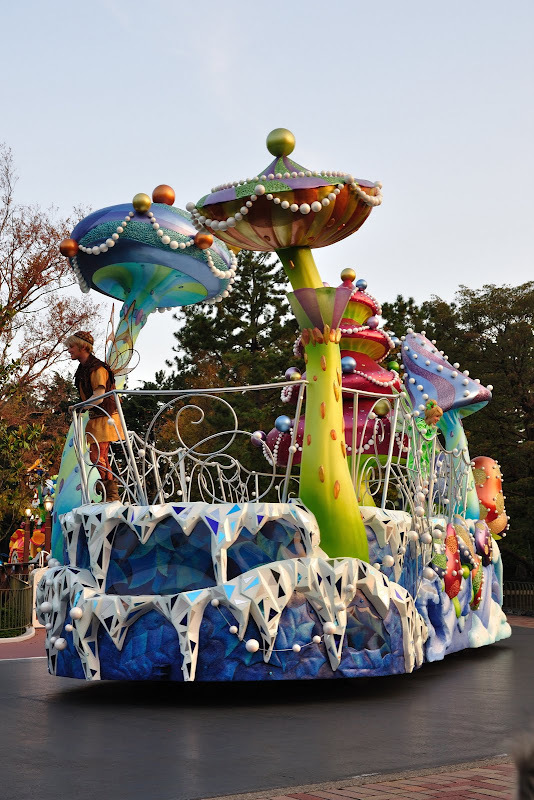 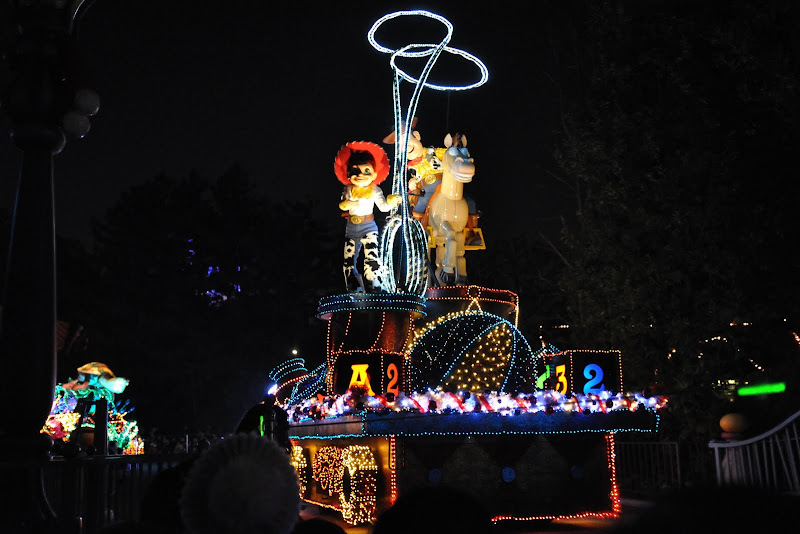 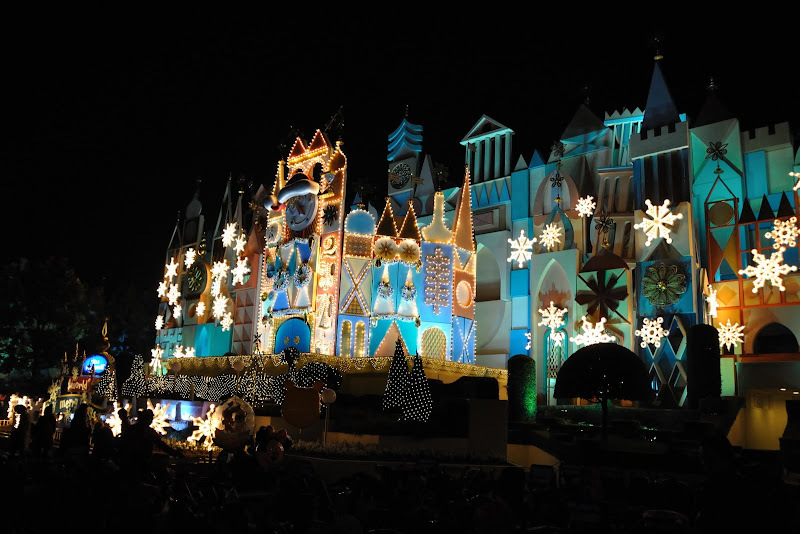 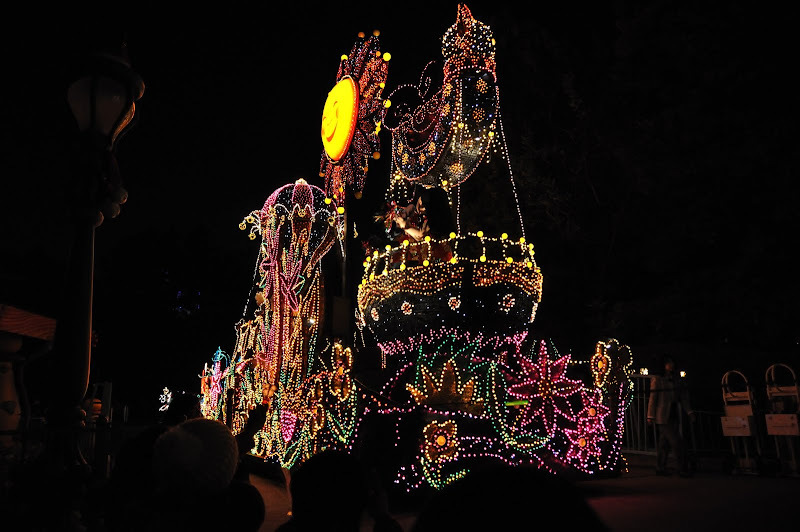 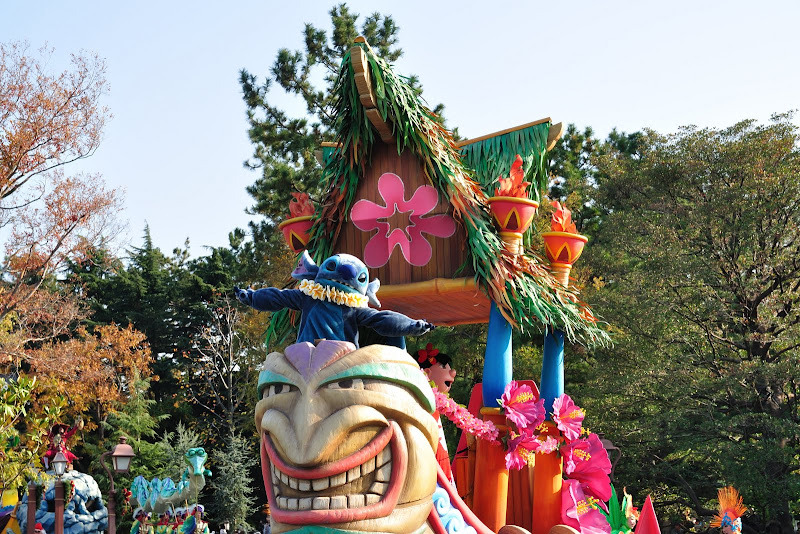 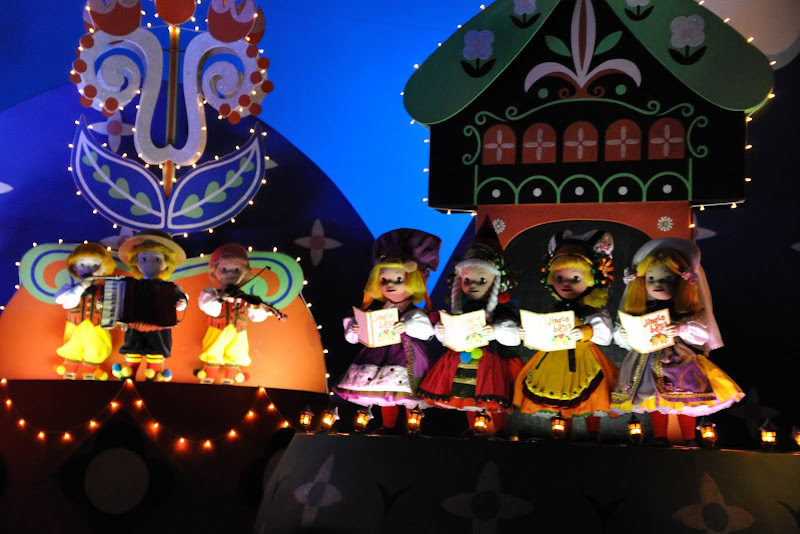 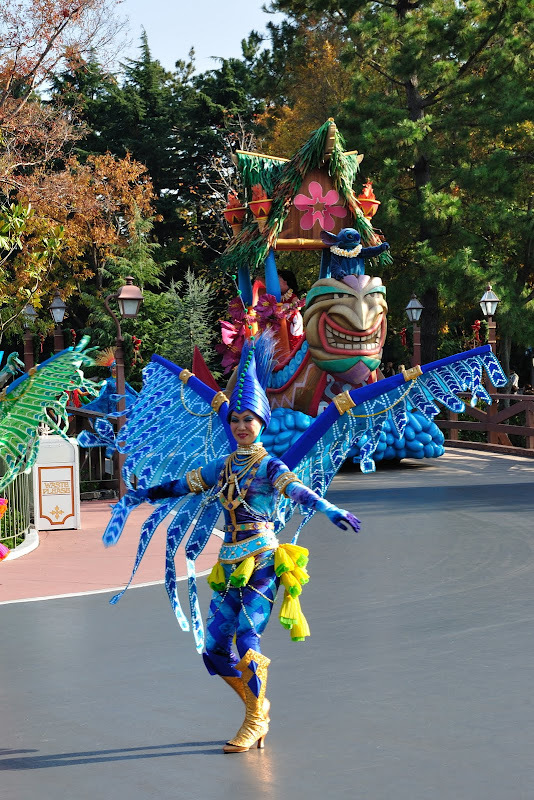 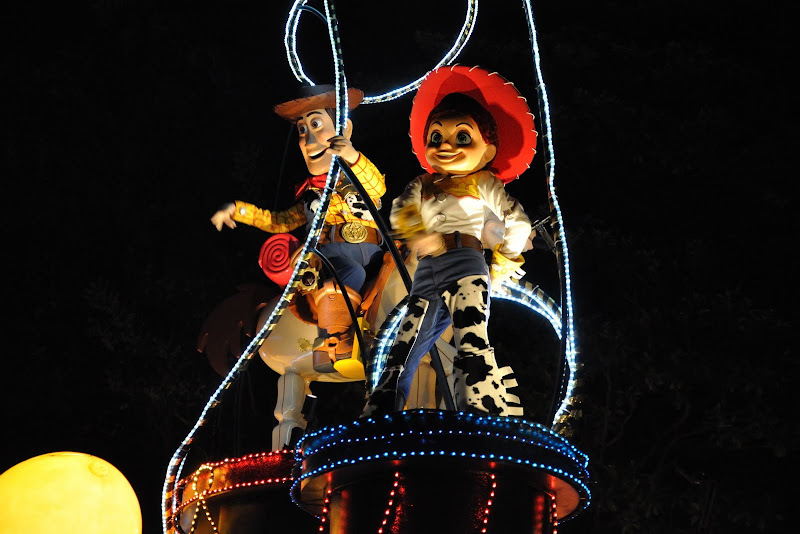 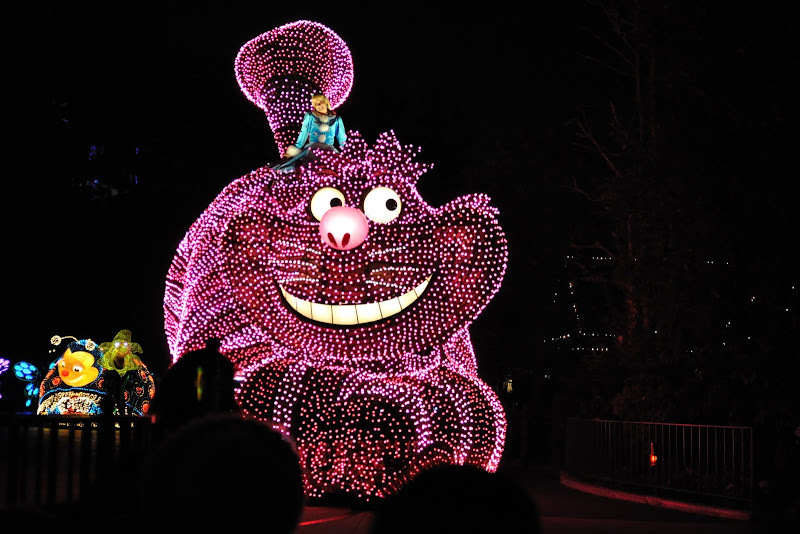 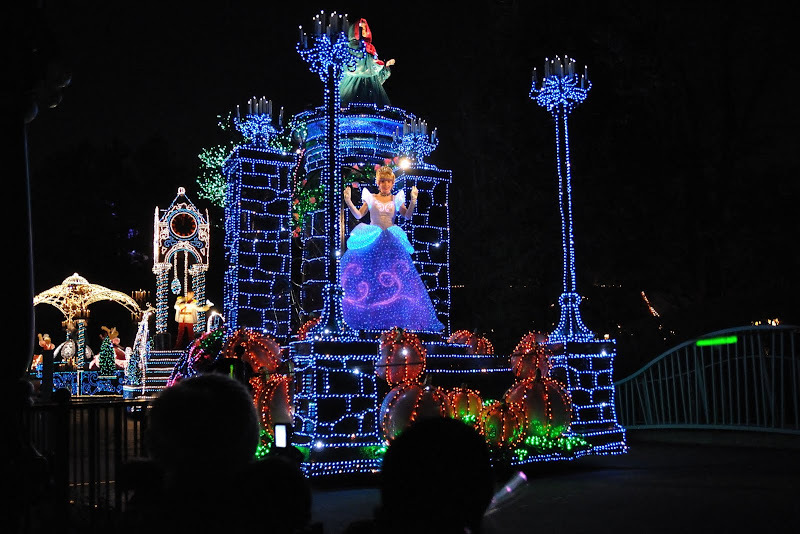 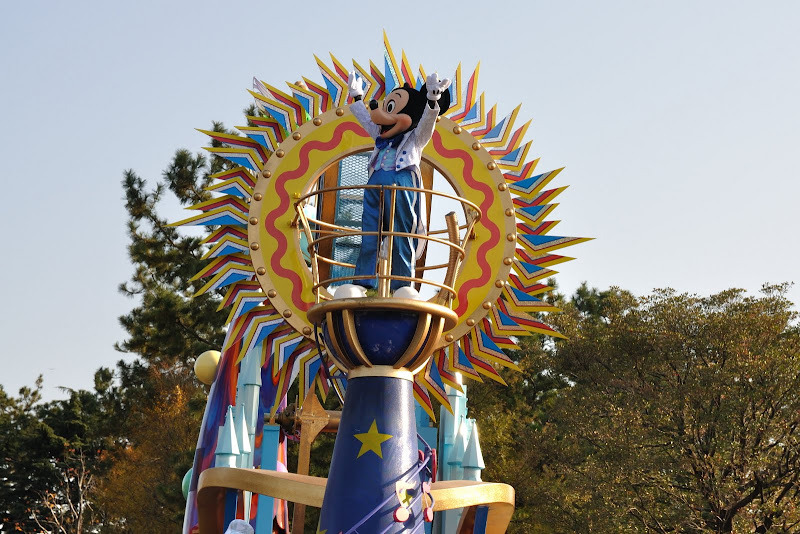 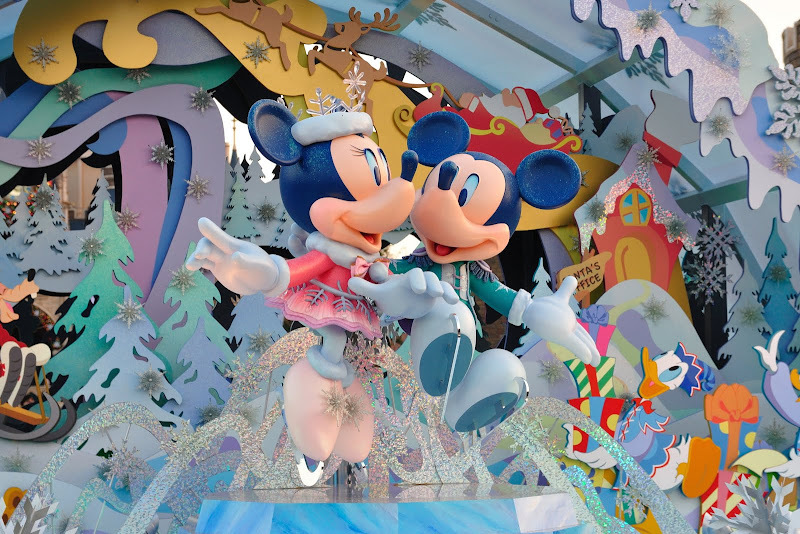 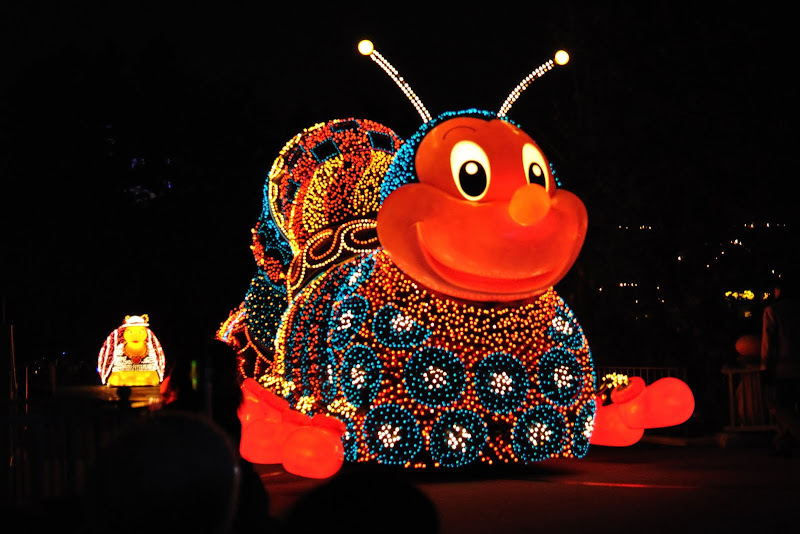 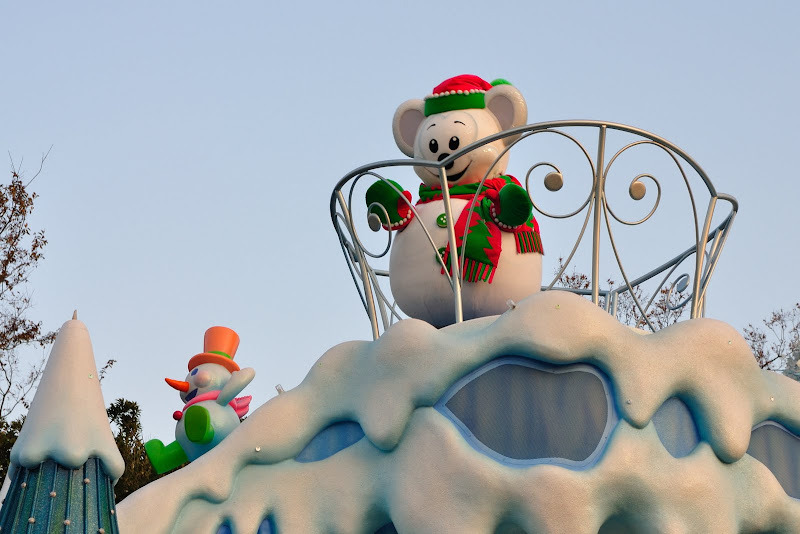 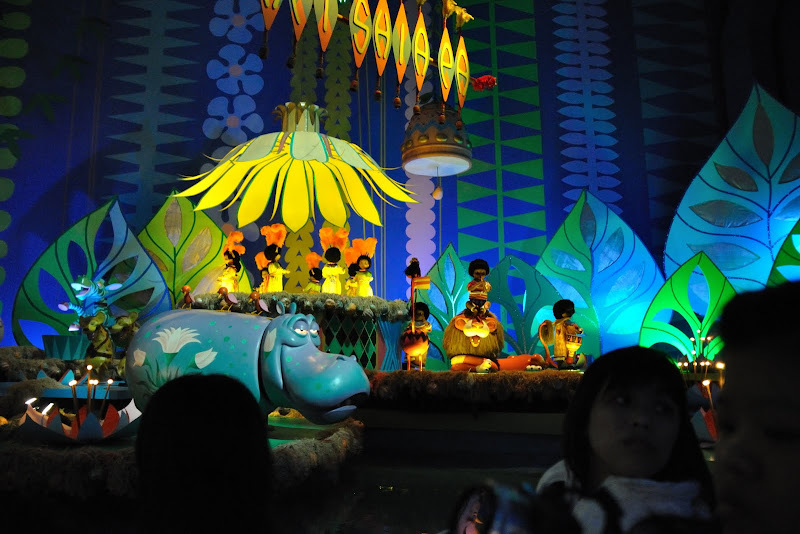 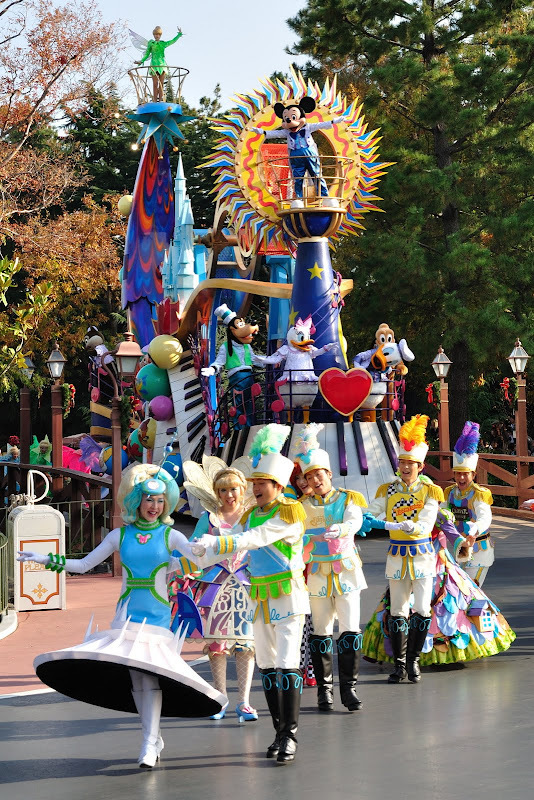 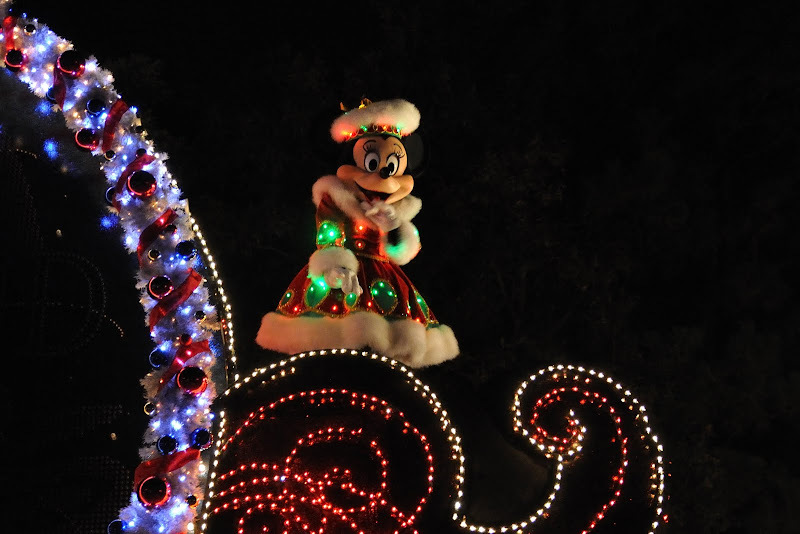 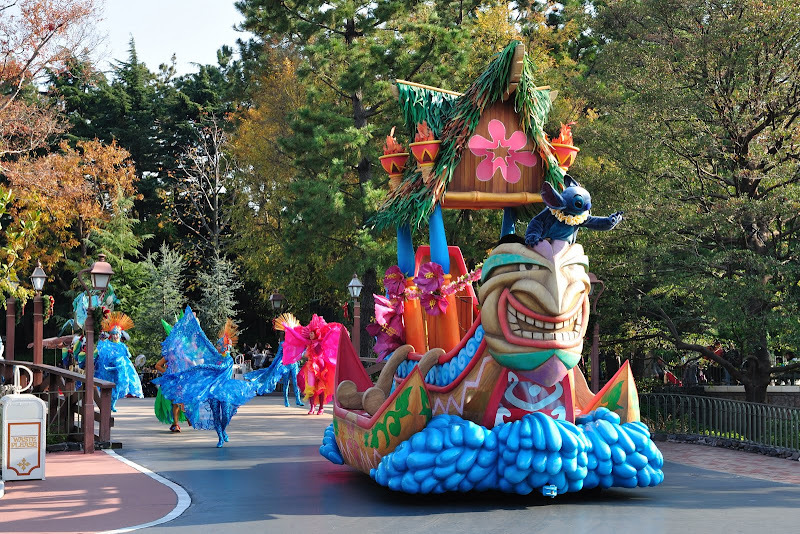 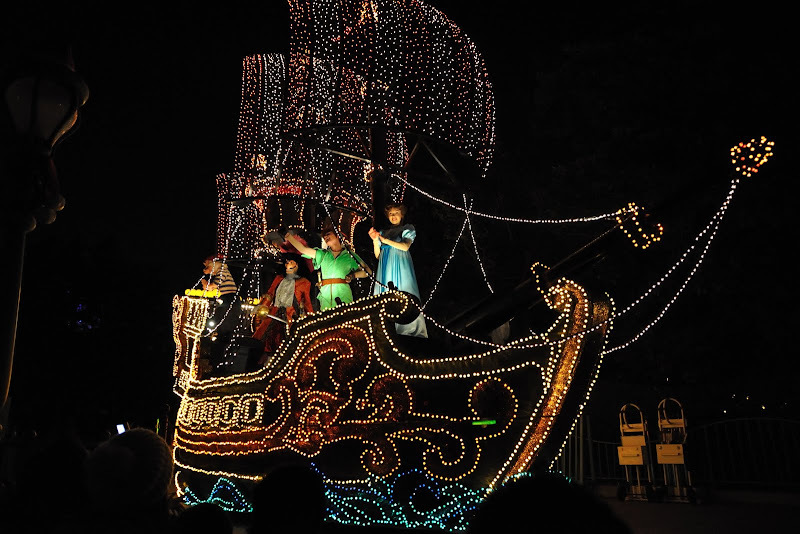 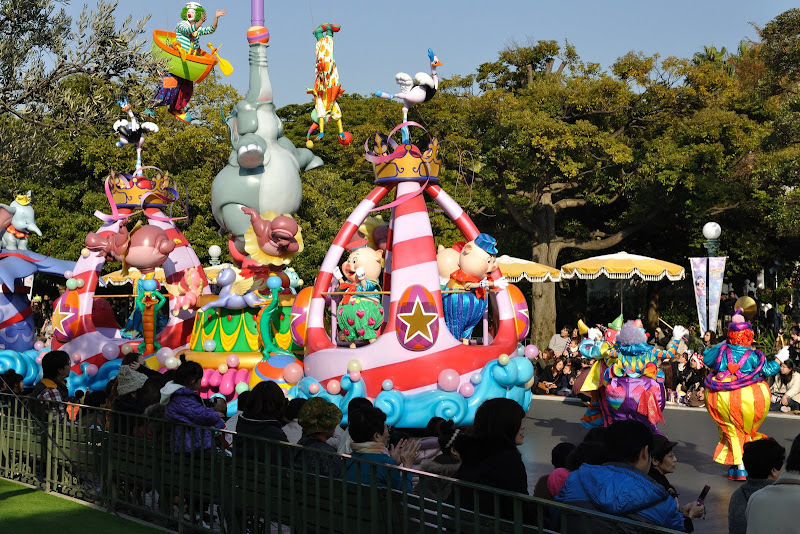 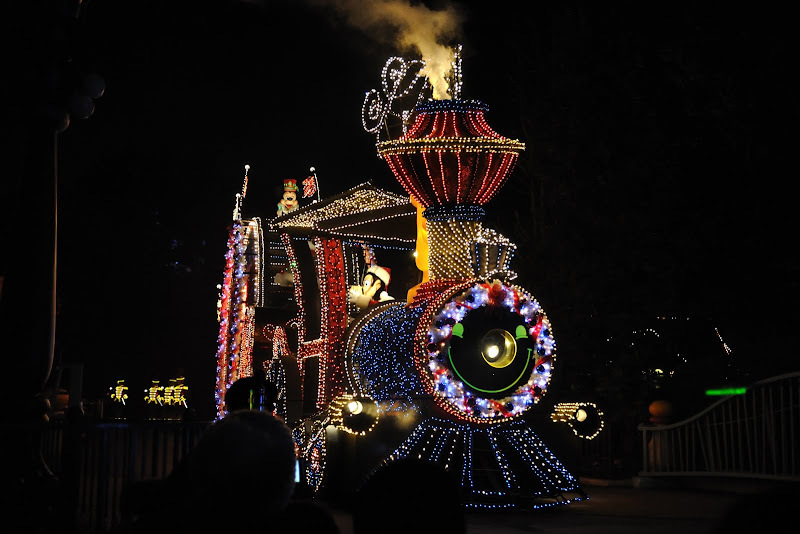 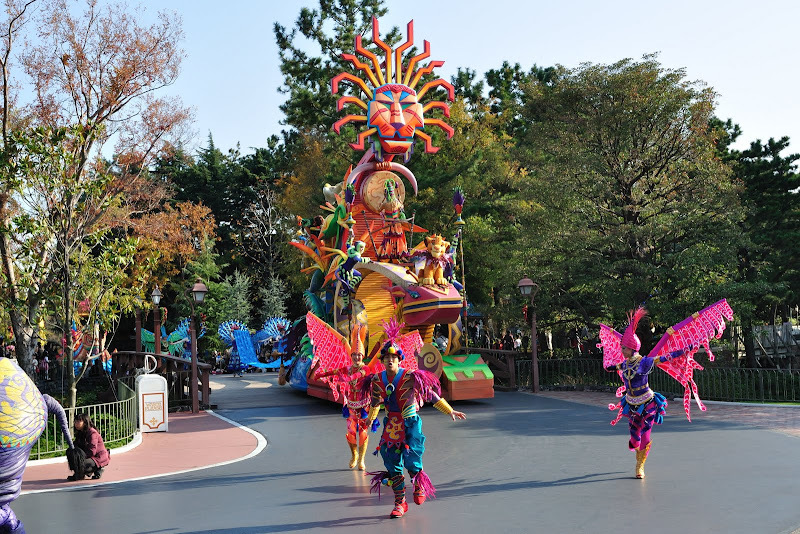 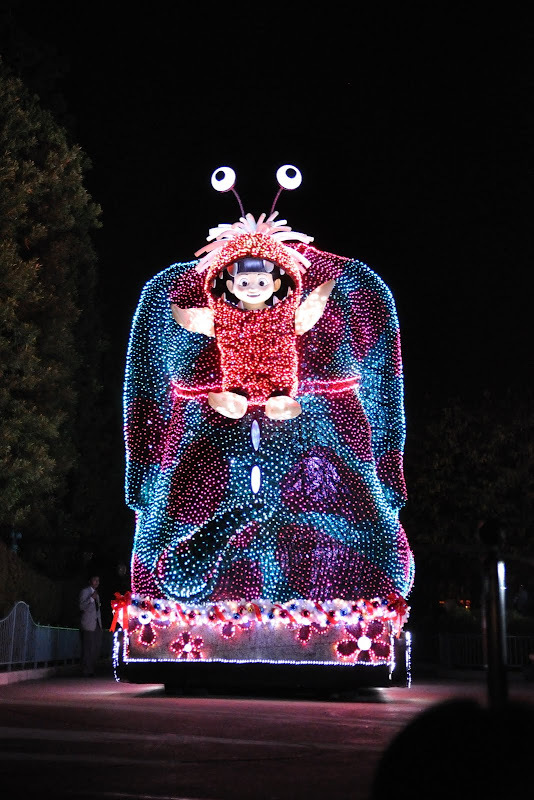 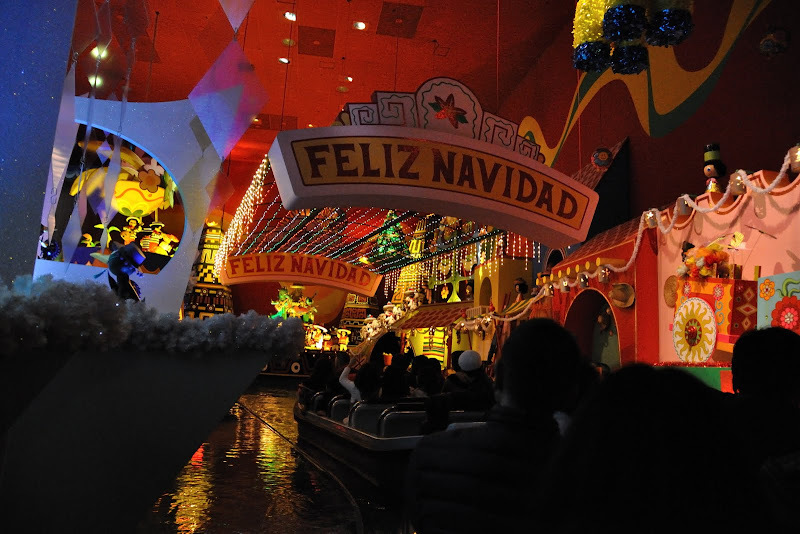 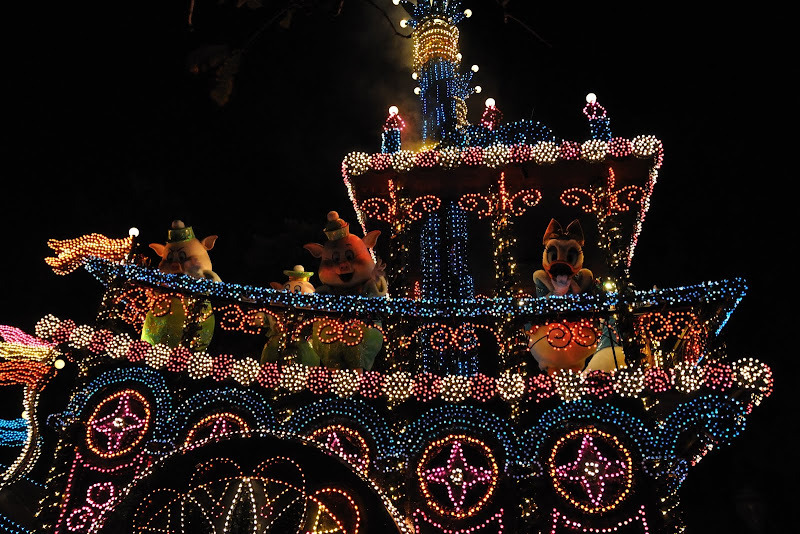 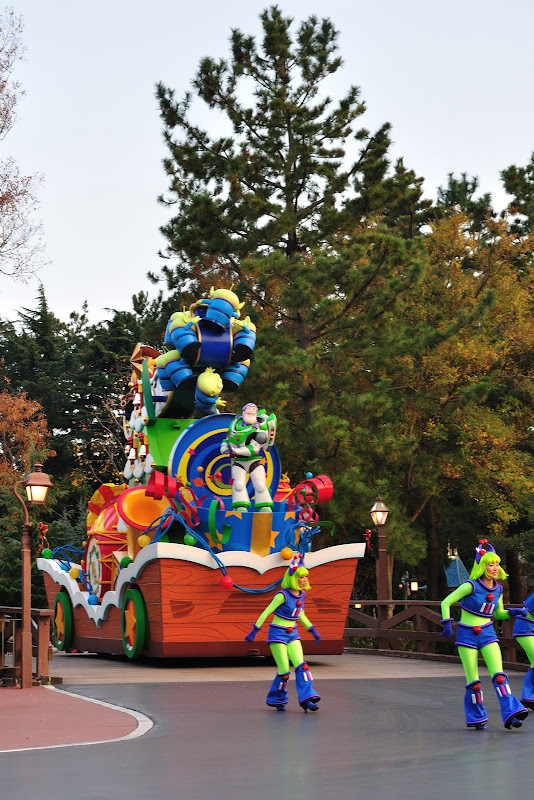 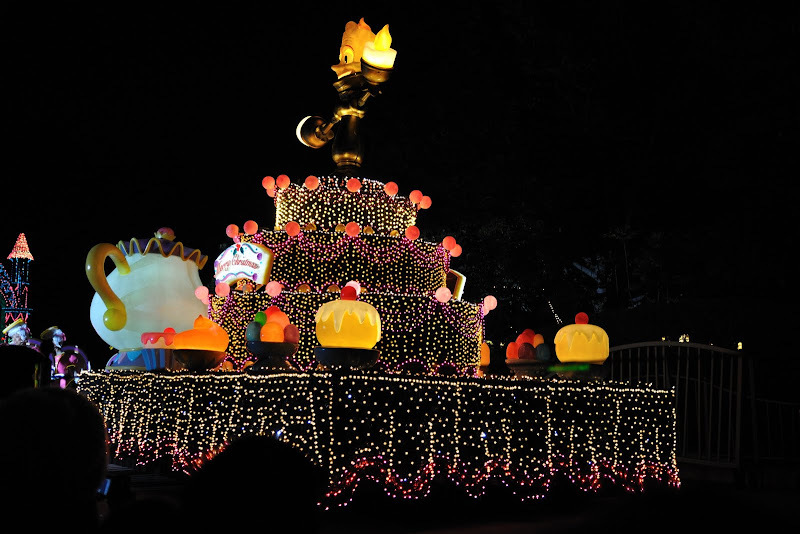 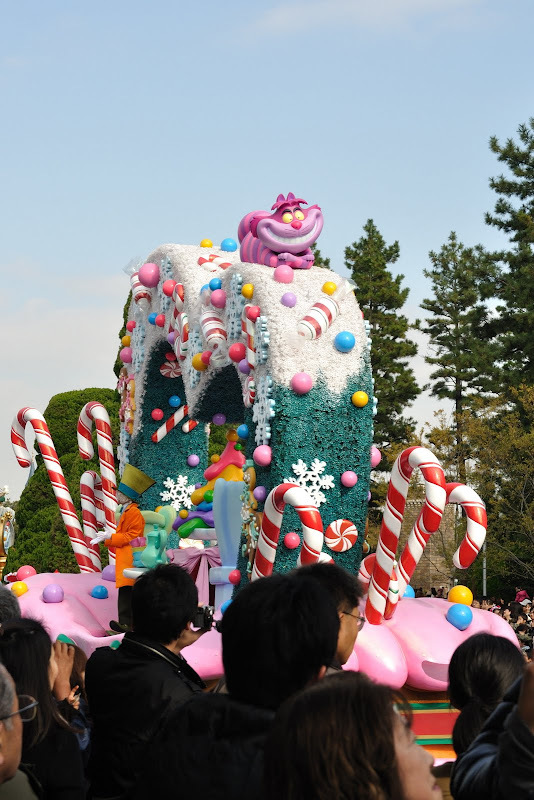 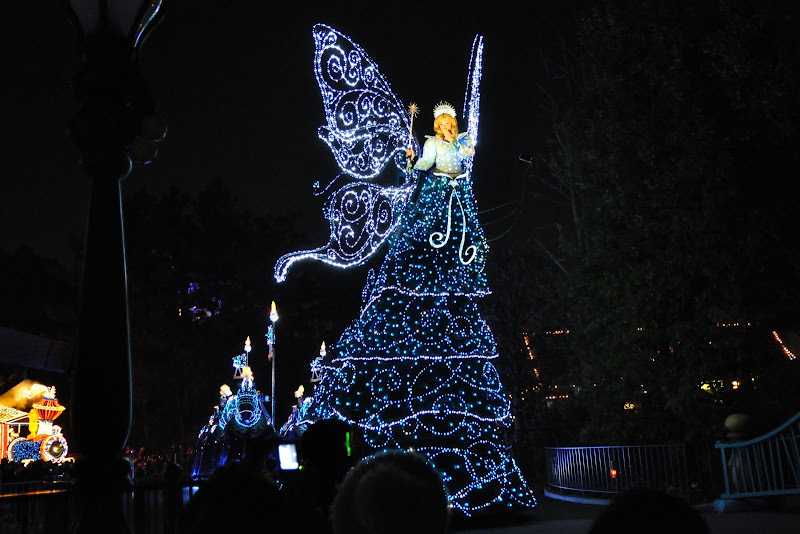 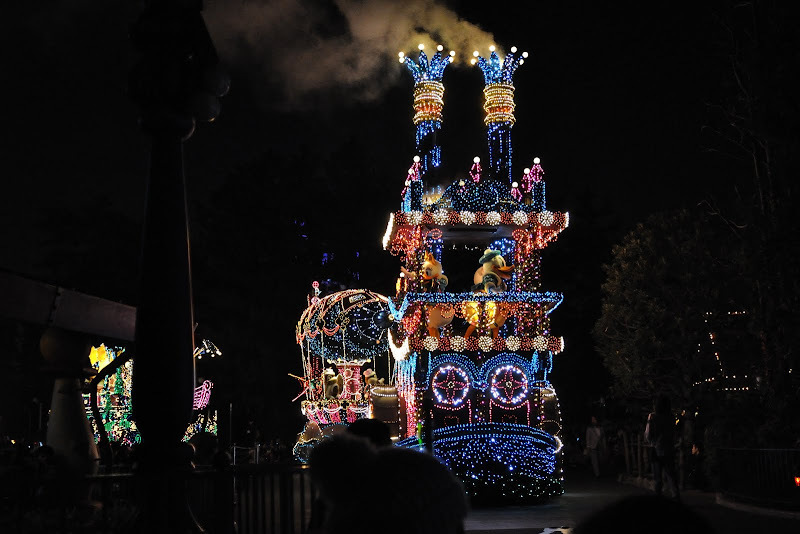 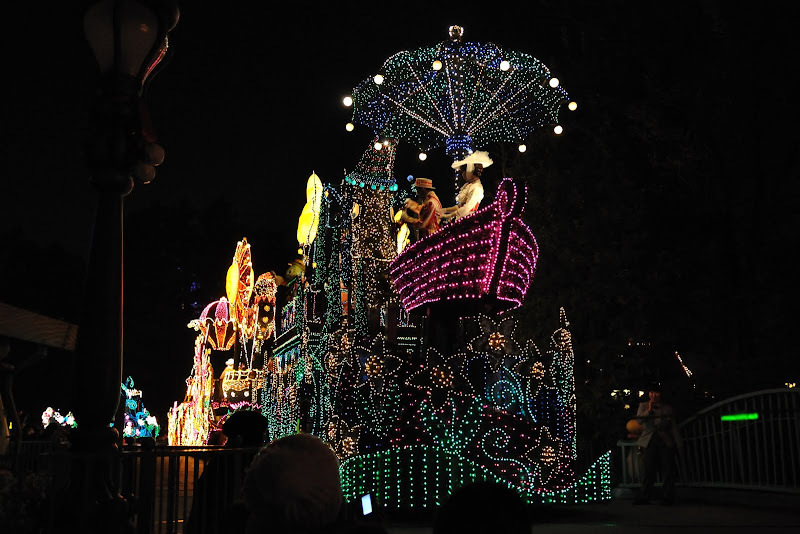 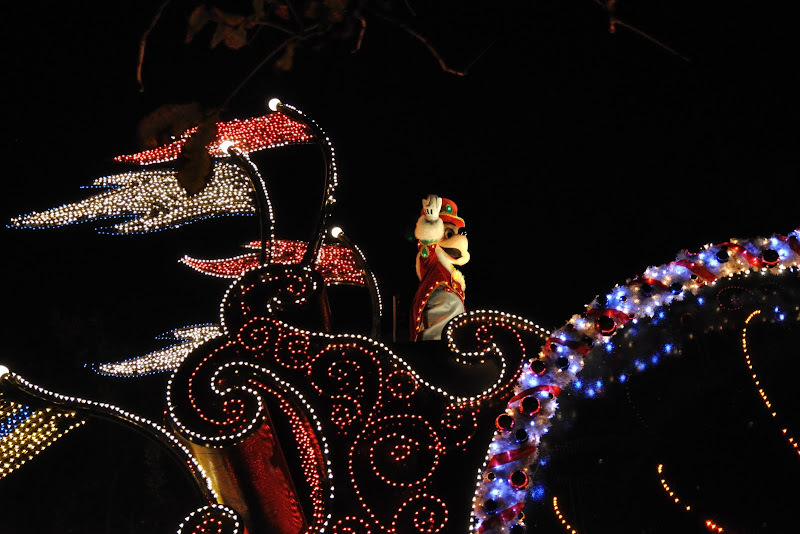 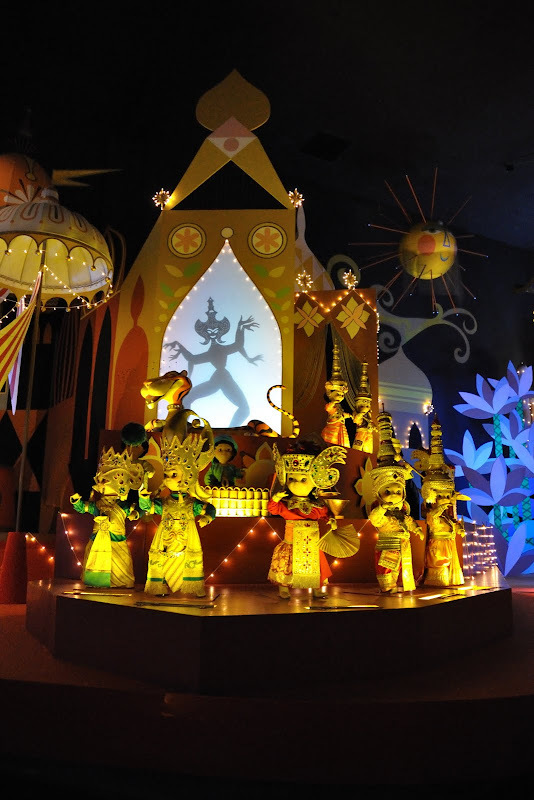 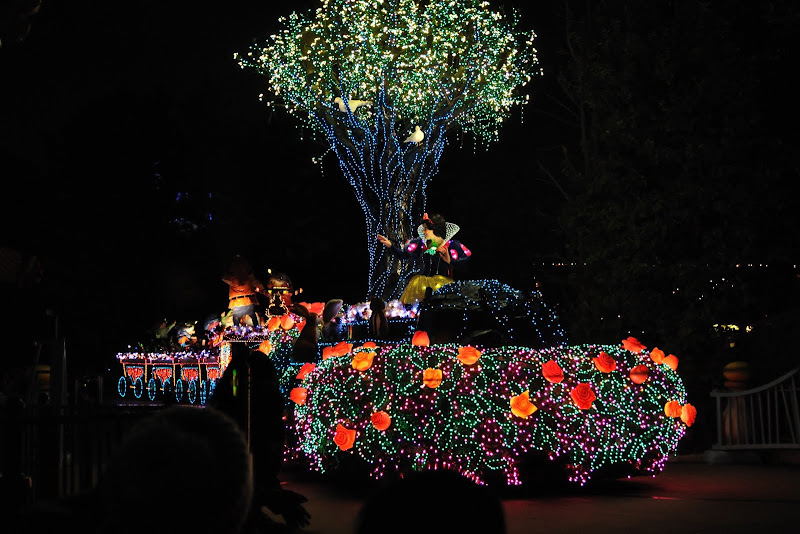 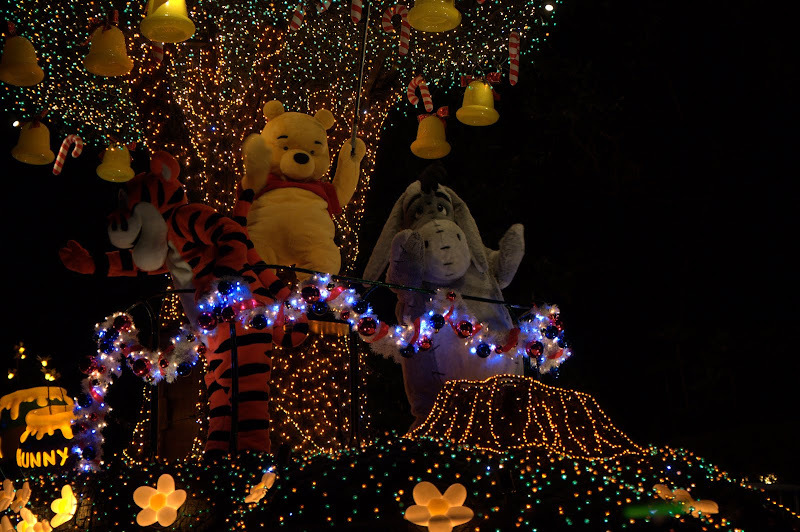 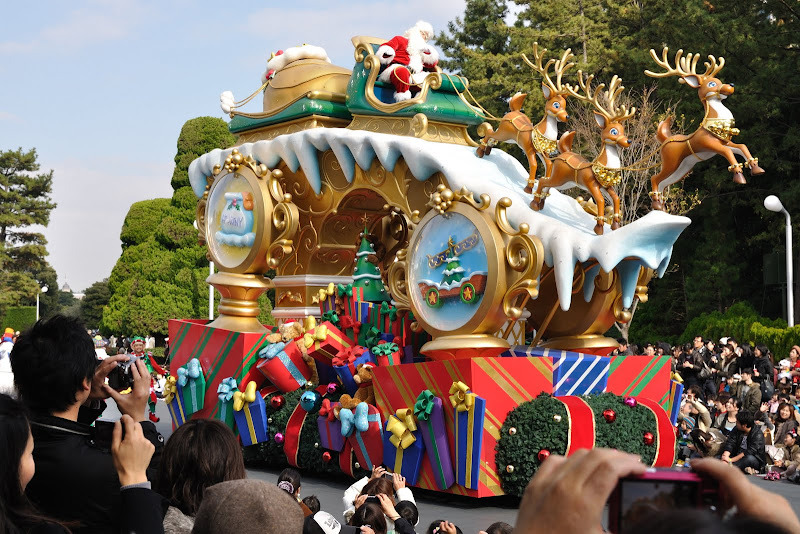 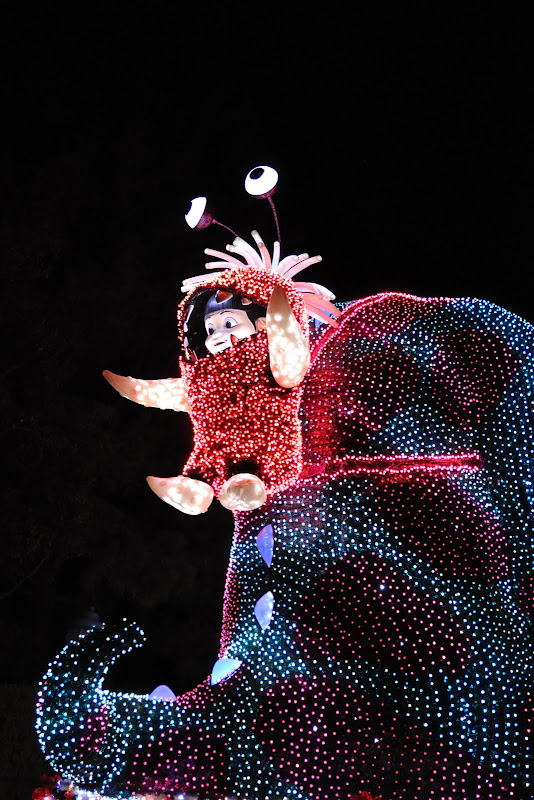 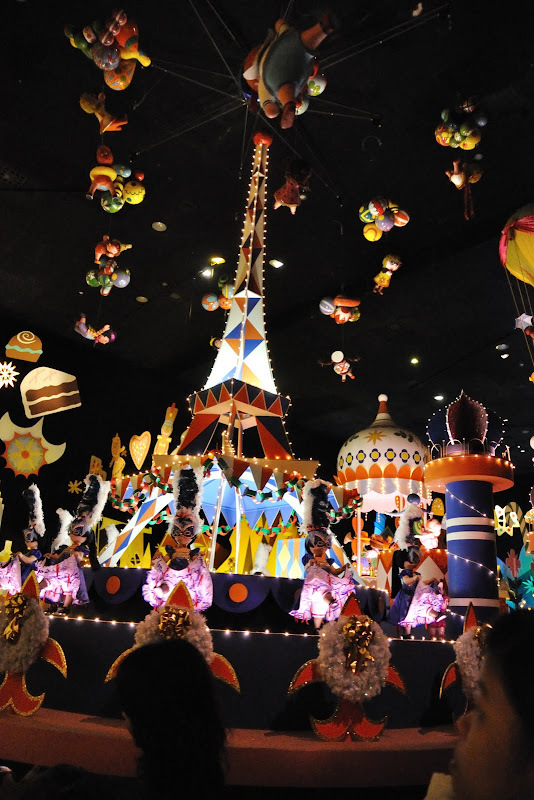 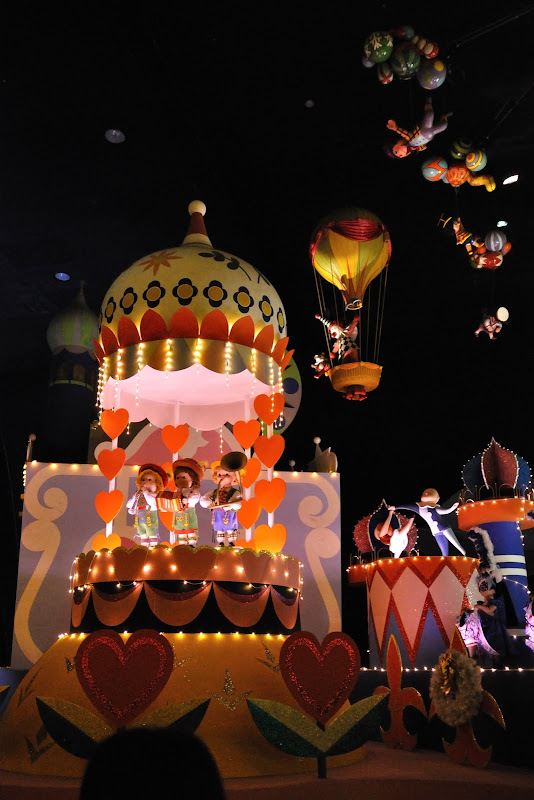 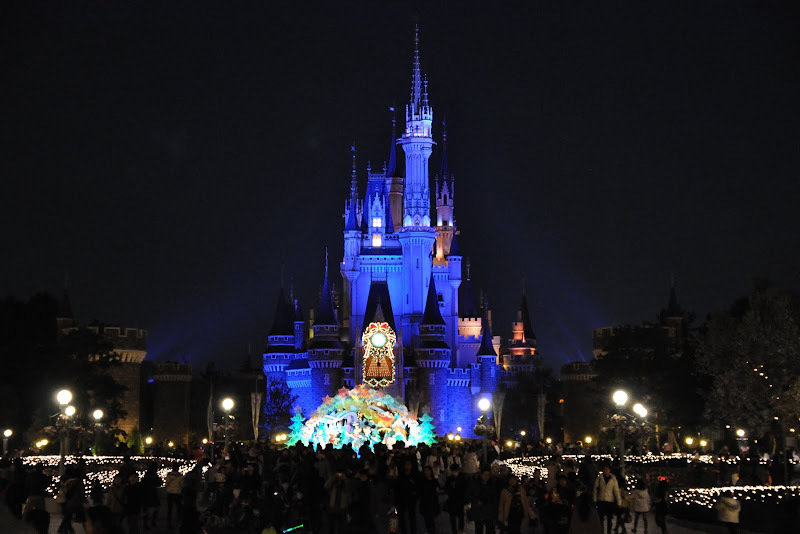 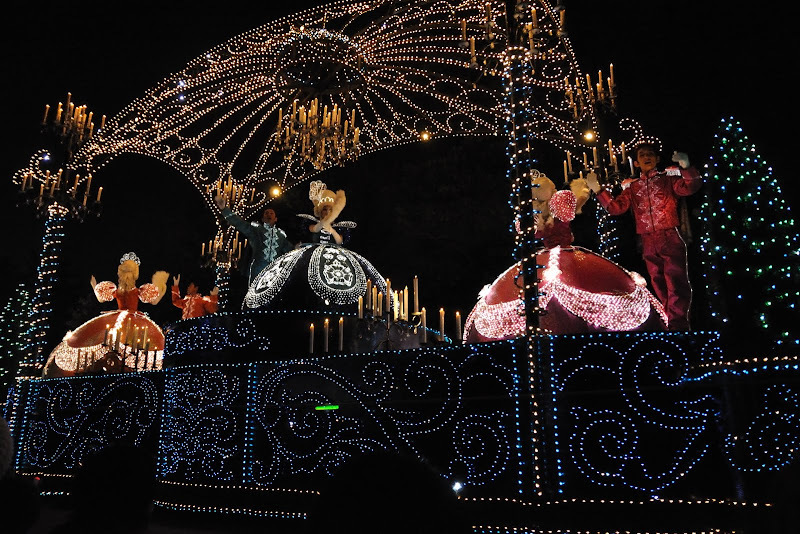 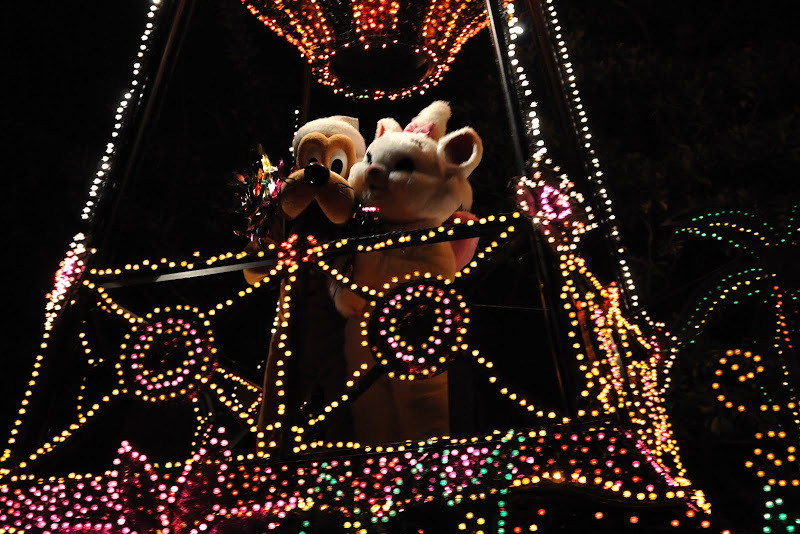 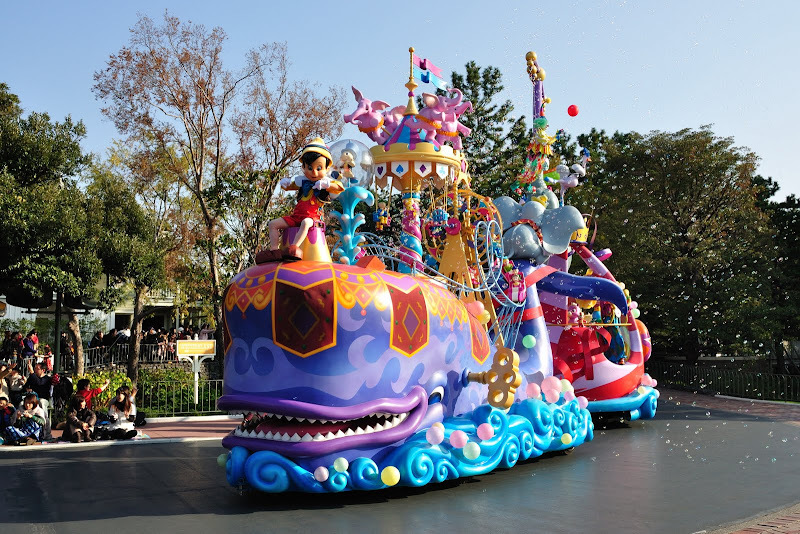 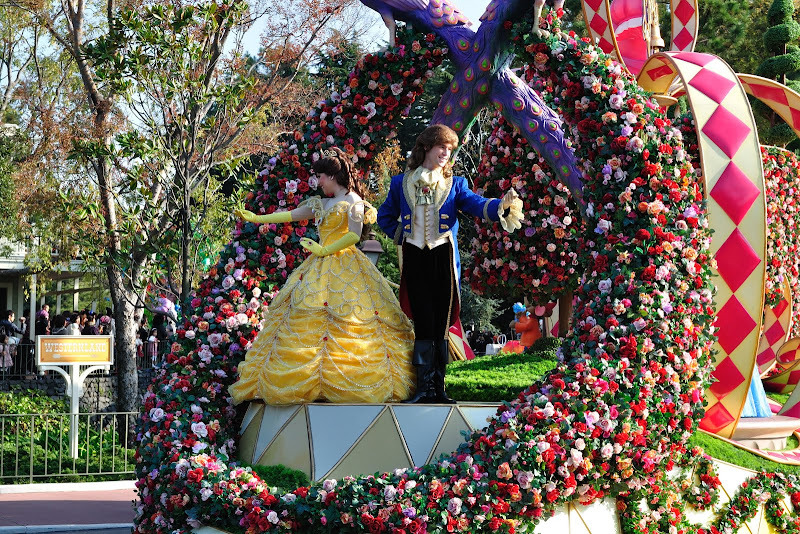 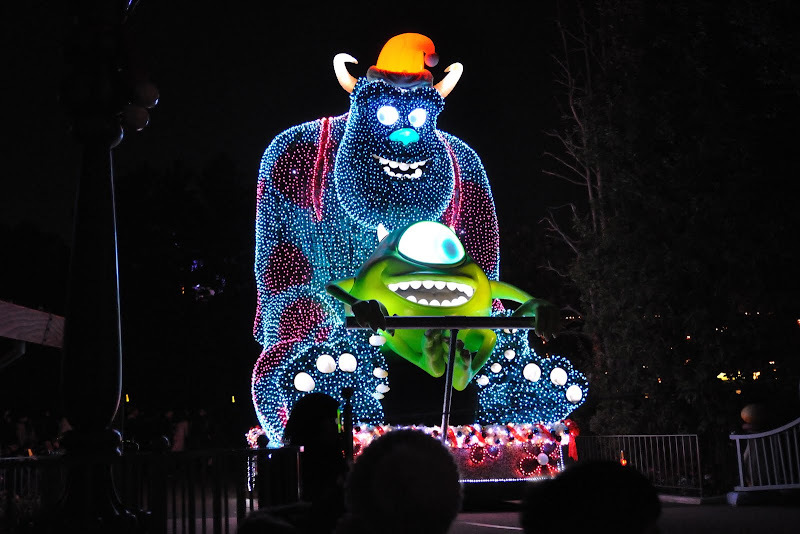 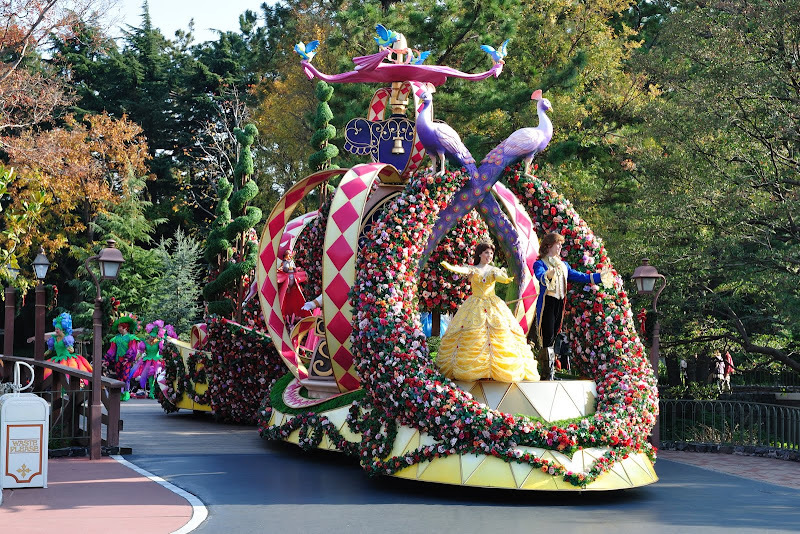 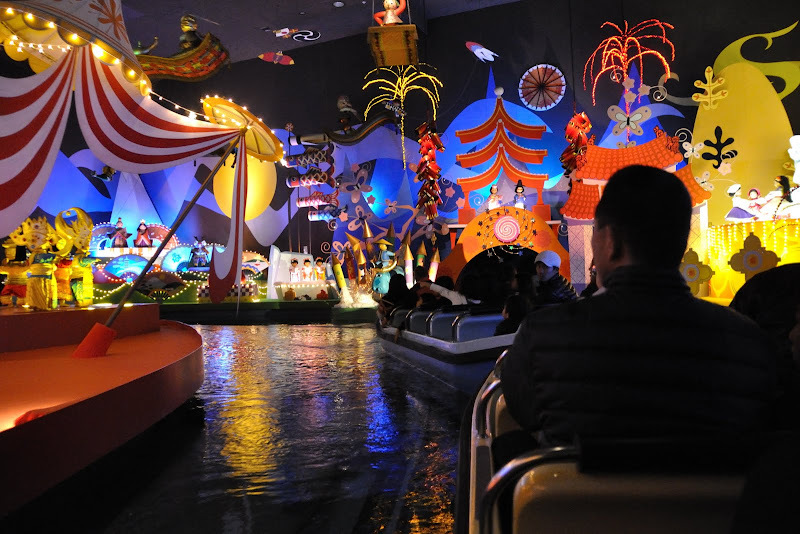 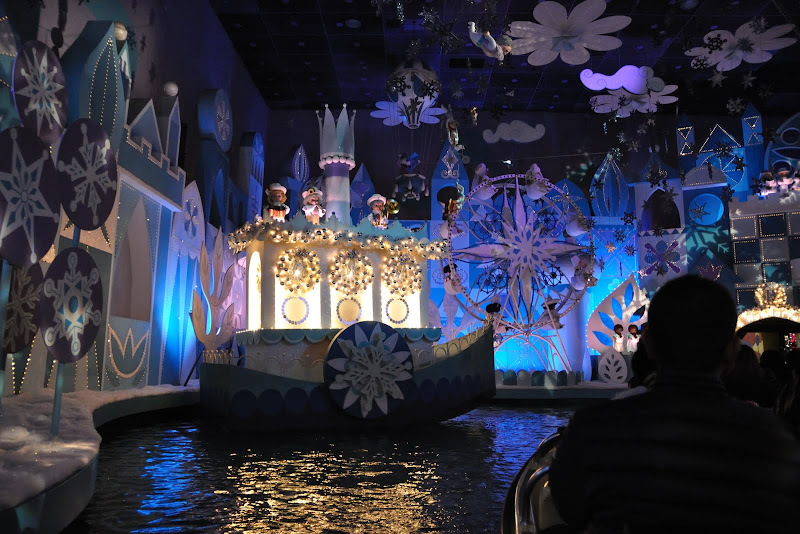 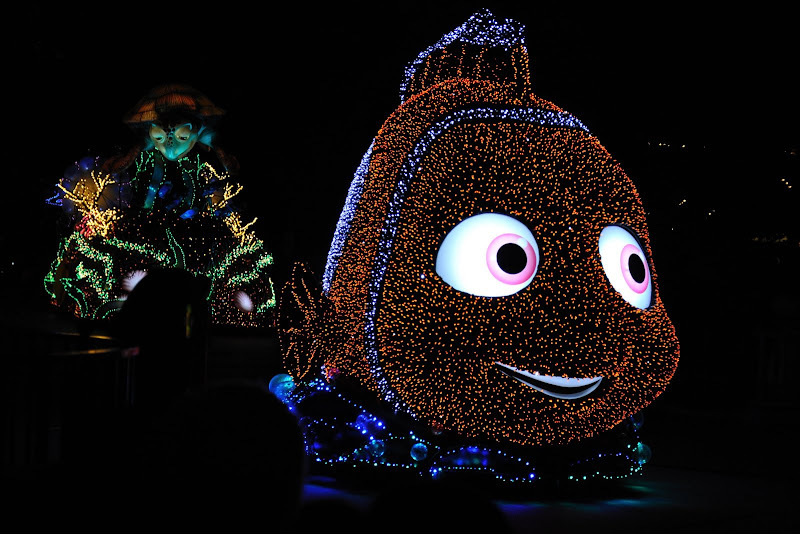 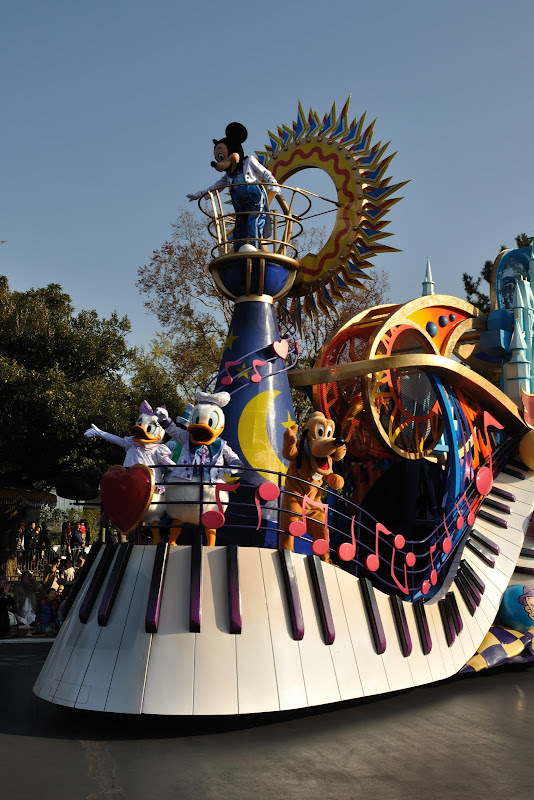 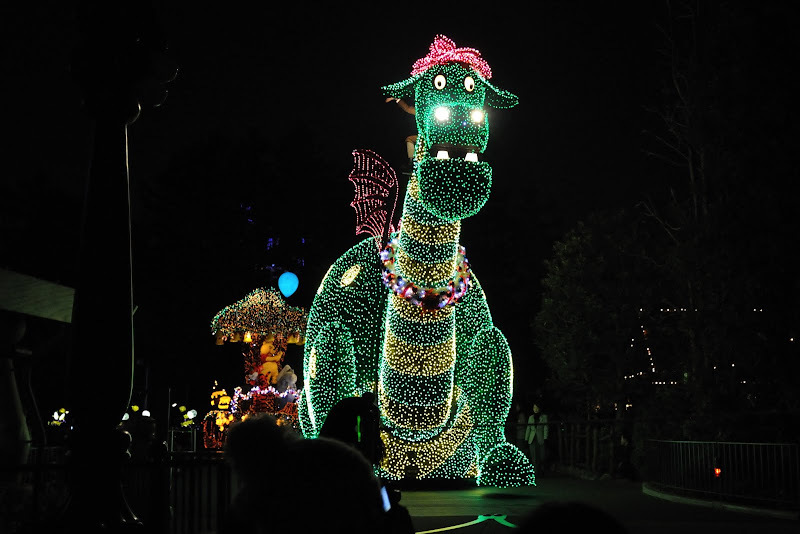 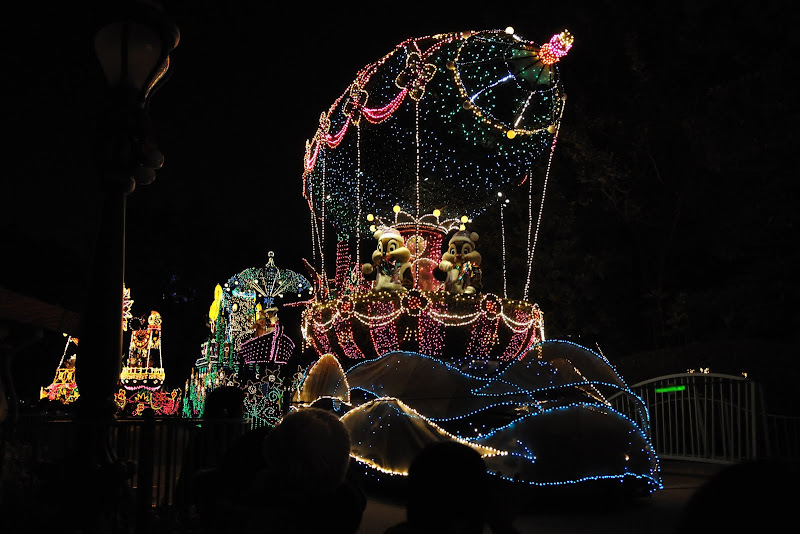 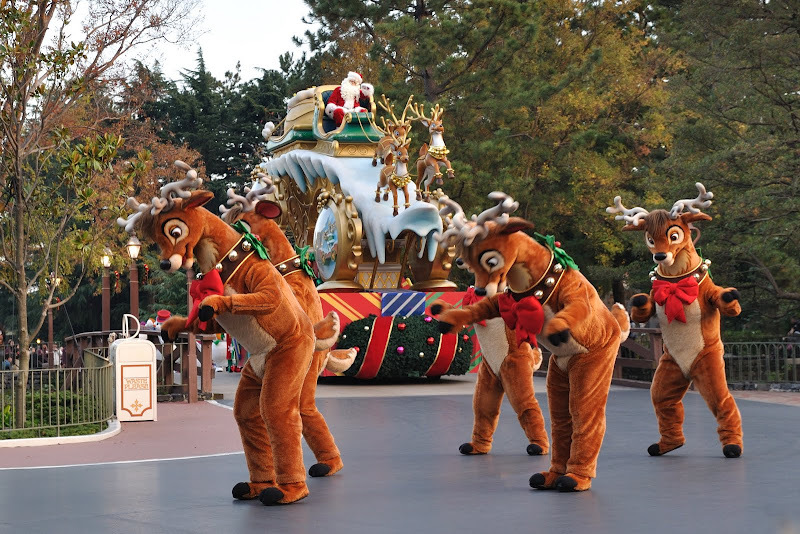 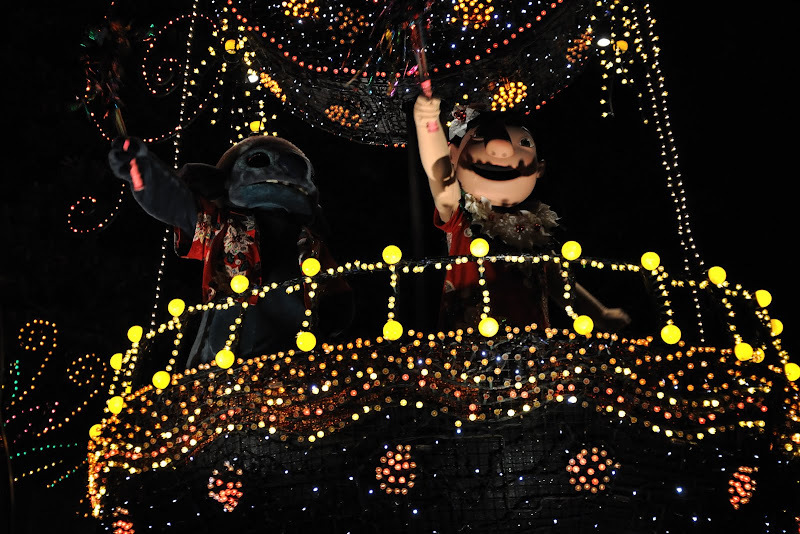 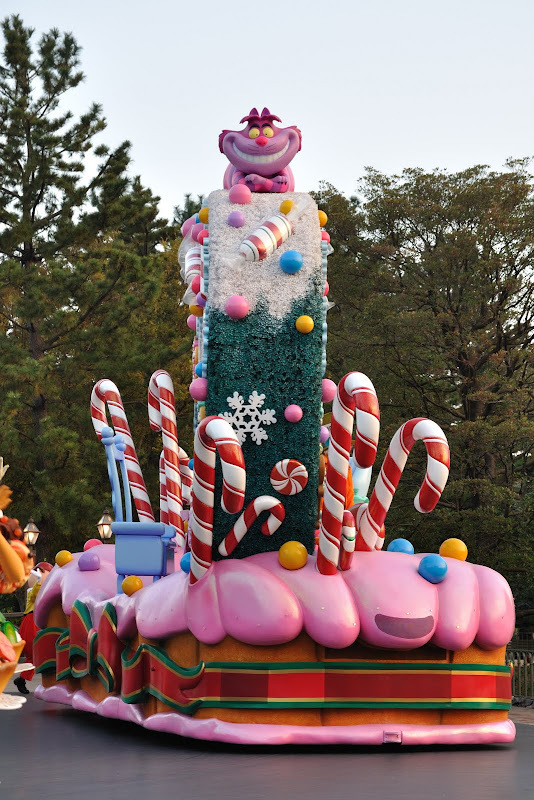 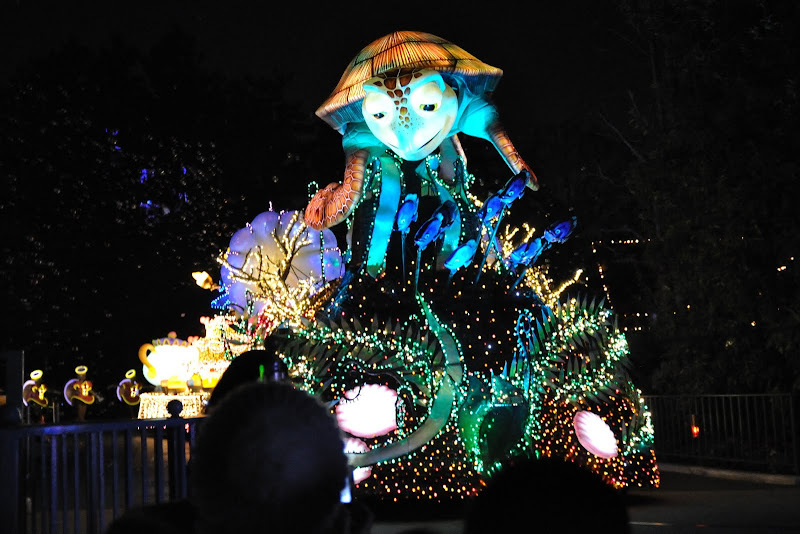 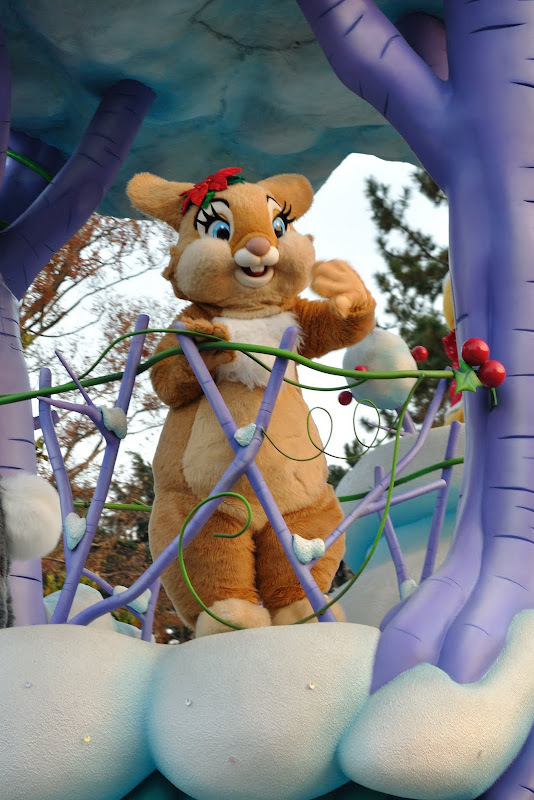 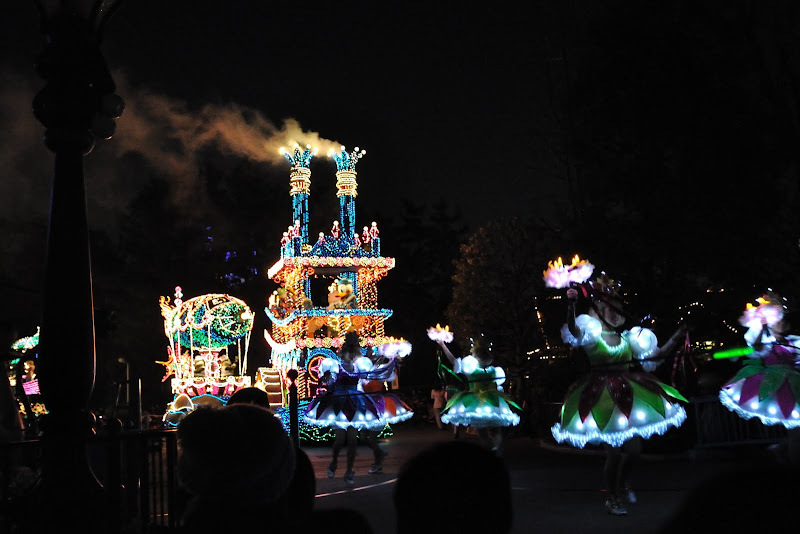 Tokyo Disneyland Electrical Parade Dreamlights - claimed to have used more than a million lights! 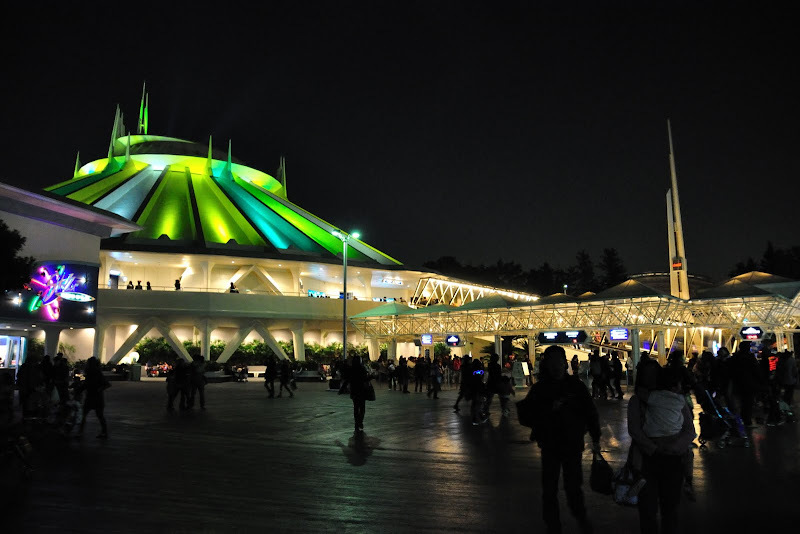 After the parade, took Star Tours simulator ride (no queue at all), followed by the Captain EO's 3D movie. 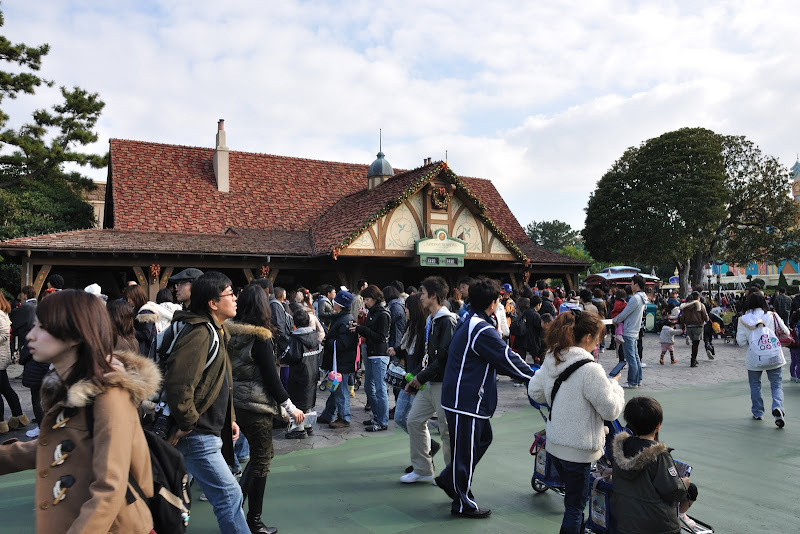 Apparrently, all the older rides are not so popular so the queues are shorter or no queue at all! 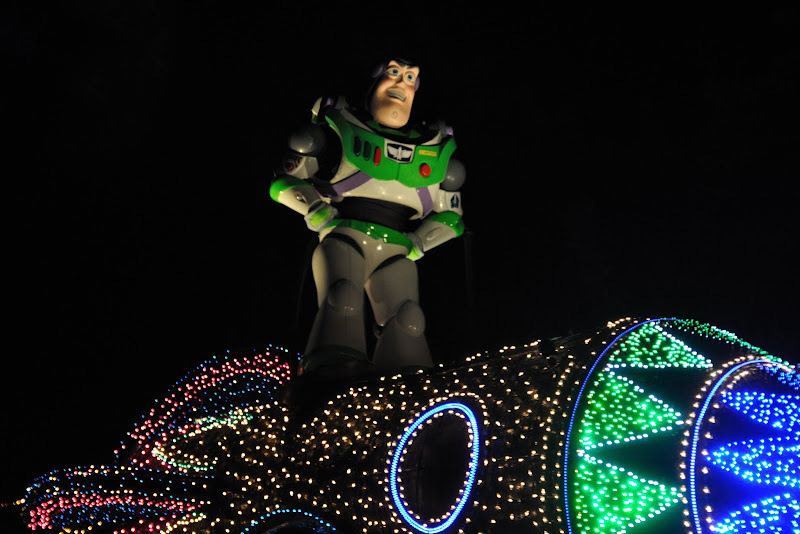 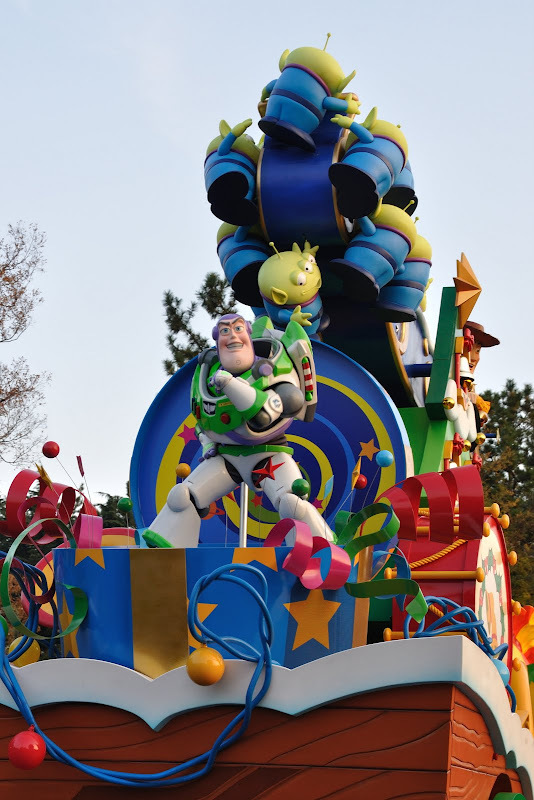 After the fireworks, it was Buzz Lightyear's Astro Blasters. 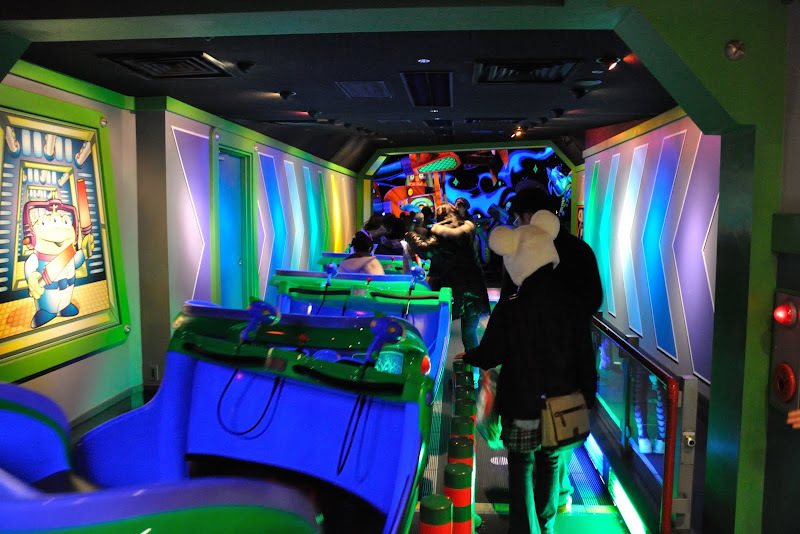 During the ride, we can use the gun to shoot at various targets and gain points. 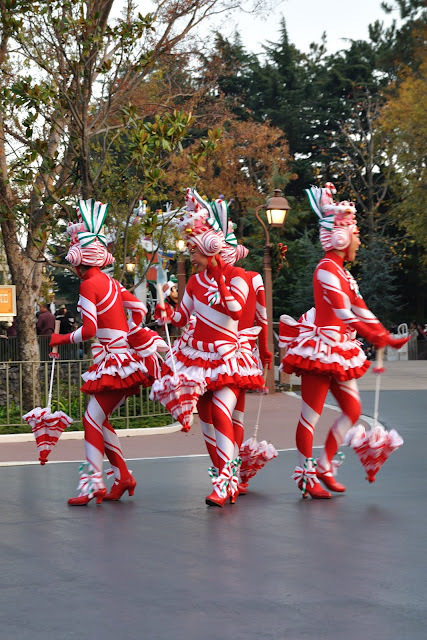 Pretty interesting. 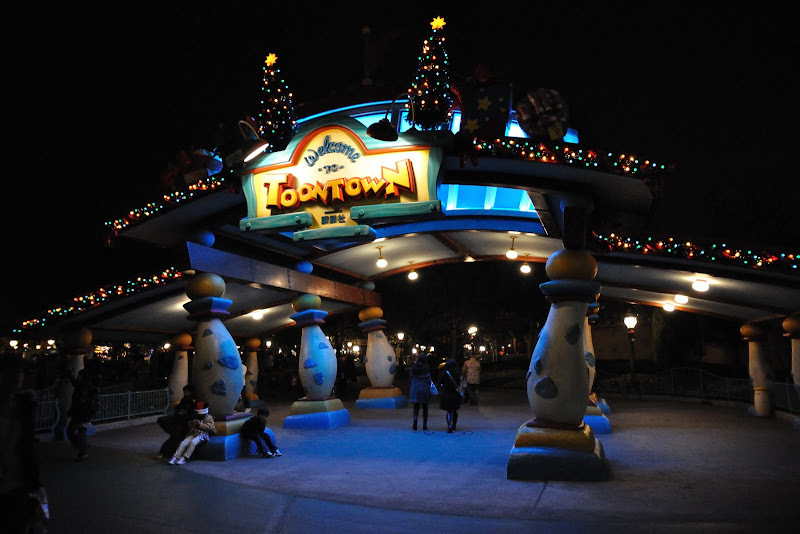 After the ride, it was almost 10pm. 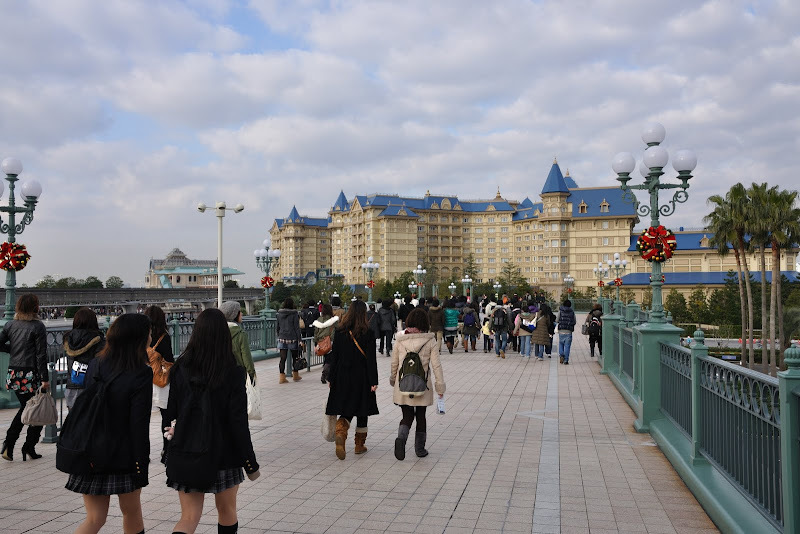 En route to entrance. 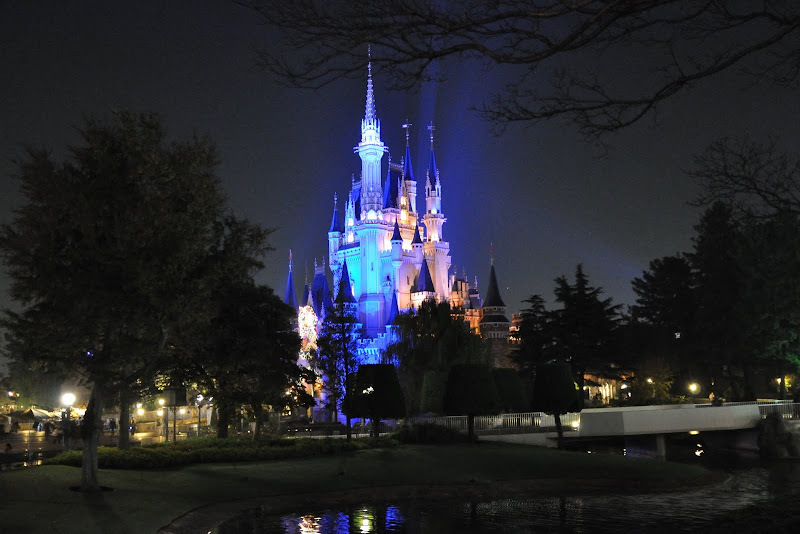 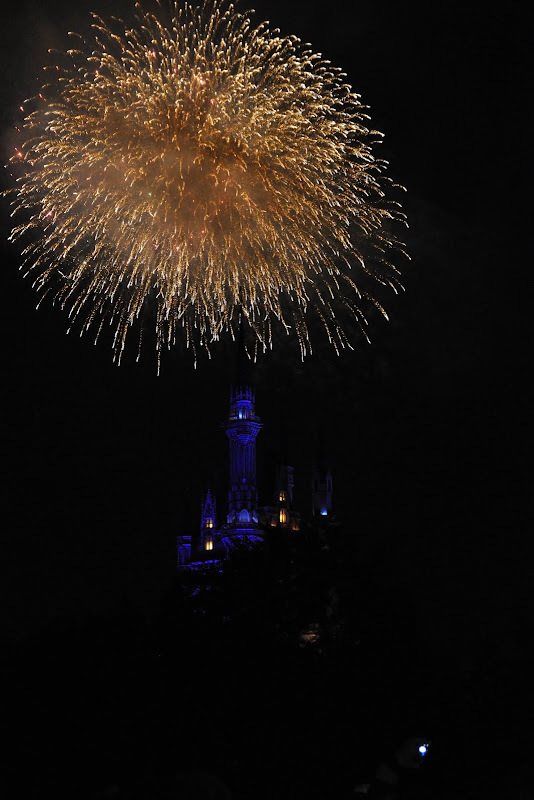 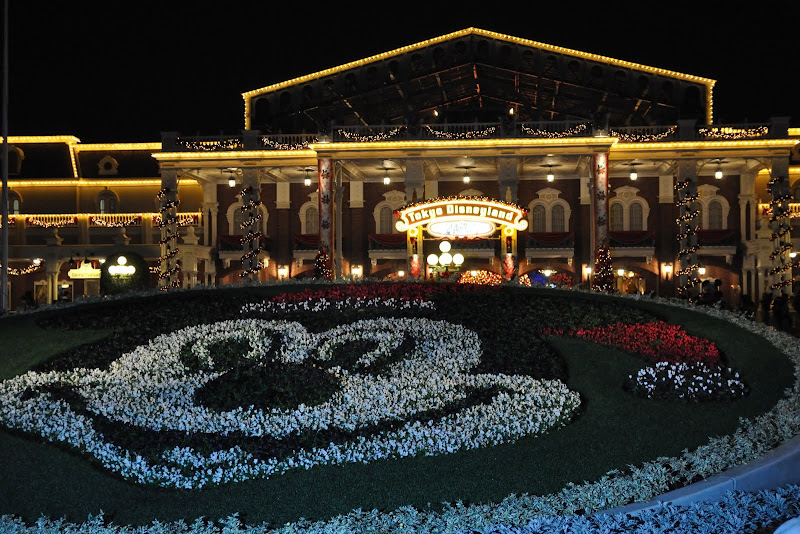 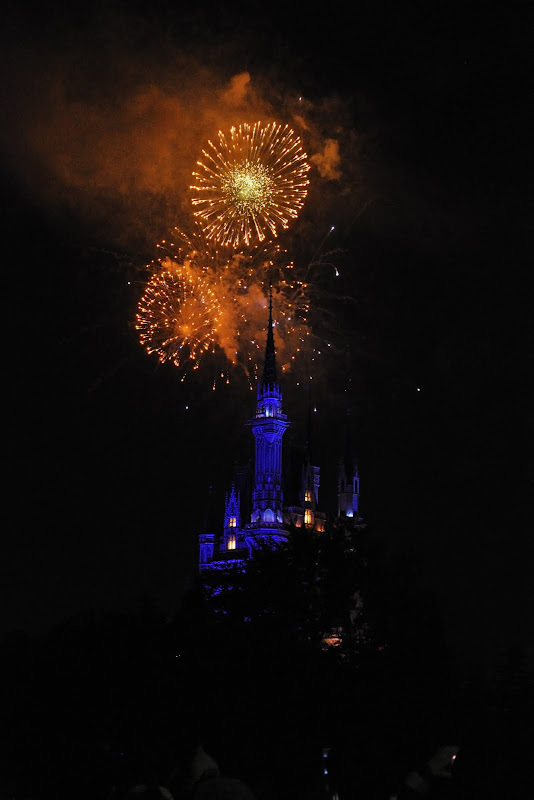 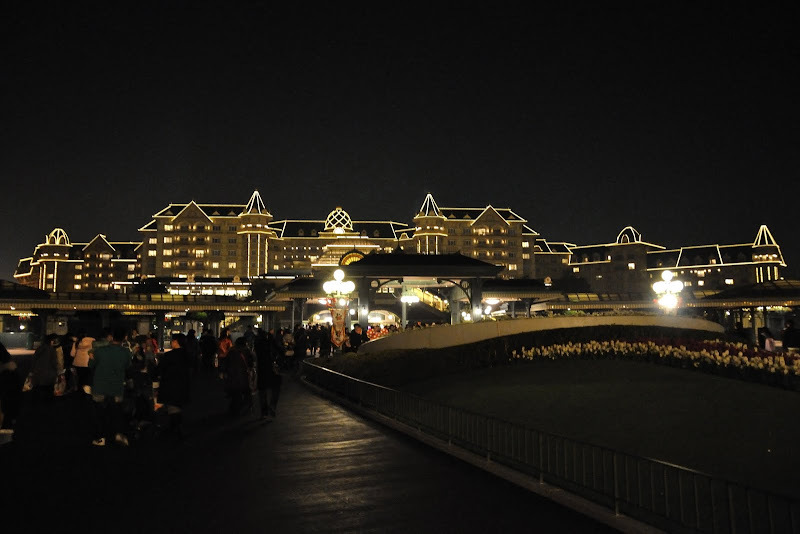 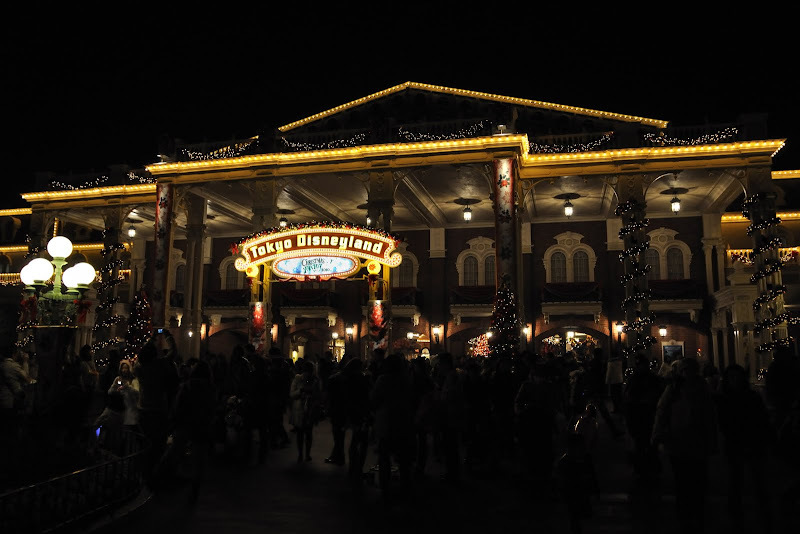 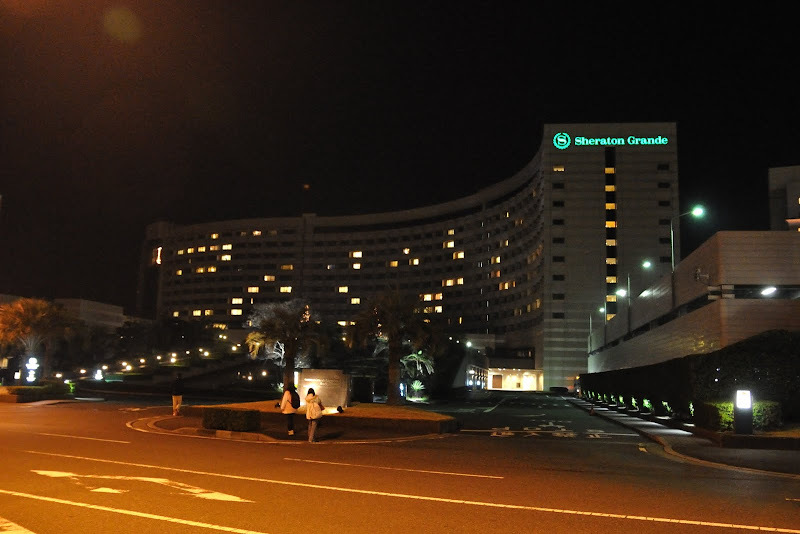 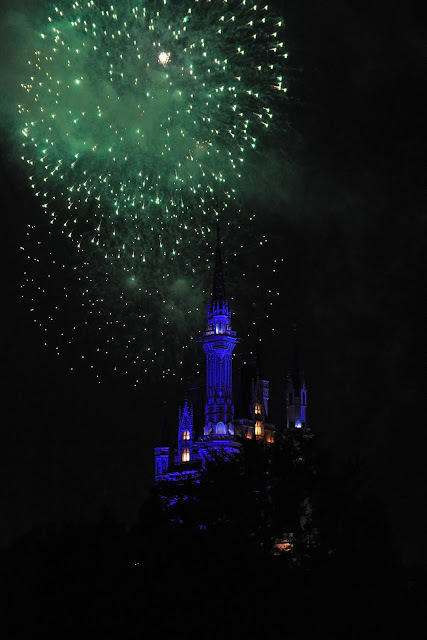 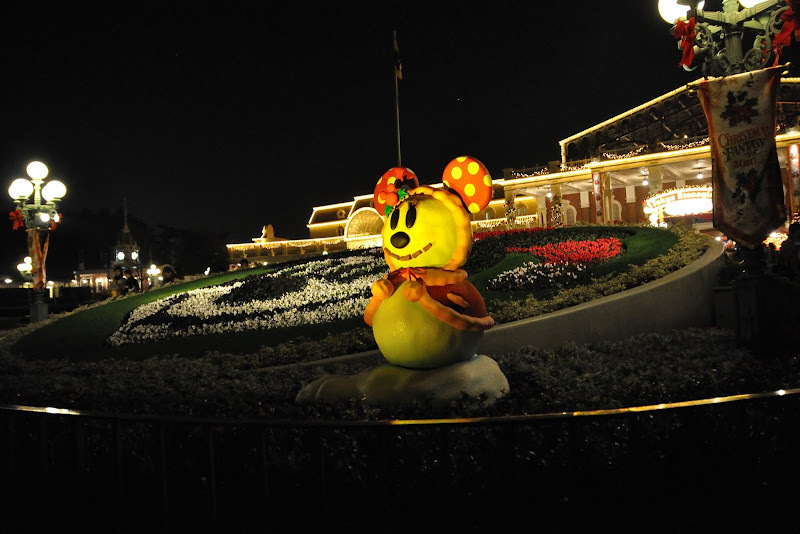 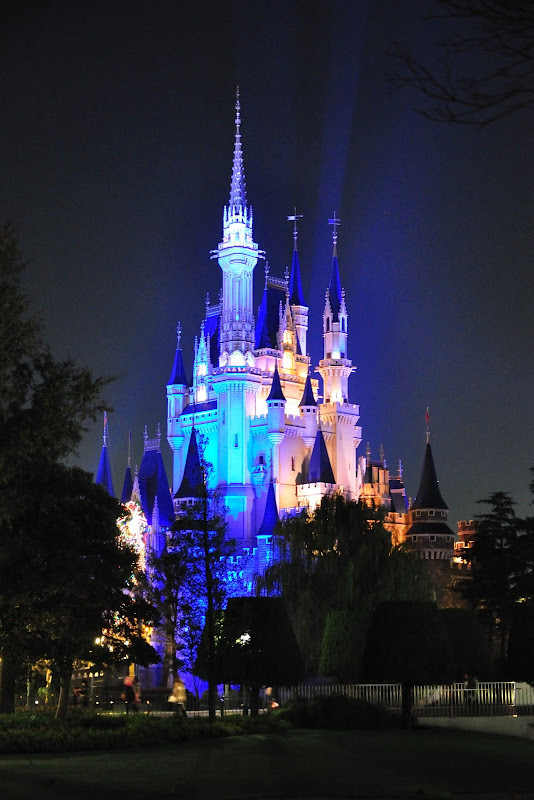 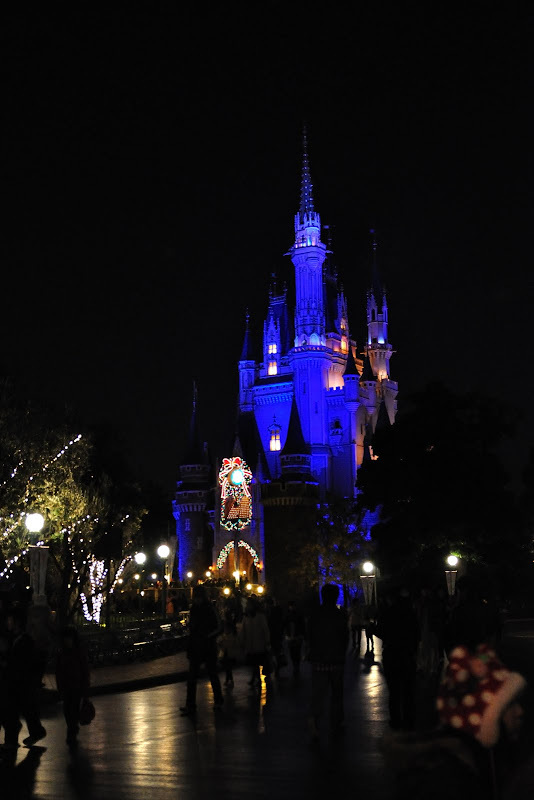 Tokyo Disneyland Hotel litted with lights in the background. 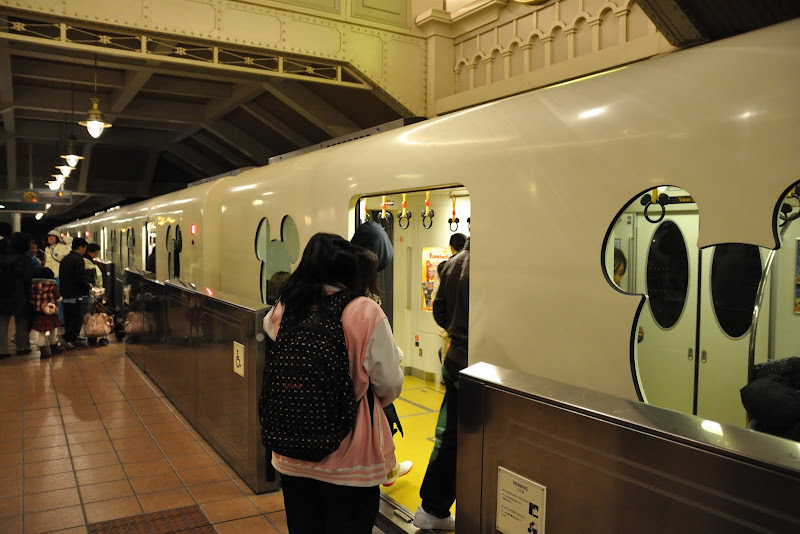 Disneyland monorail station - The last bus to Sheraton from JR Maihama is 9:25pm ,so we had to take the monorail back to Hotel - one stop only.